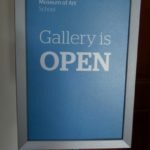 The Exhibition was just breathtaking. 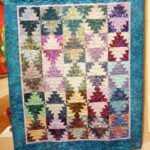 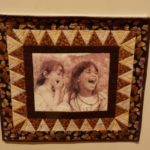 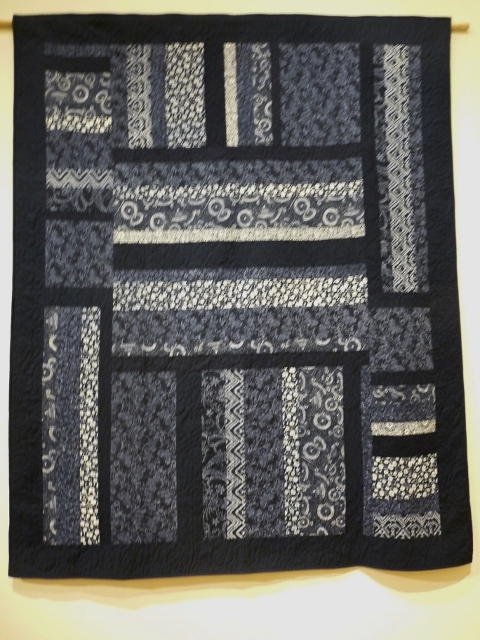 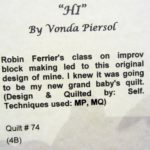 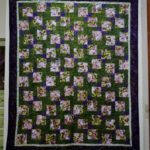 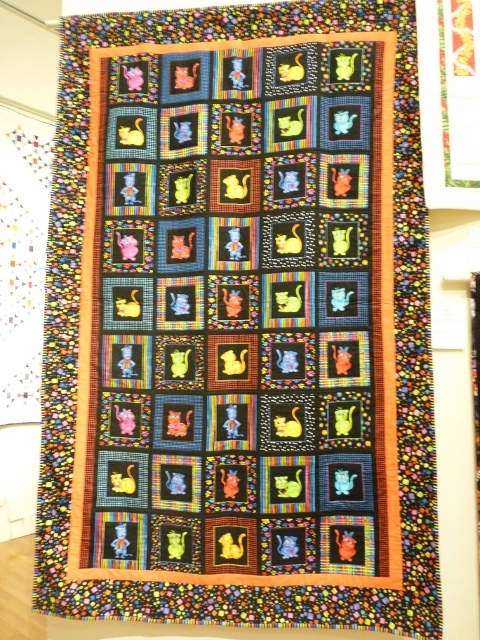 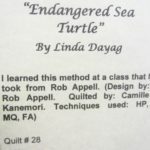 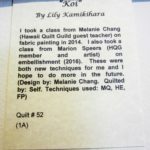 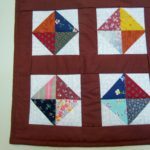 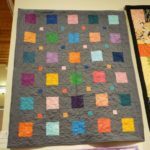 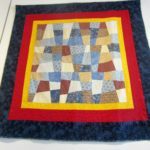 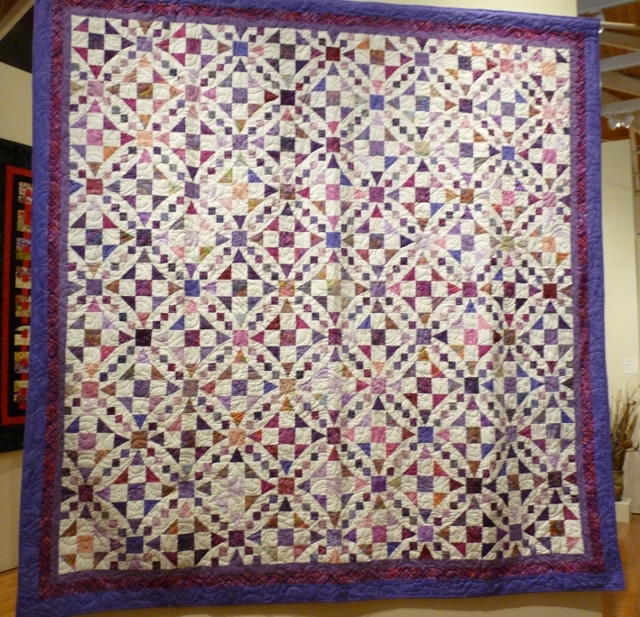 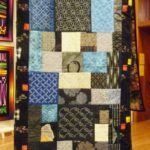 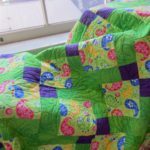 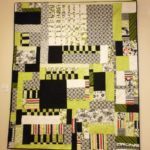 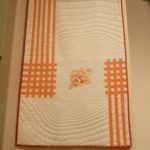 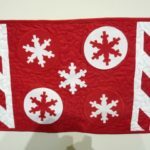 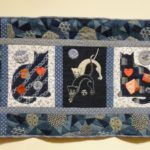 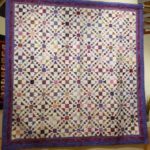 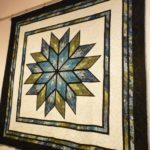 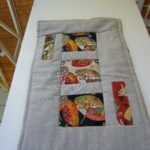 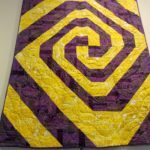 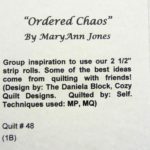 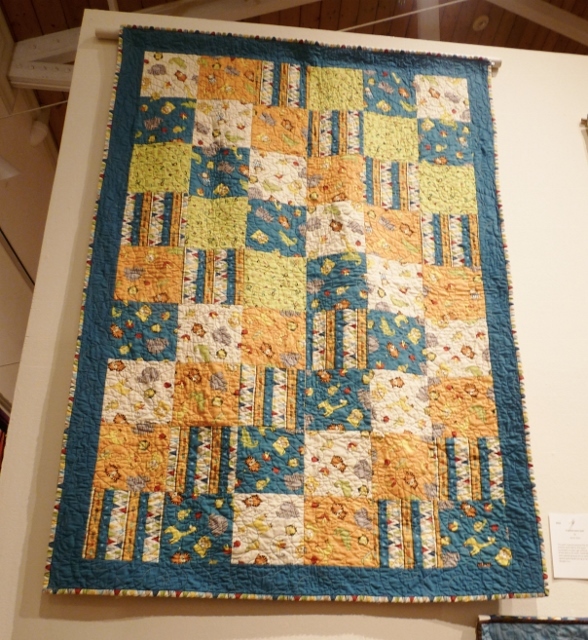 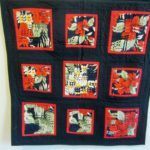 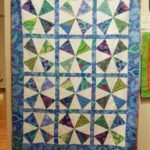 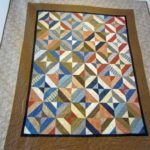 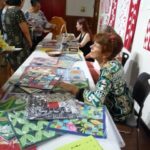 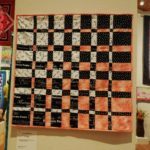 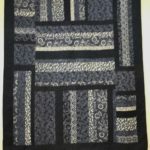 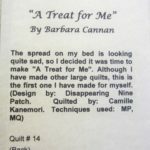 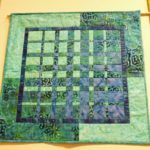 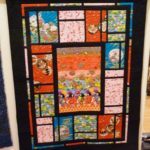 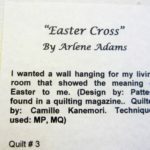 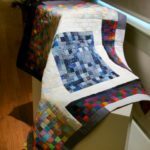 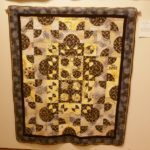 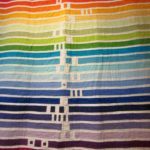 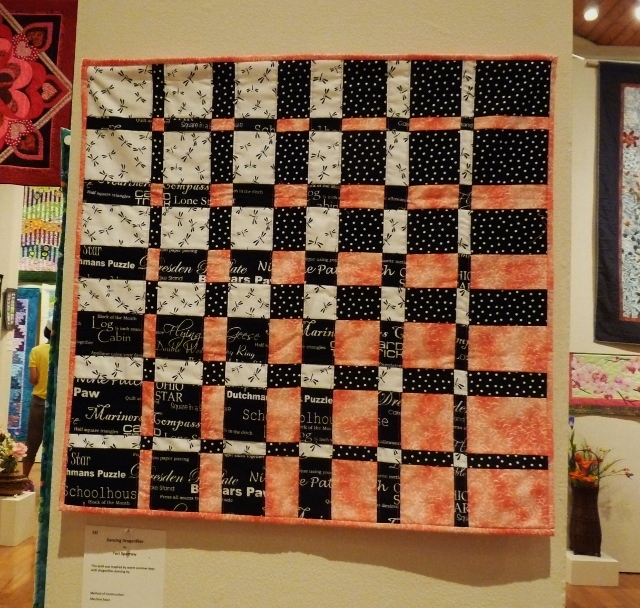 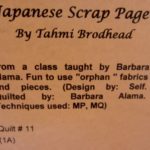 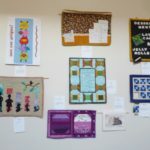 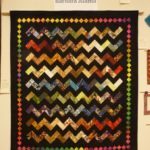 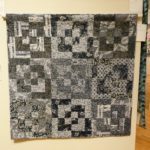 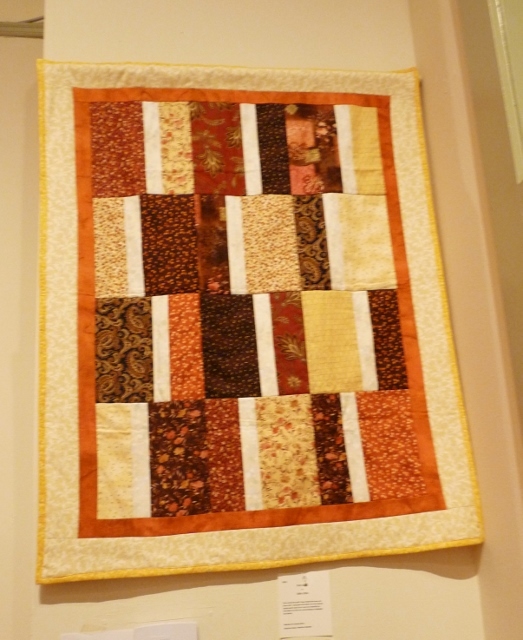 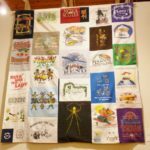 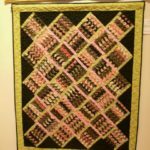 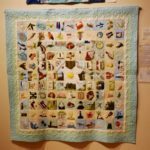 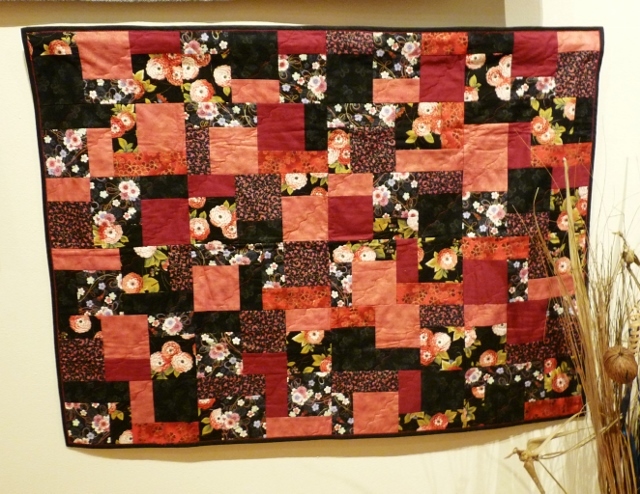 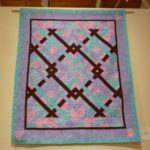 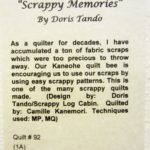 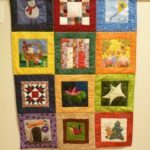 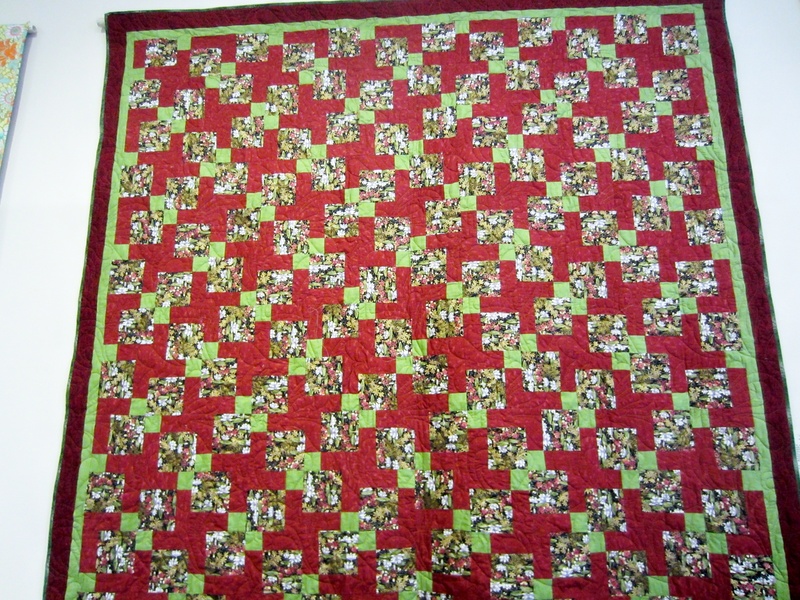 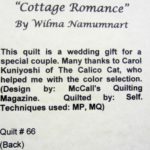 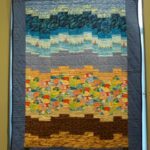 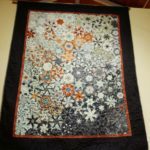 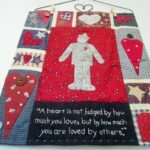 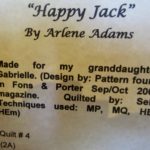 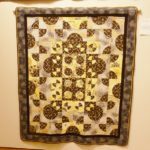 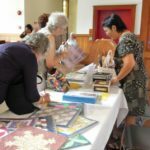 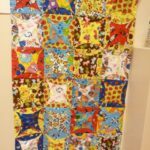 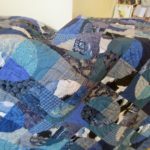 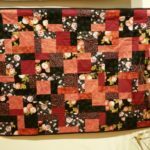 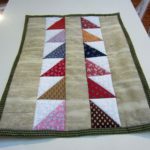 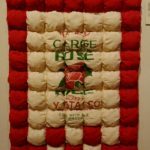 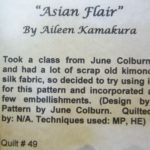 Thank you all for sharing your beautiful quilts. 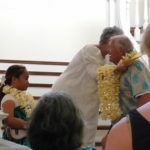 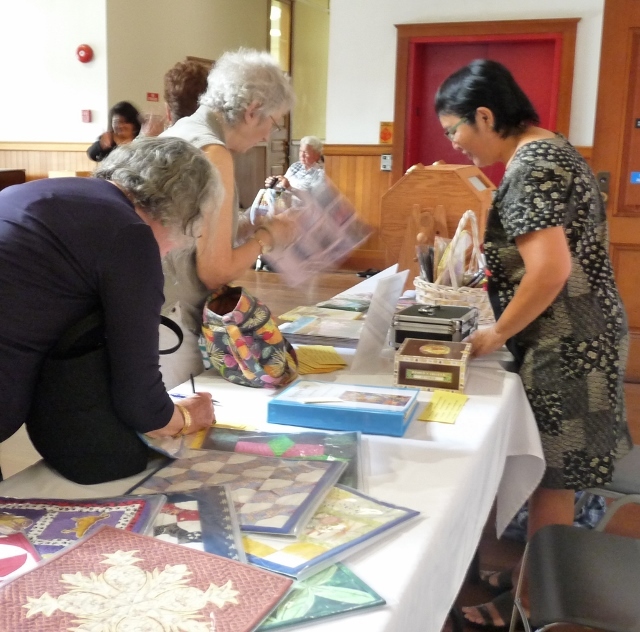 Thank you to Linda Chang and Estelle Inn for taking all these wonderful pictures. 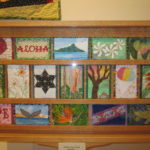 How the pictures are grouped: General pictures first, then individual quilt pictures (wall card first), and finally pictures of the Nano Gallery Exhibit. 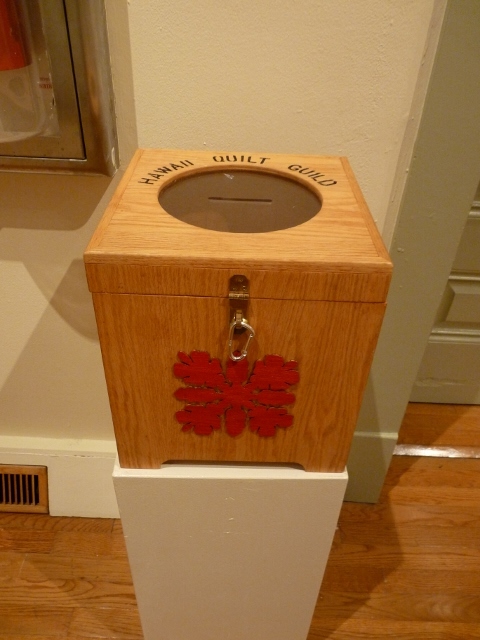 I HAVE SOME MATERIALS TO DONATE.H0w DO I DO IT? 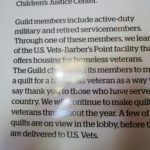 Please contact our president, John Haushalter at johnhqg@gmail.com. 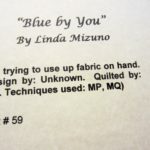 Thank you so much for thinking of us. 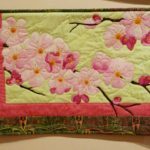 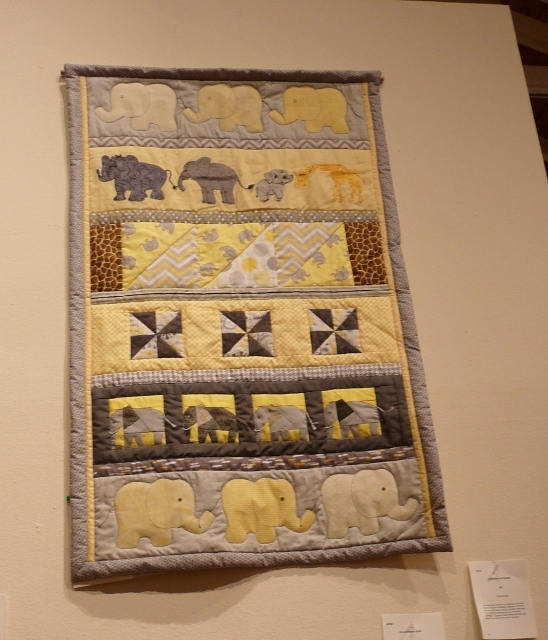 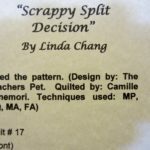 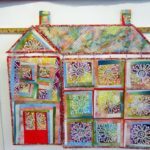 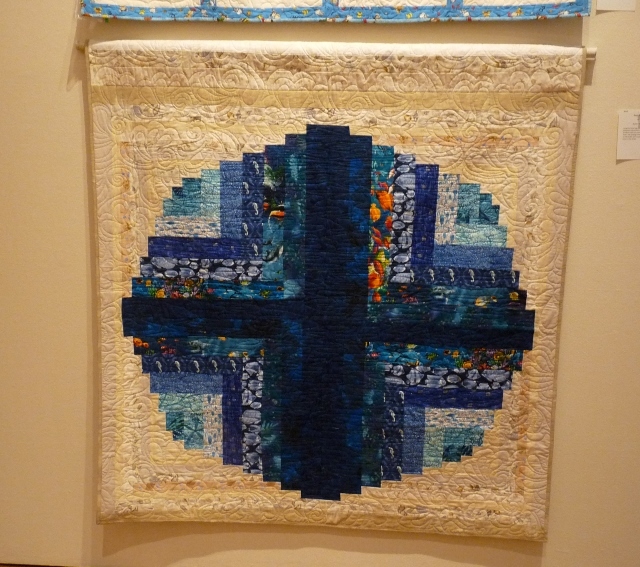 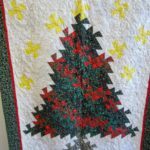 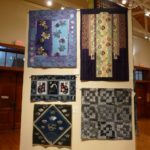 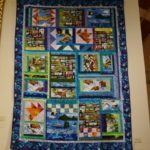 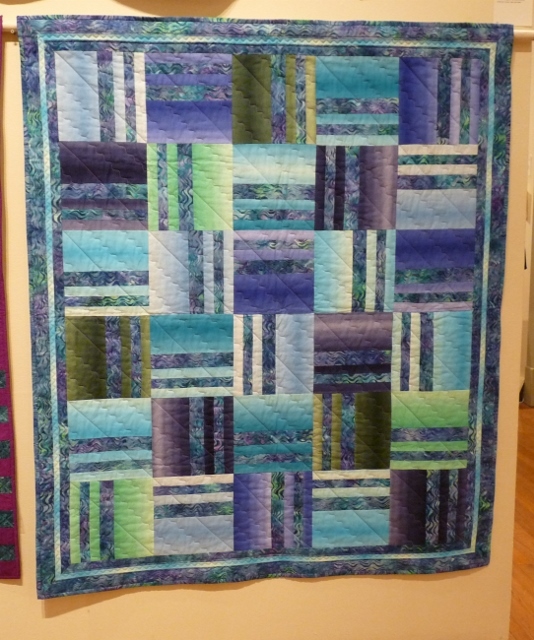 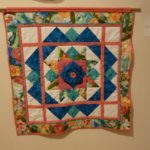 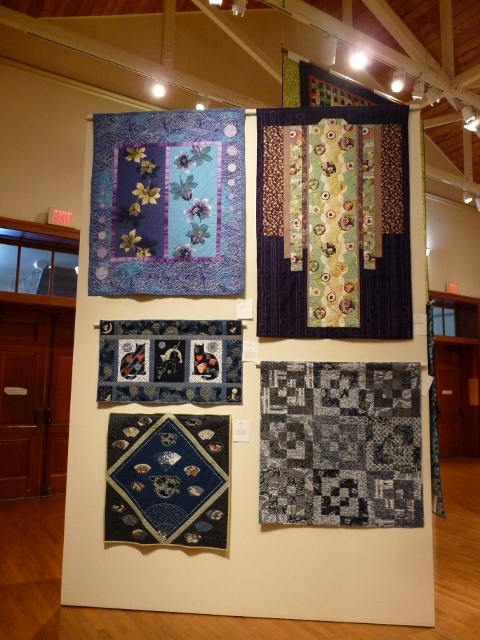 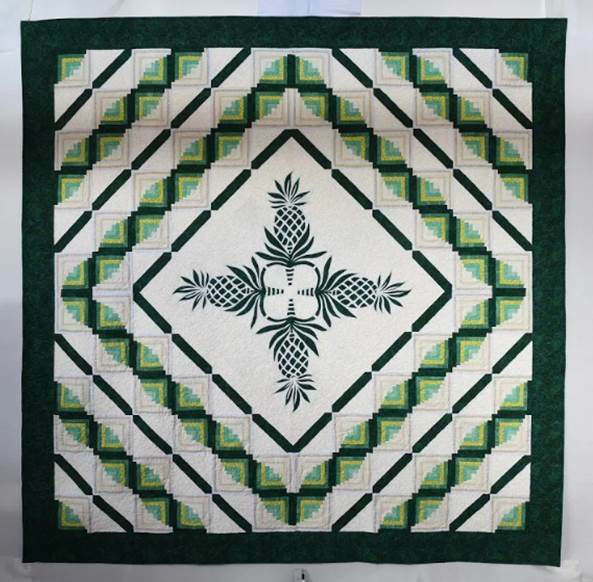 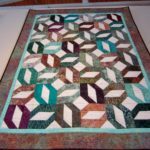 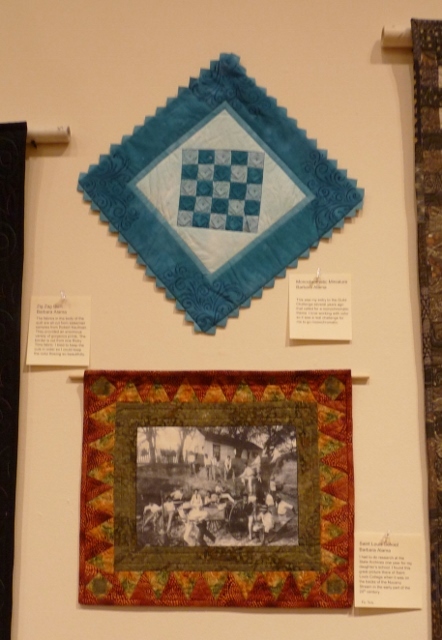 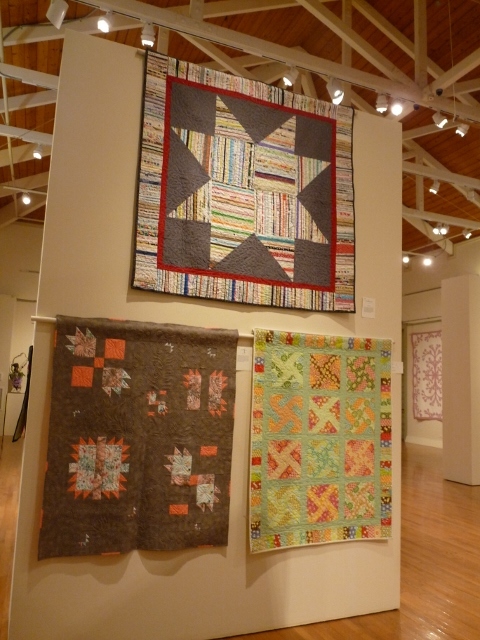 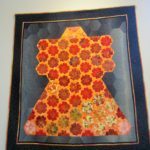 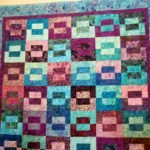 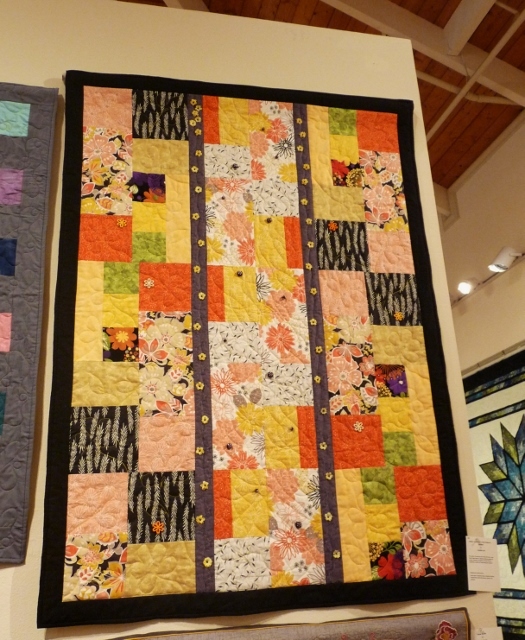 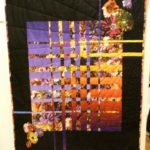 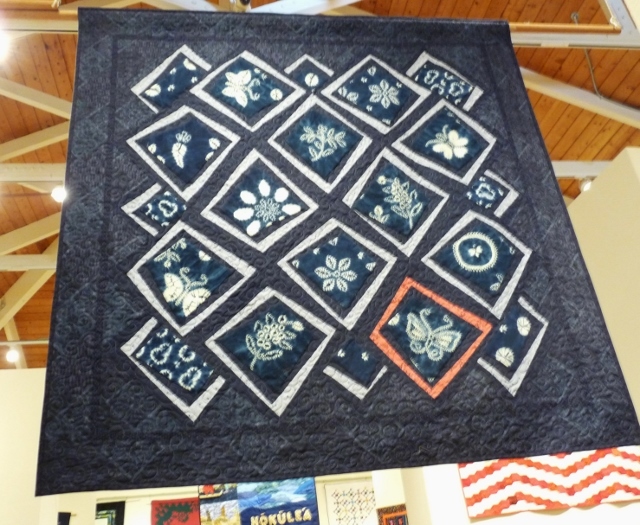 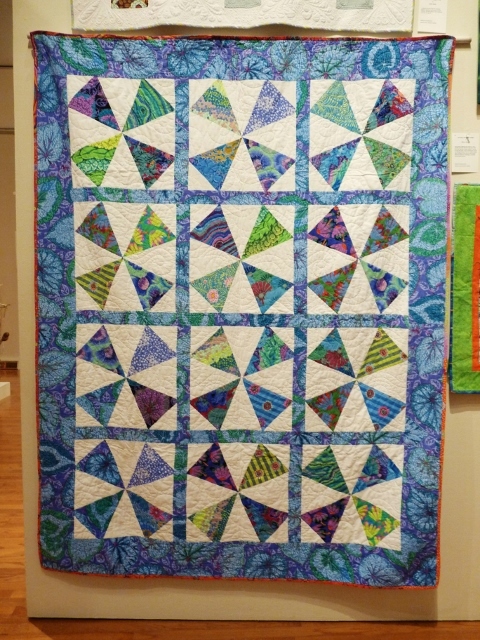 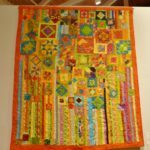 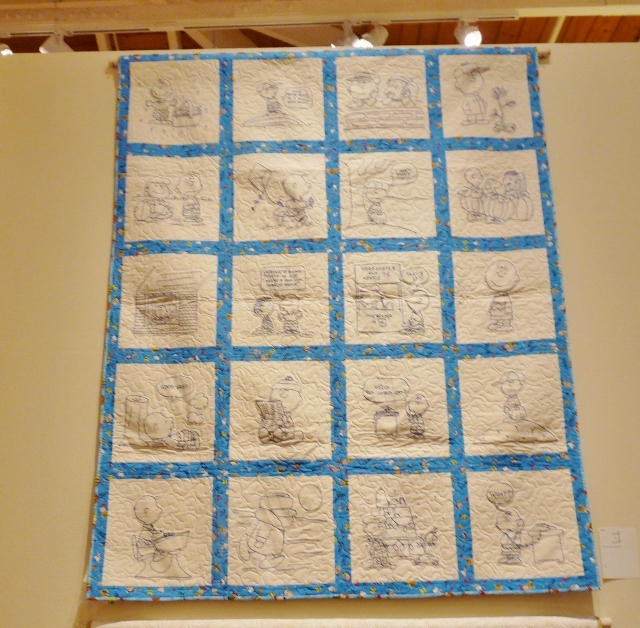 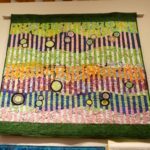 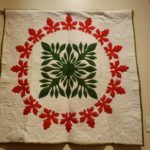 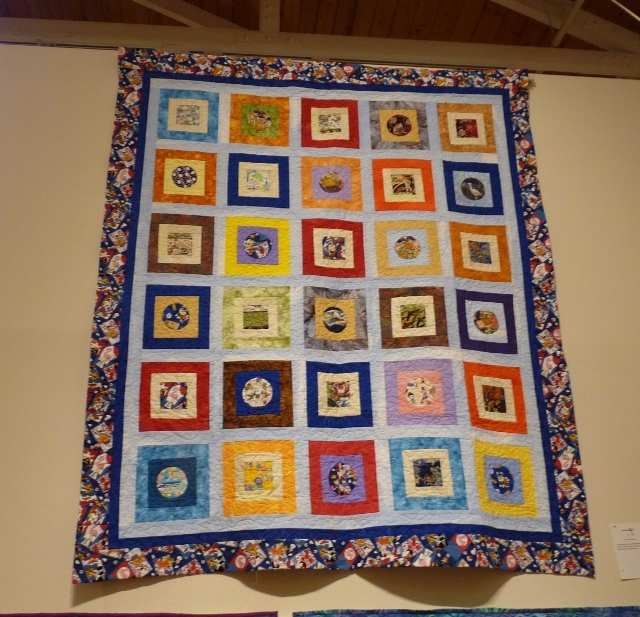 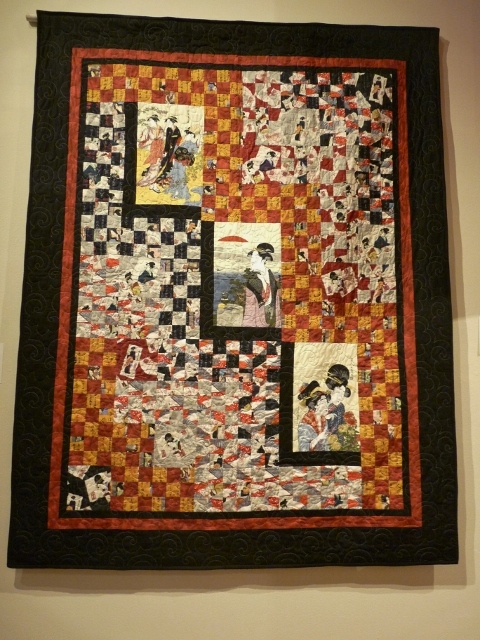 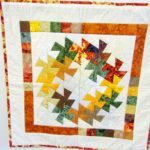 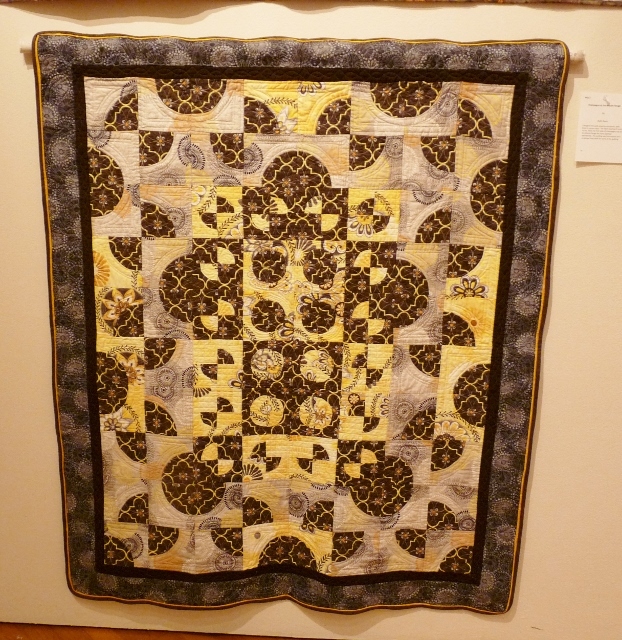 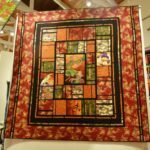 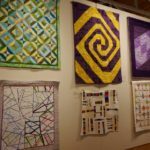 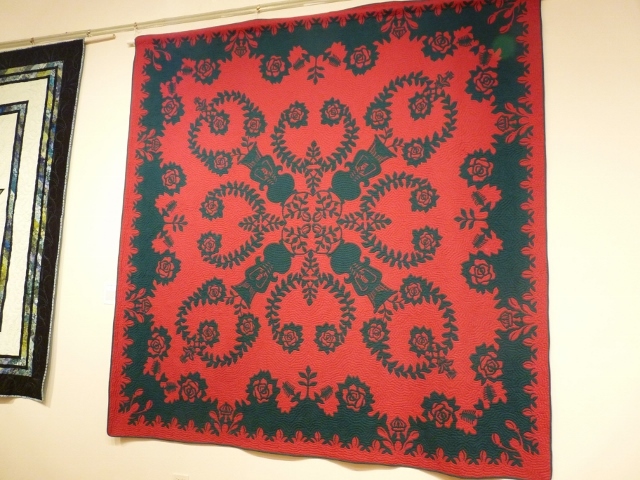 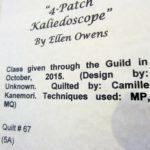 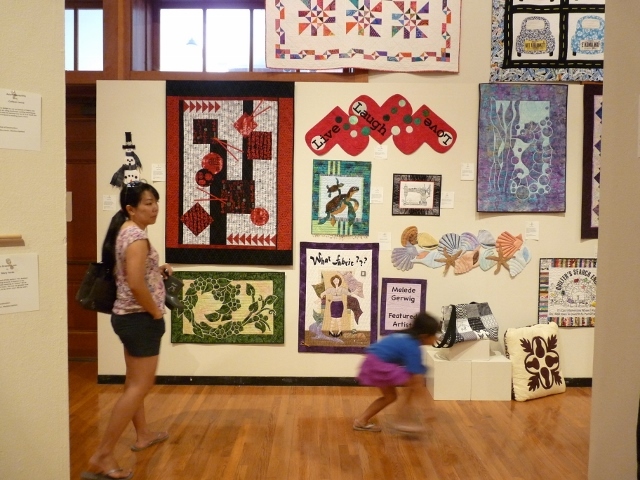 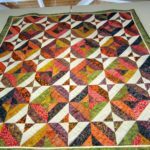 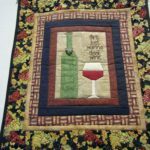 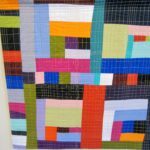 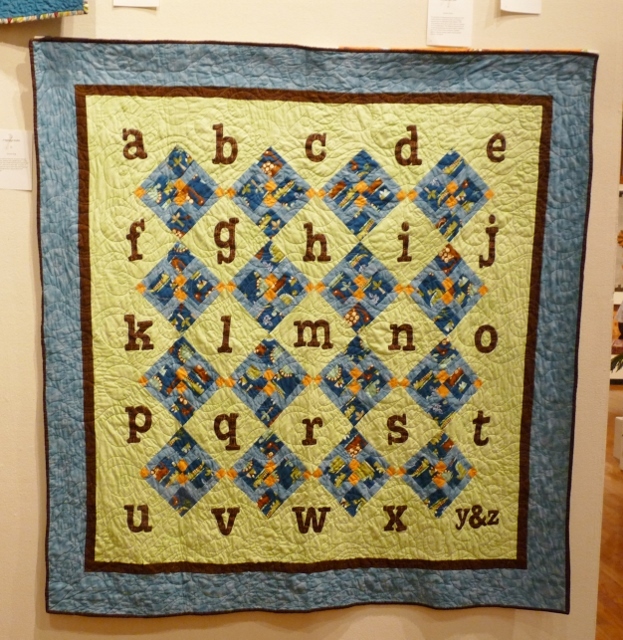 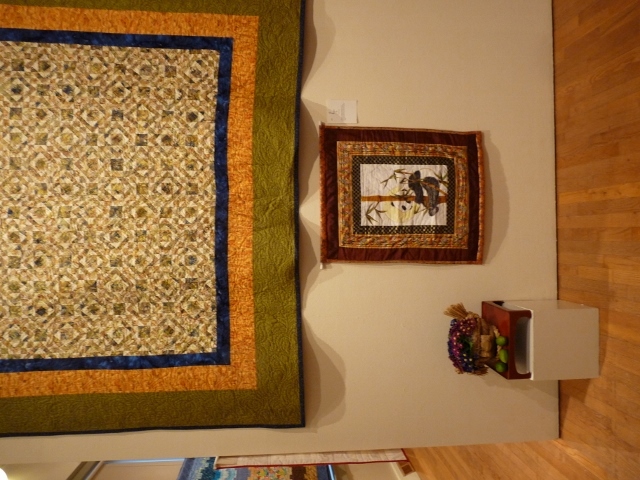 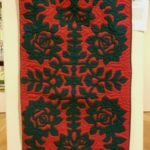 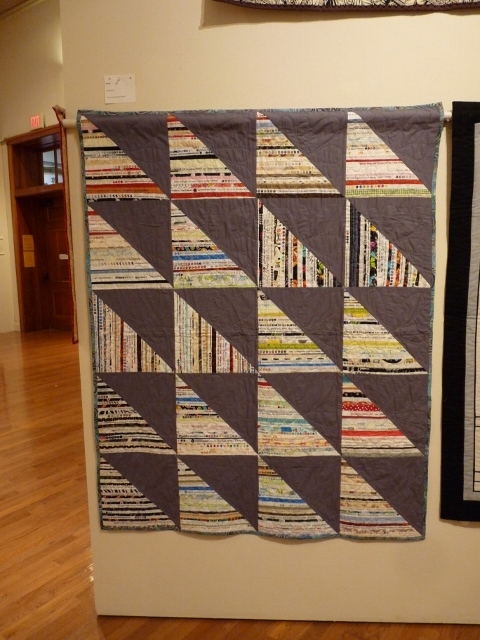 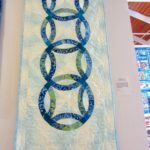 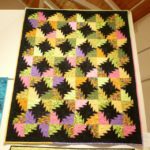 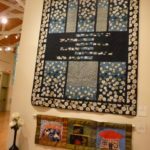 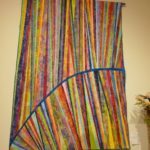 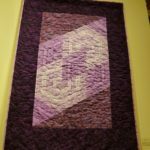 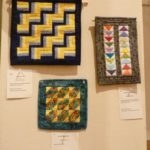 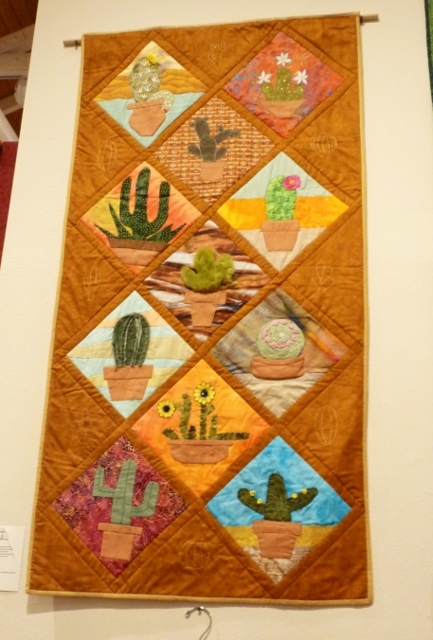 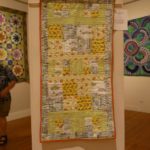 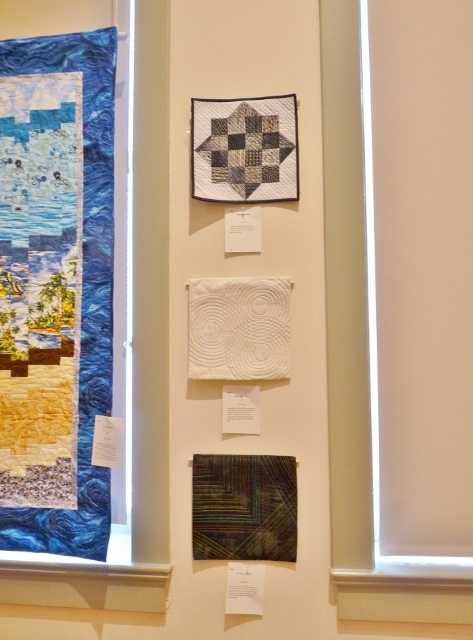 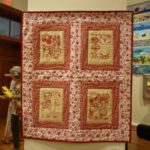 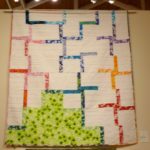 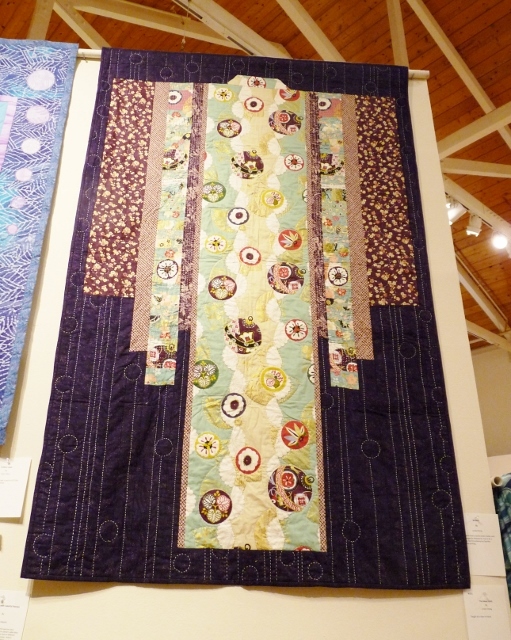 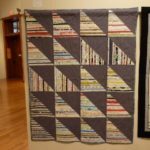 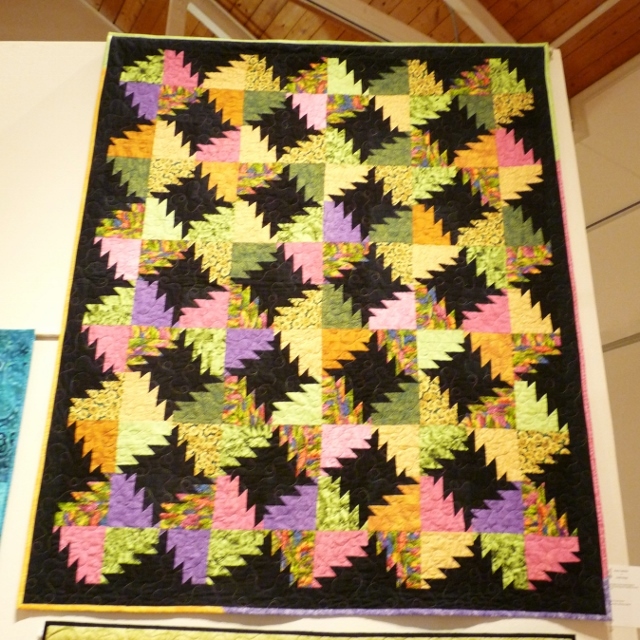 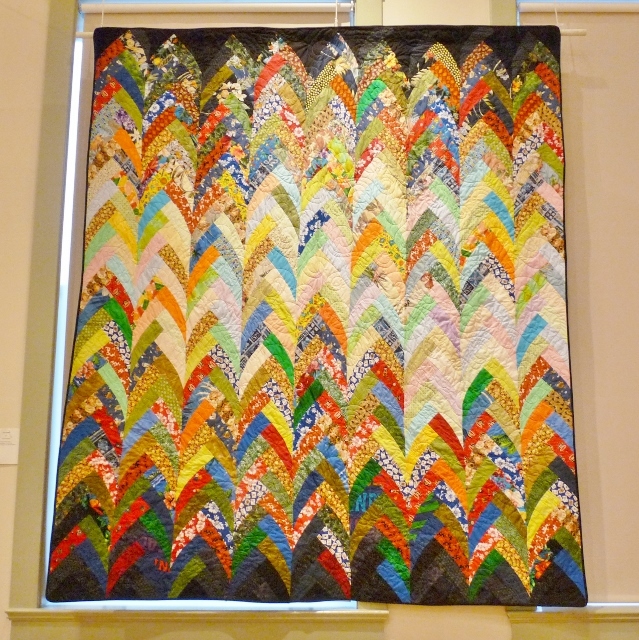 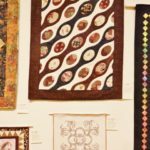 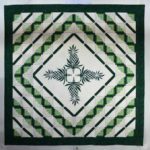 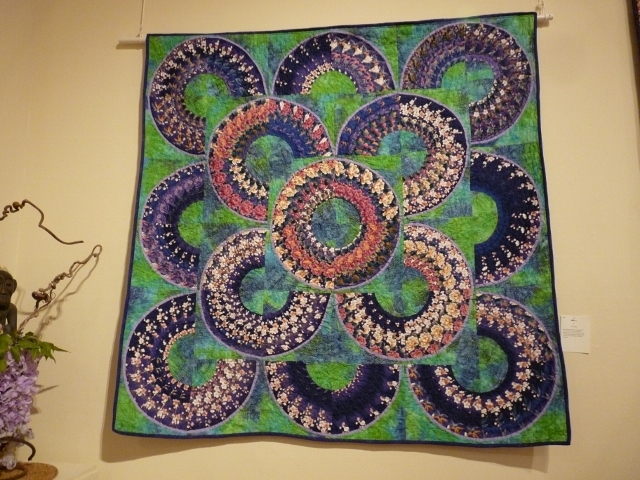 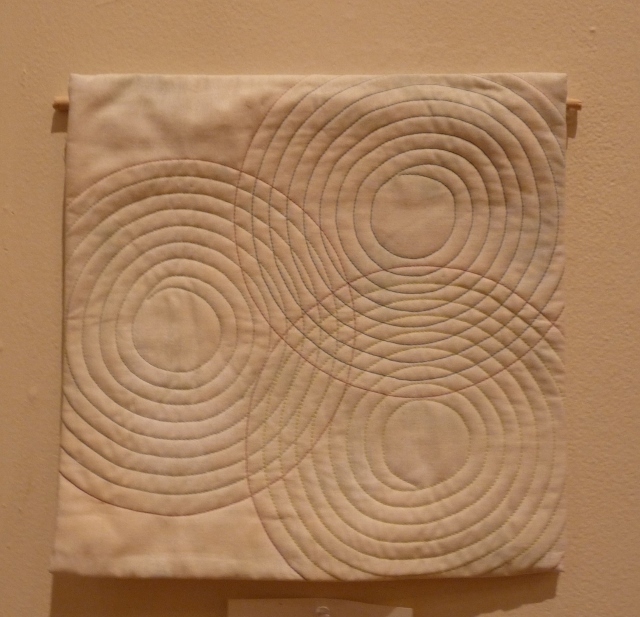 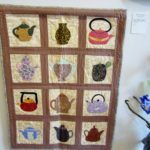 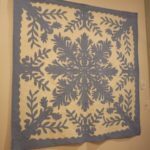 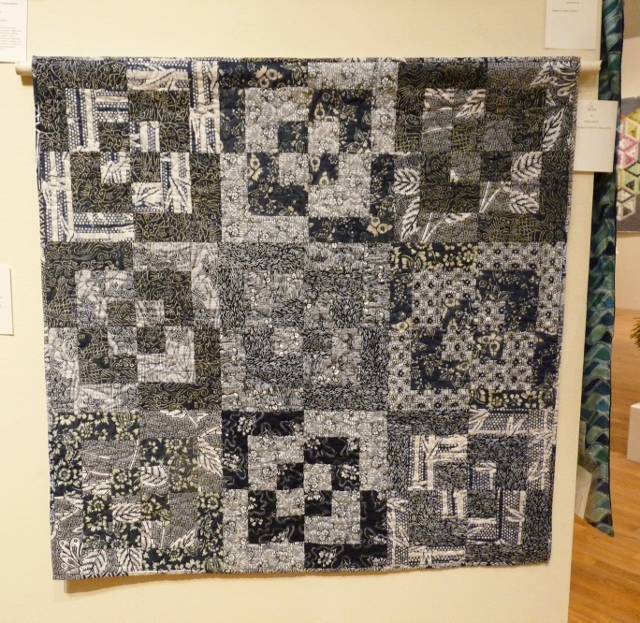 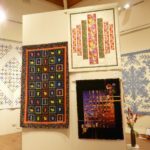 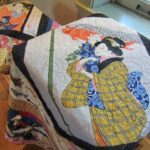 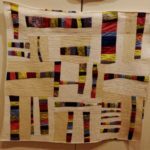 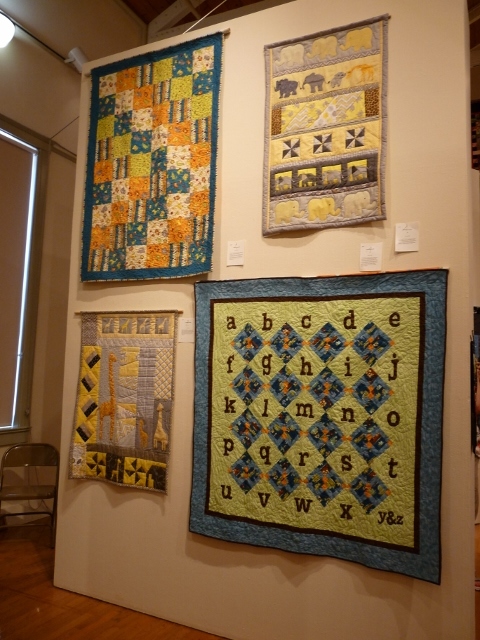 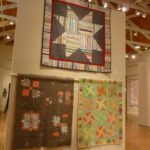 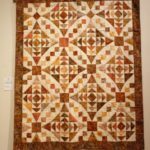 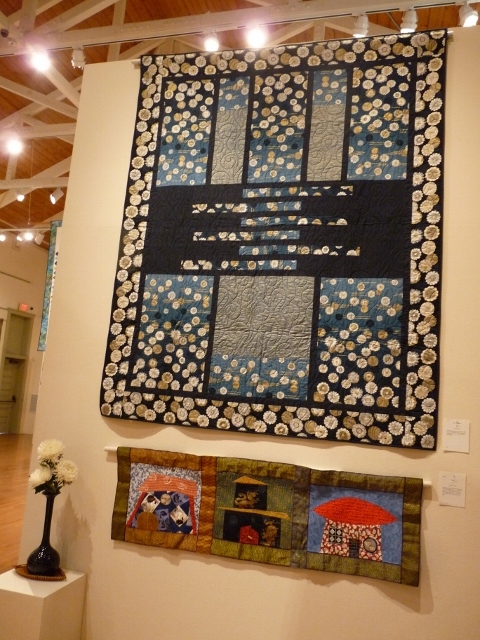 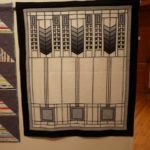 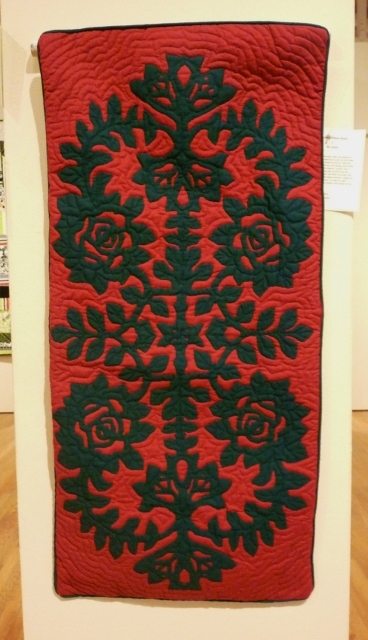 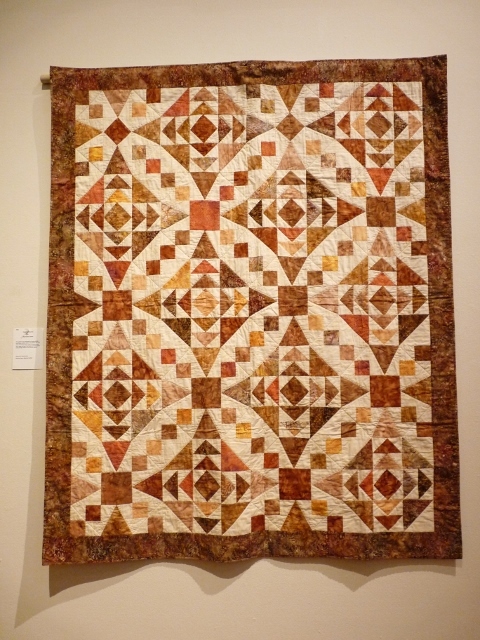 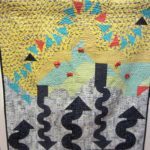 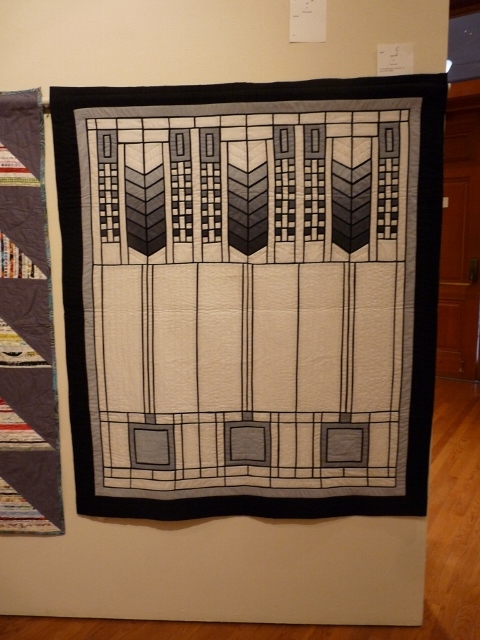 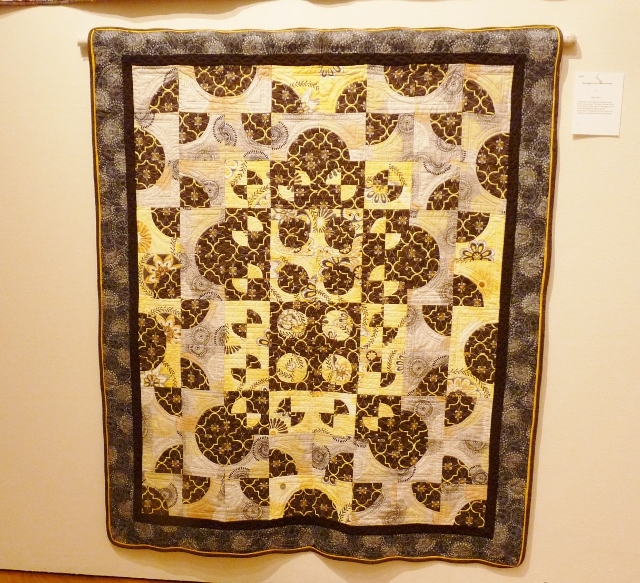 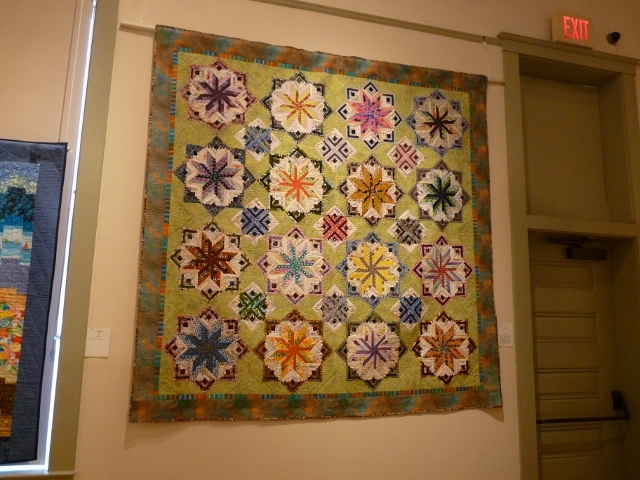 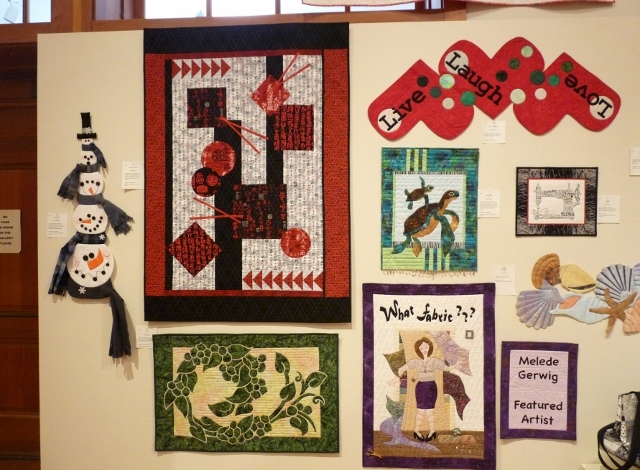 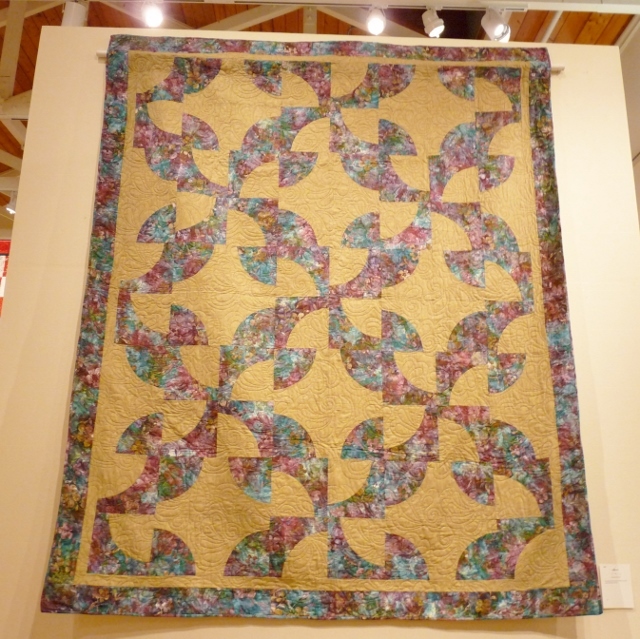 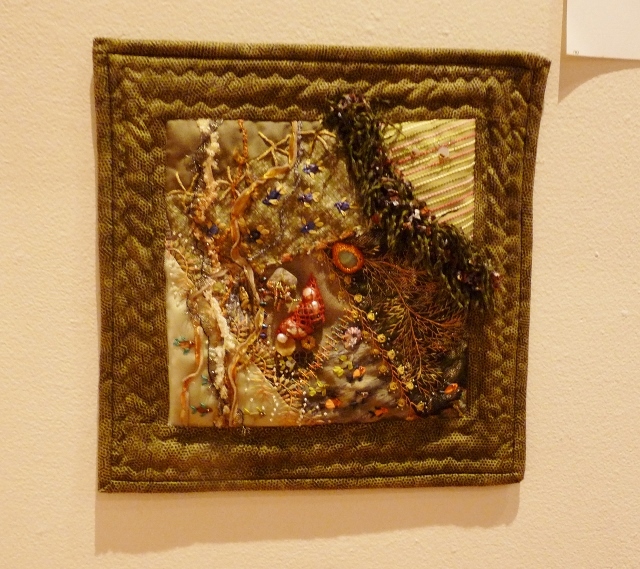 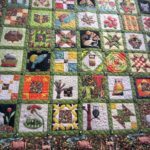 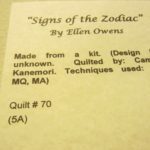 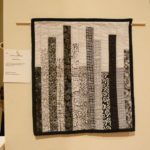 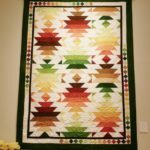 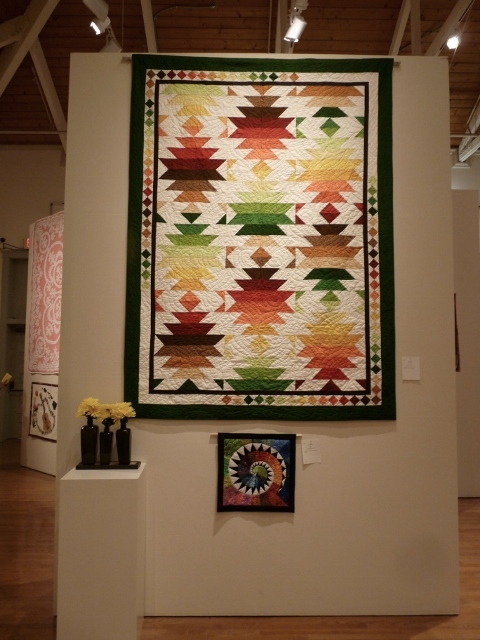 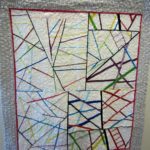 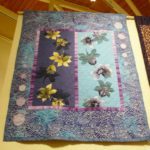 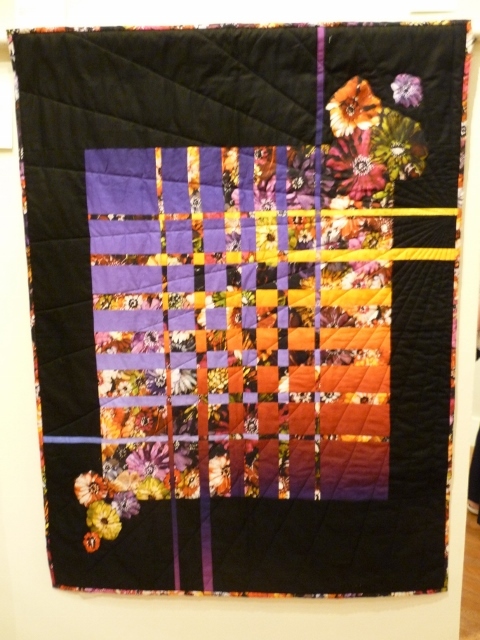 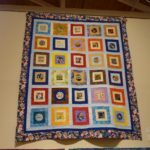 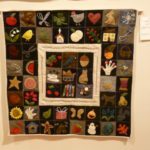 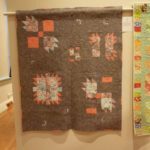 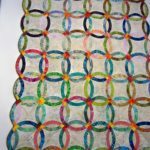 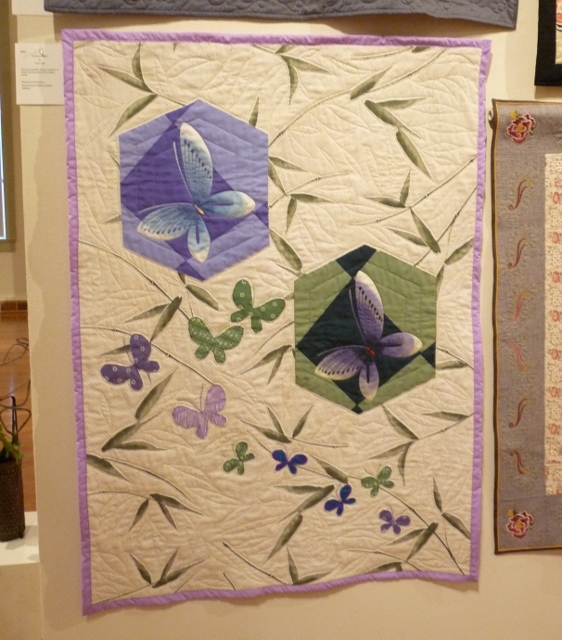 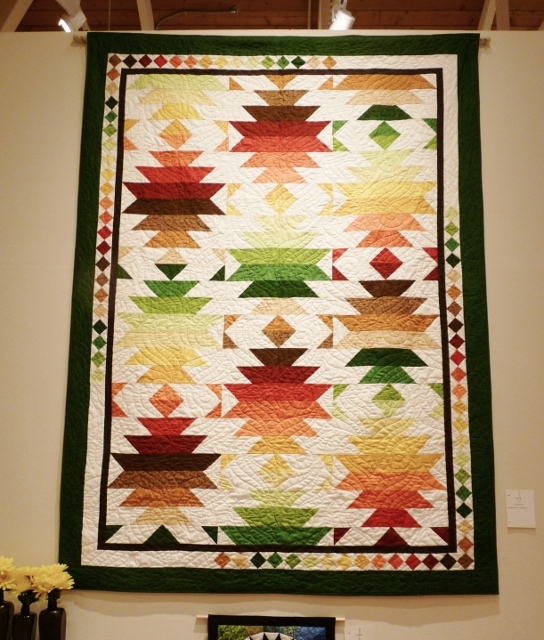 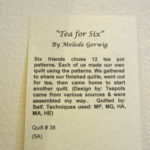 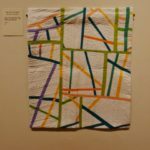 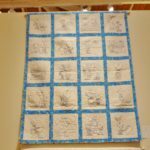 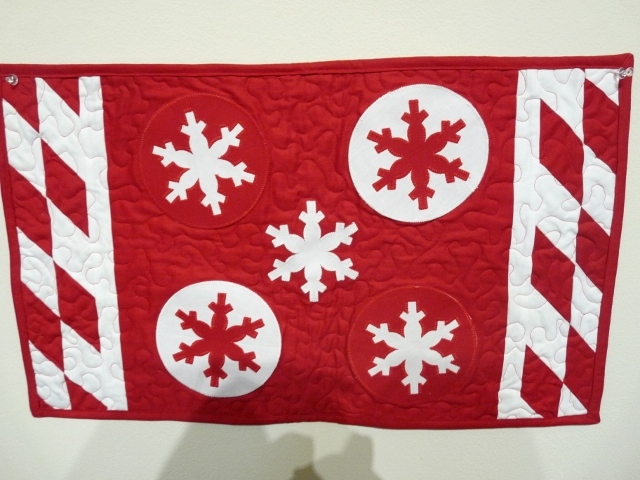 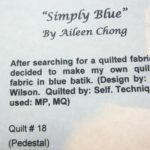 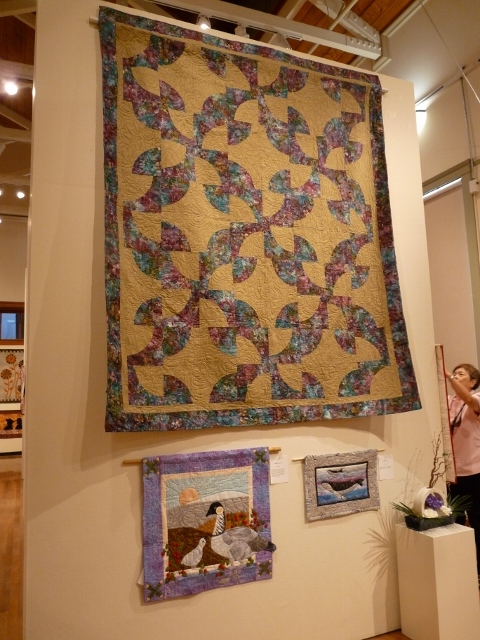 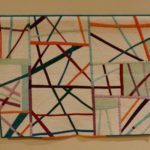 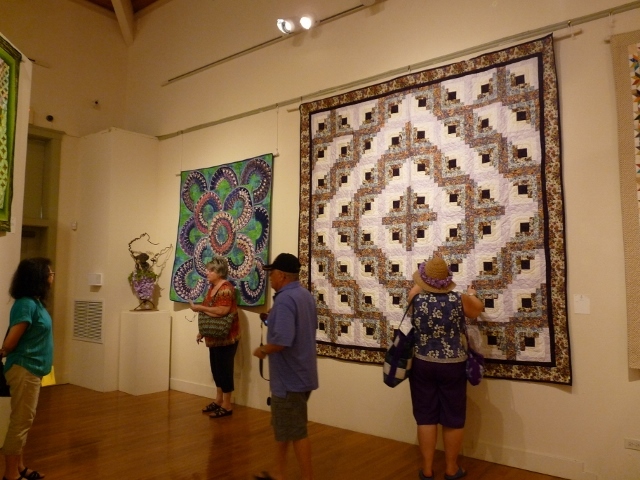 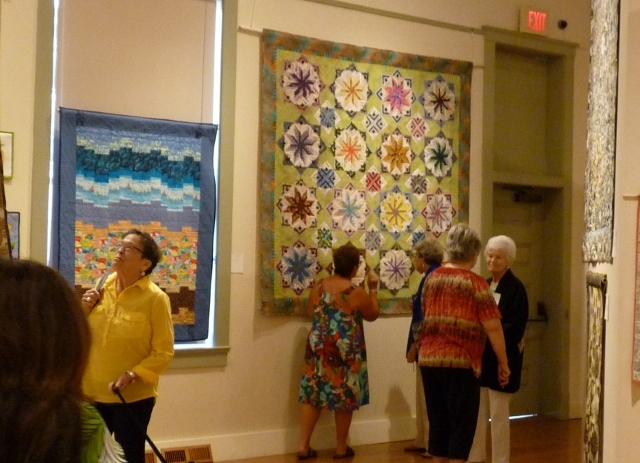 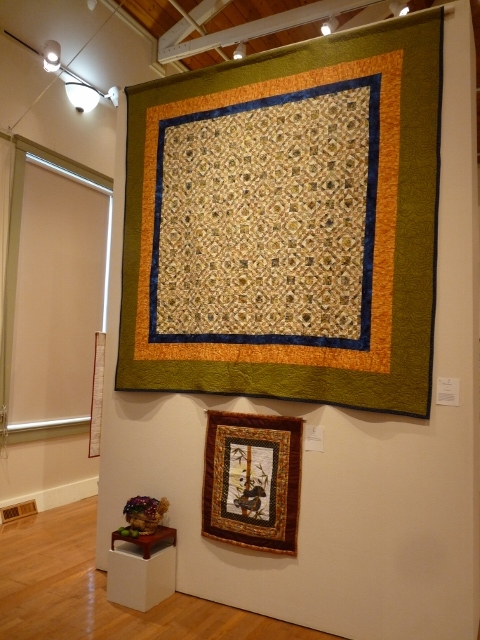 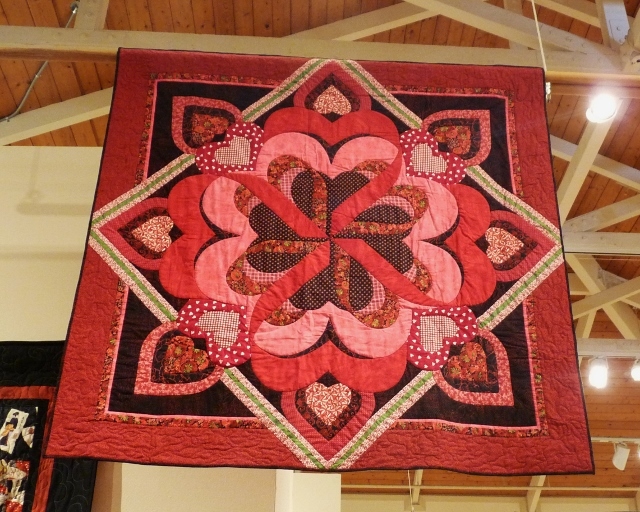 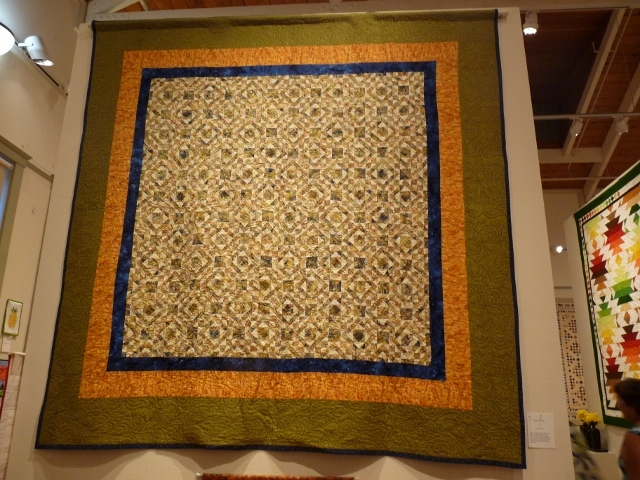 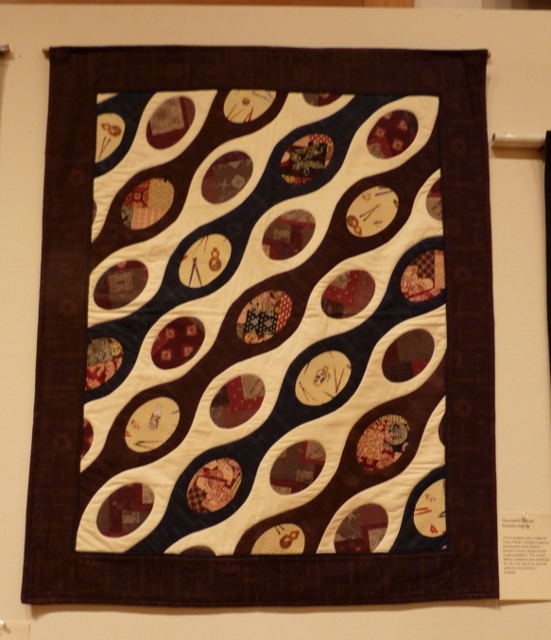 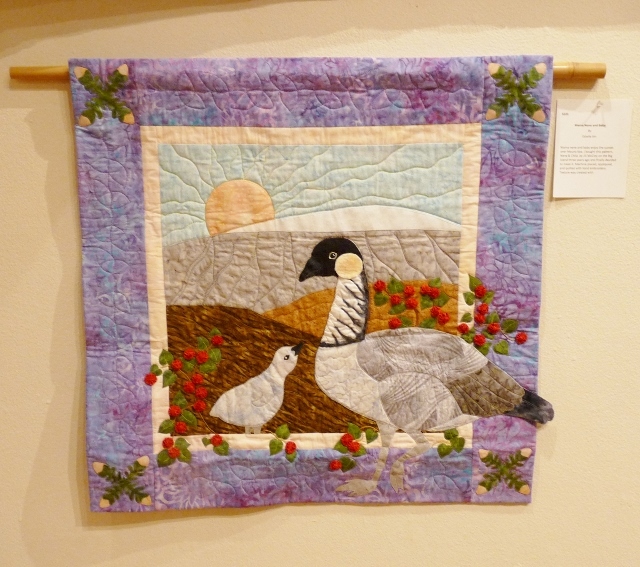 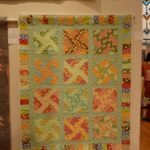 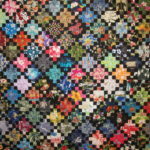 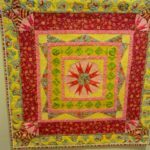 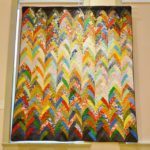 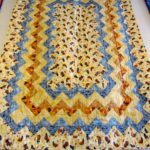 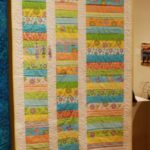 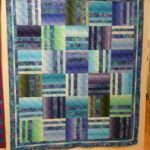 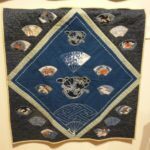 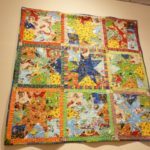 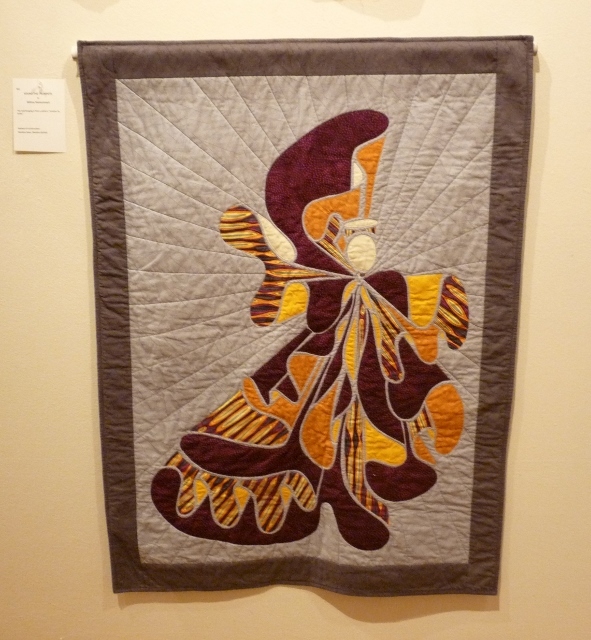 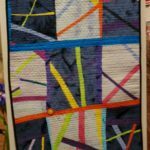 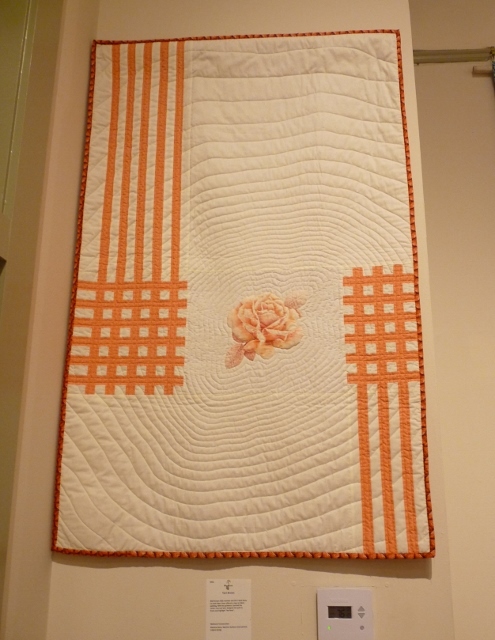 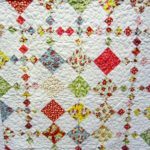 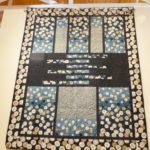 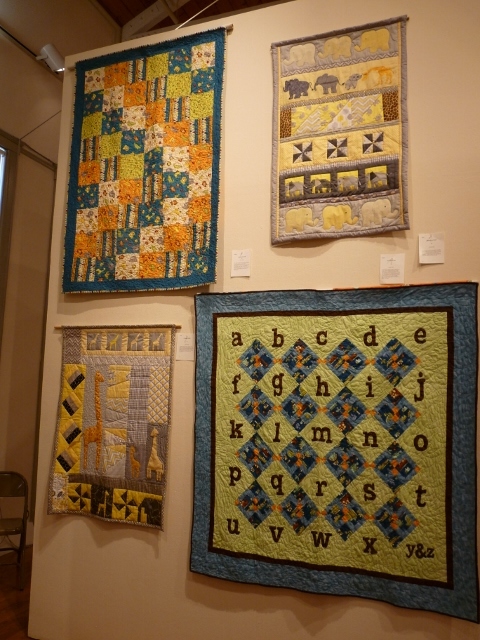 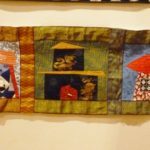 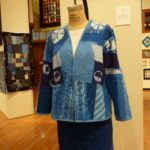 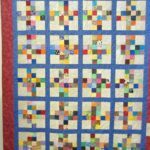 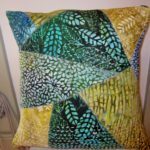 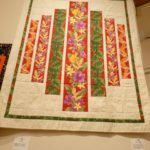 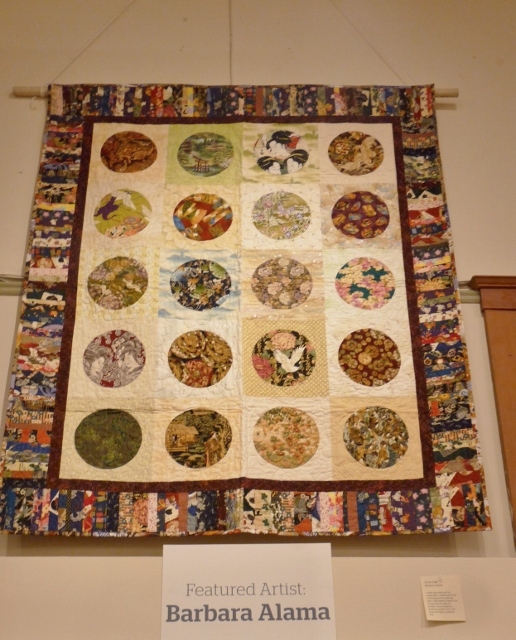 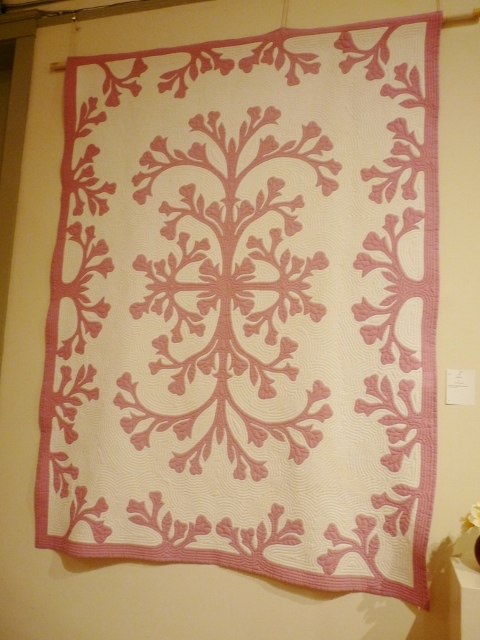 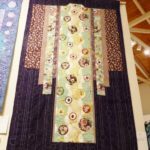 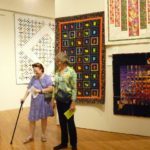 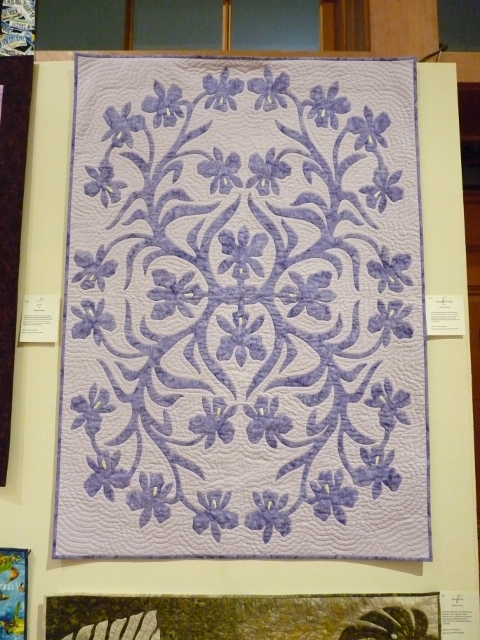 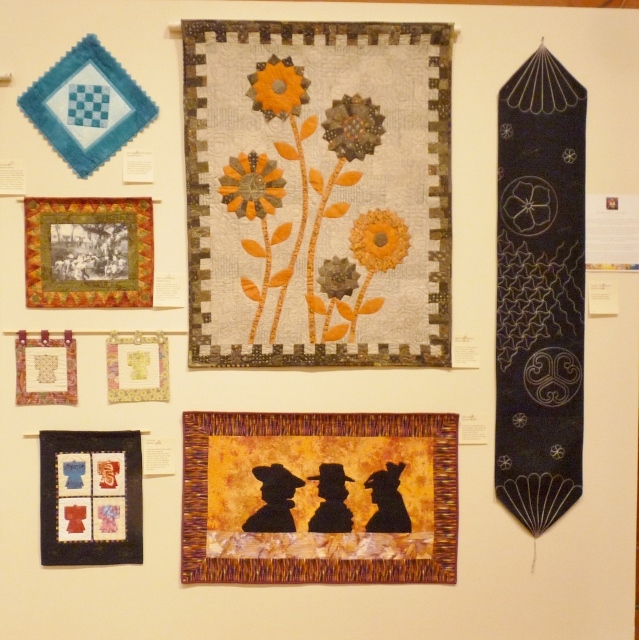 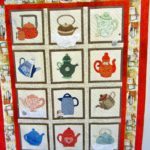 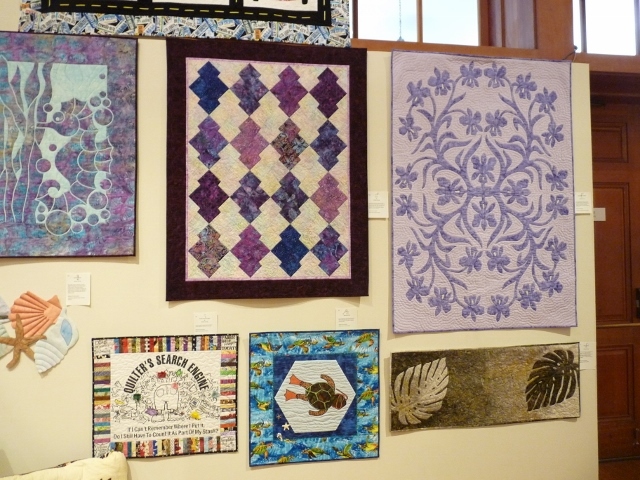 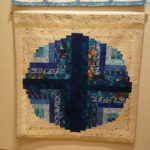 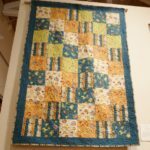 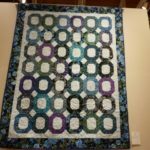 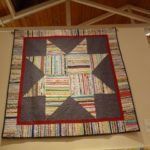 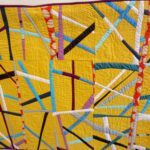 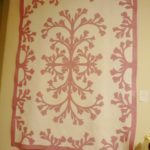 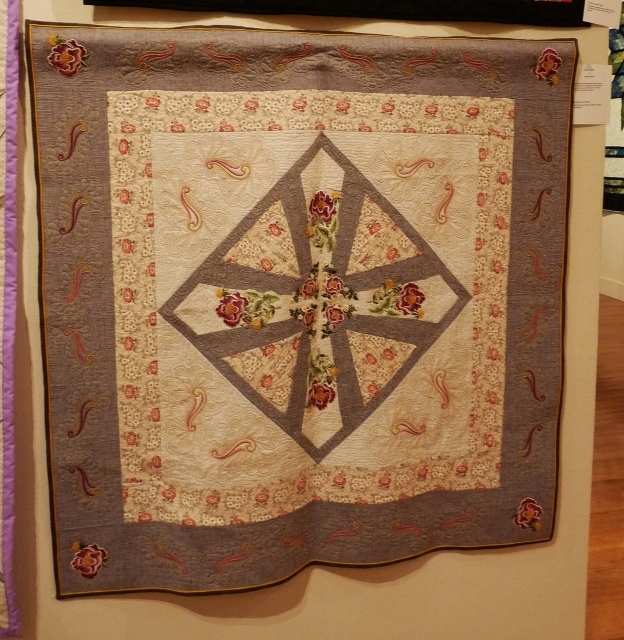 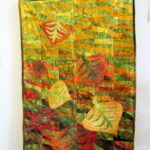 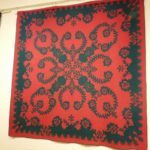 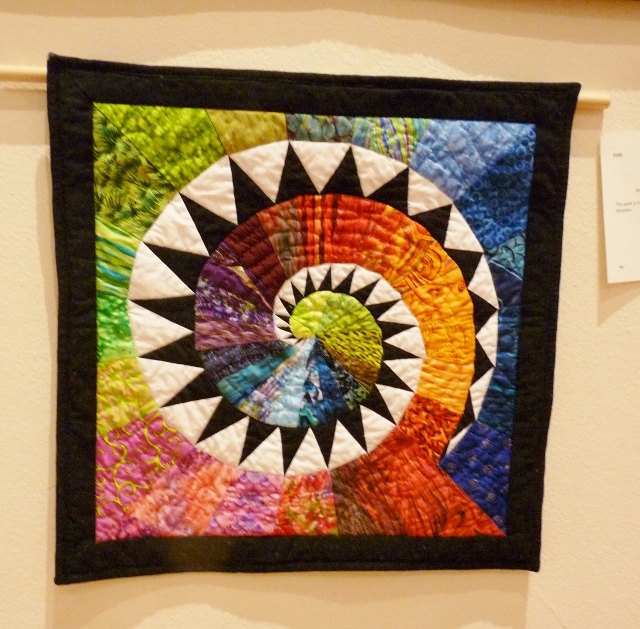 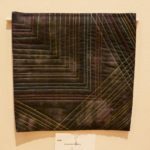 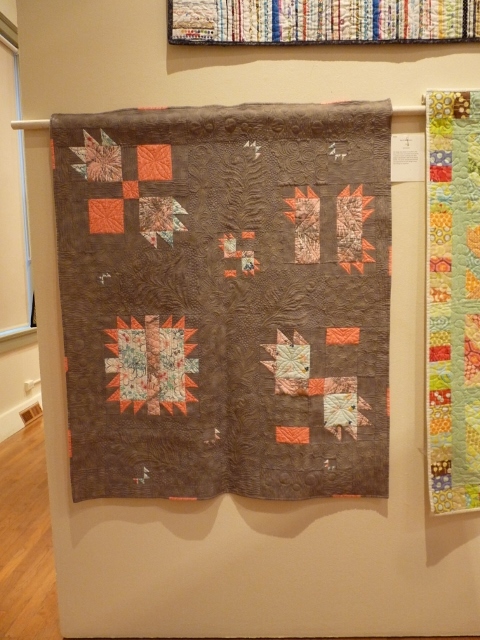 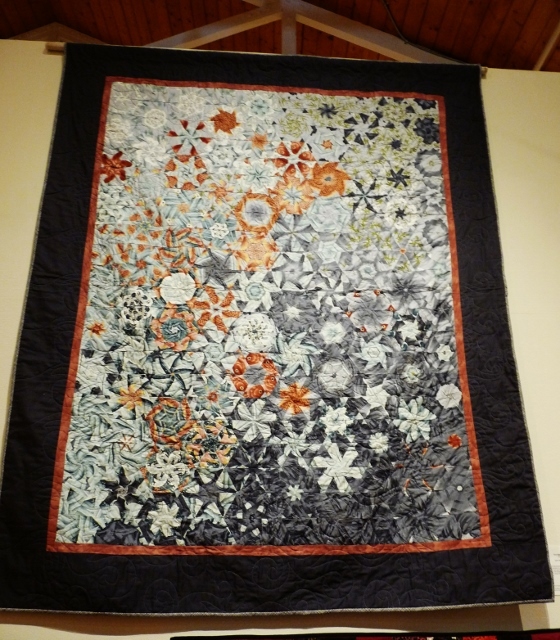 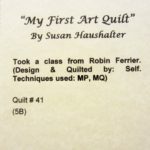 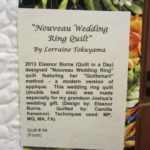 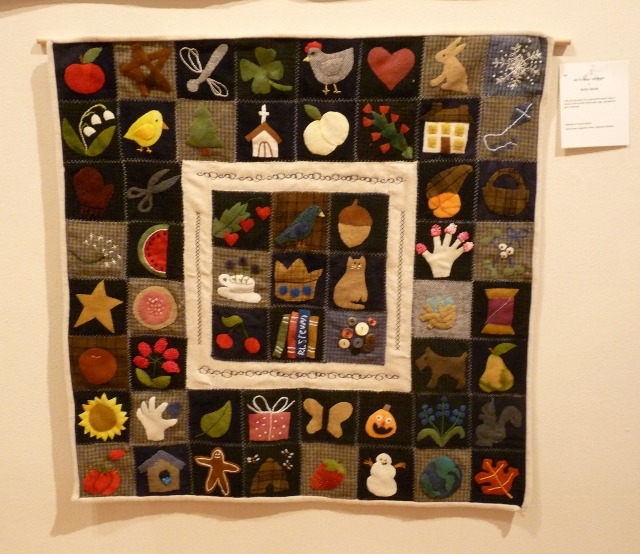 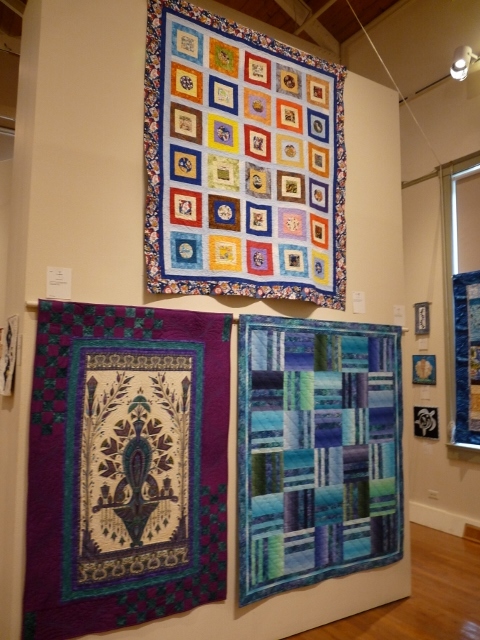 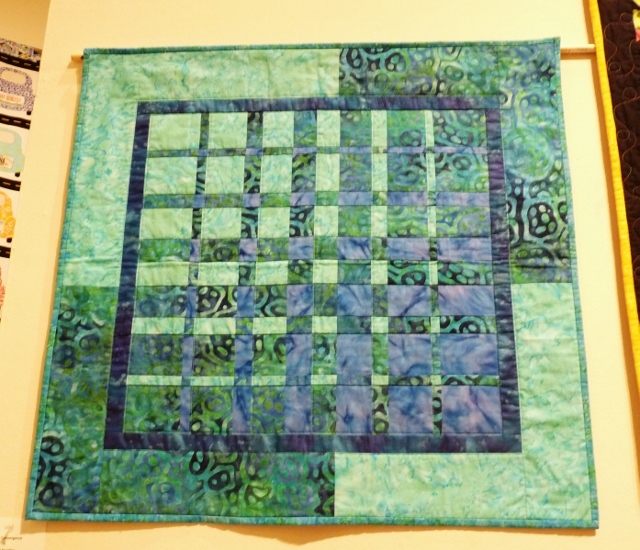 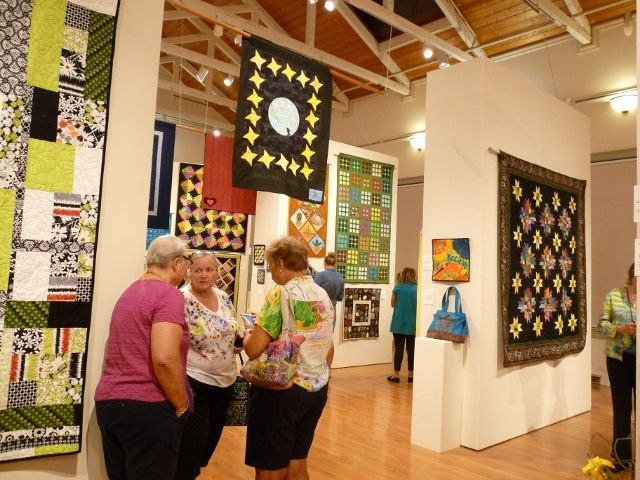 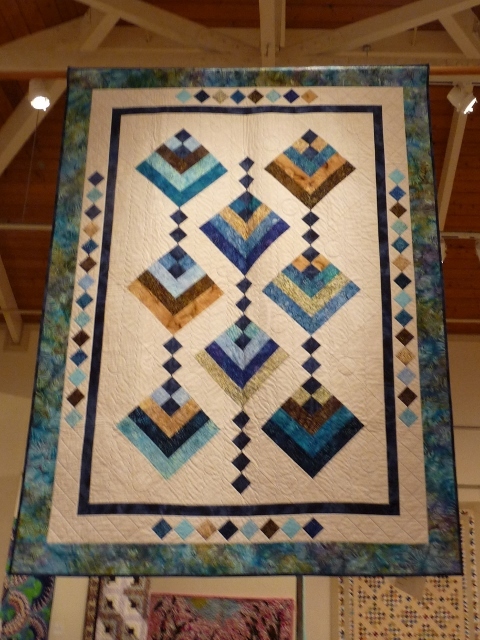 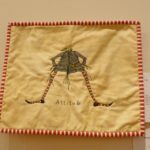 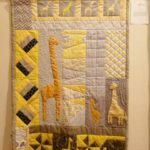 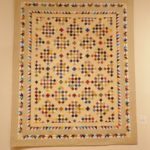 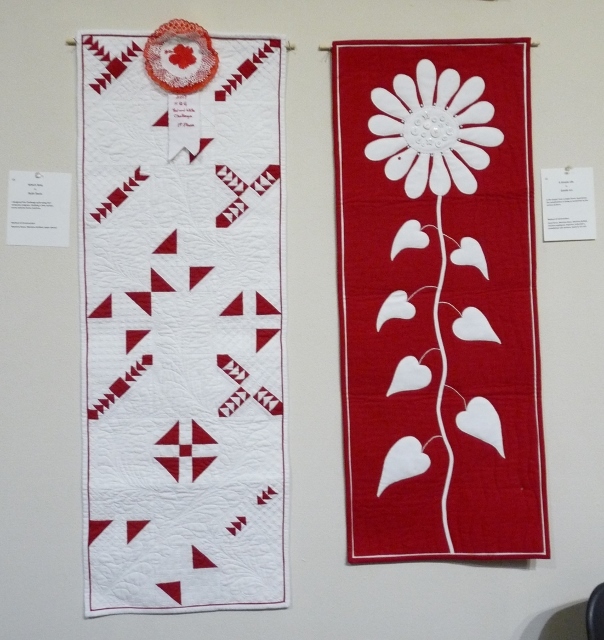 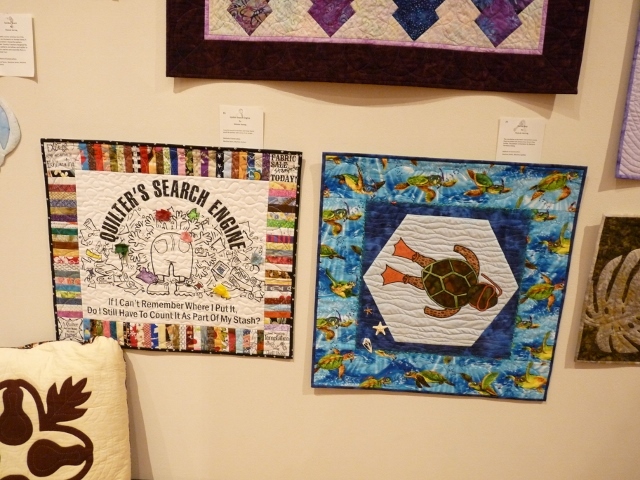 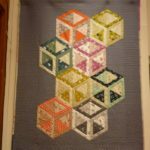 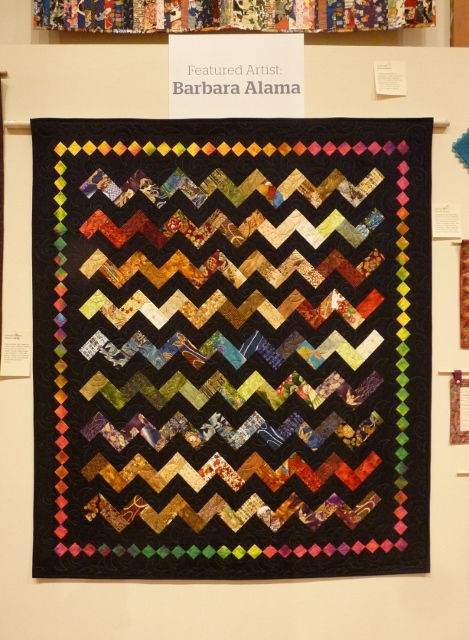 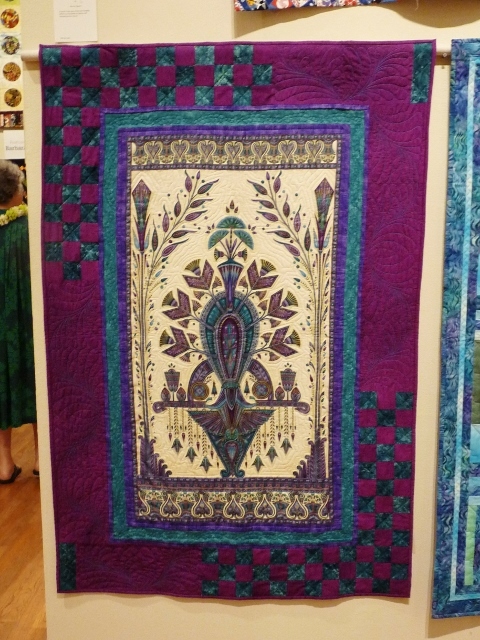 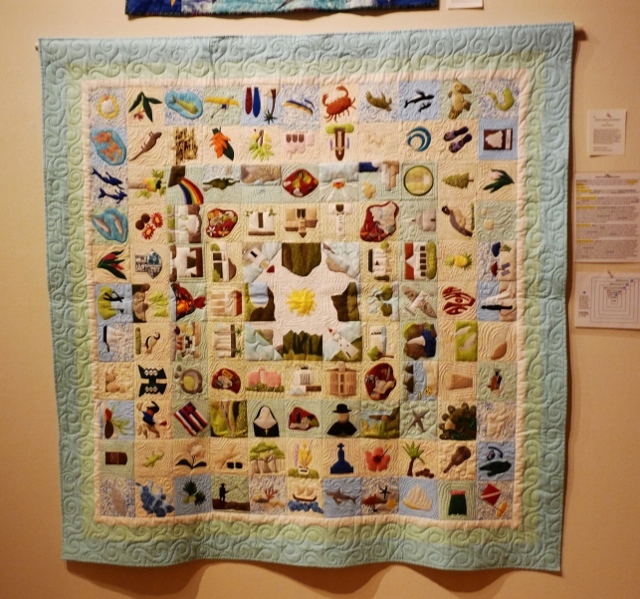 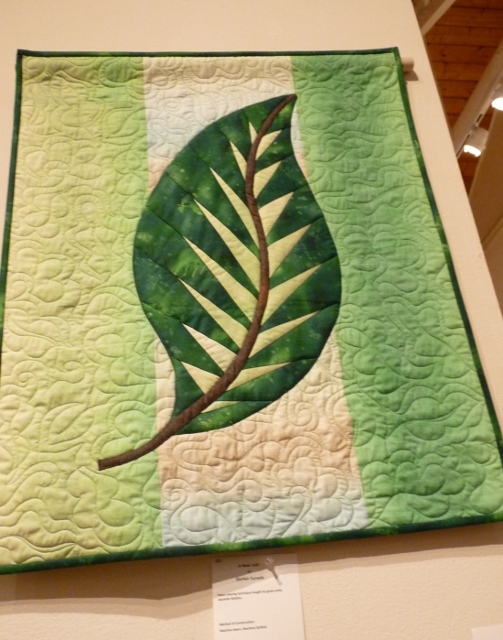 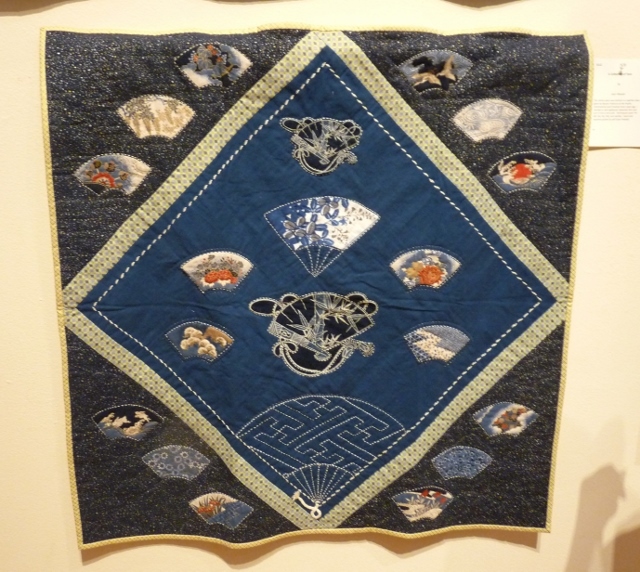 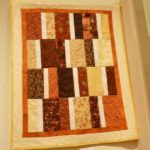 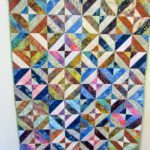 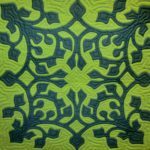 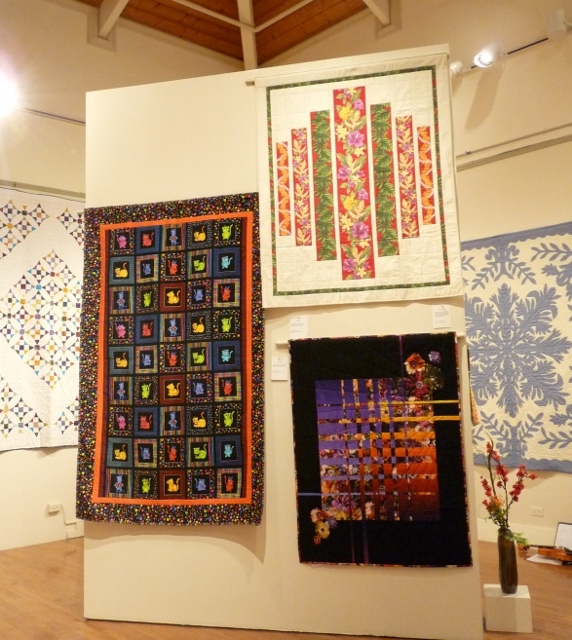 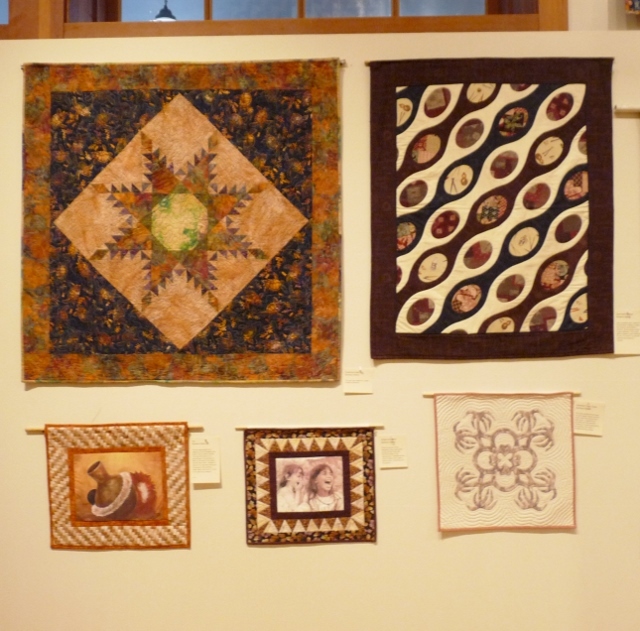 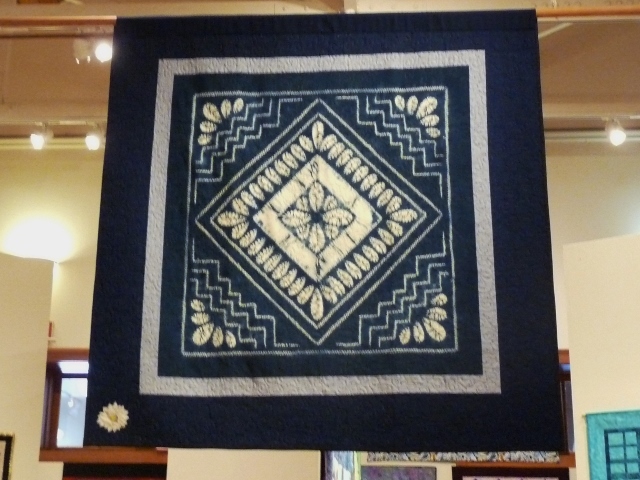 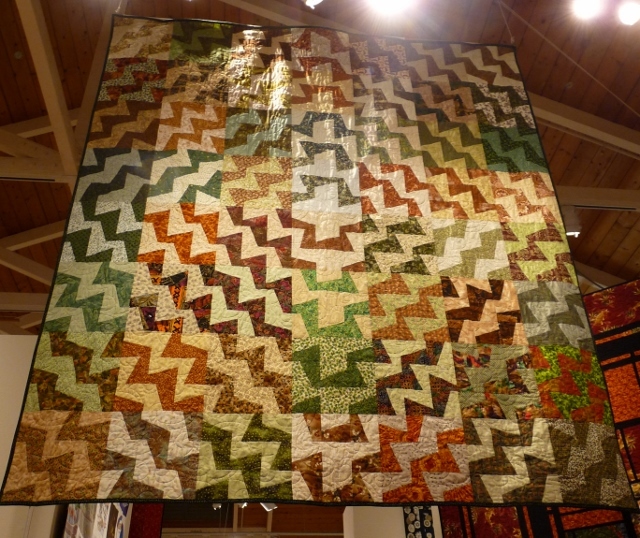 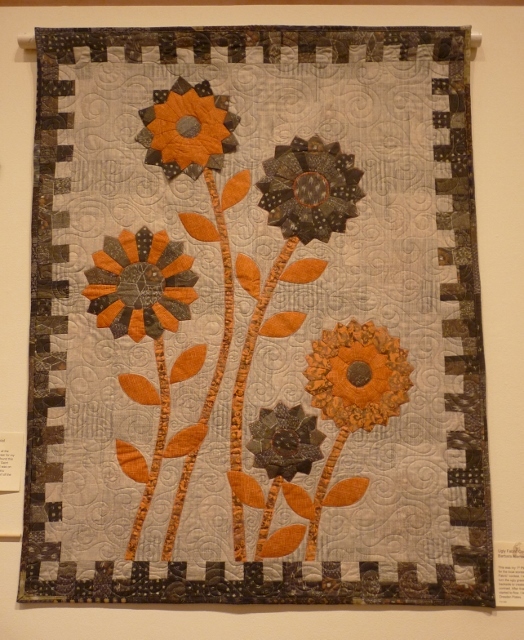 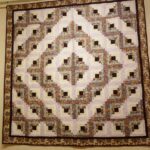 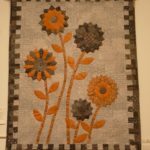 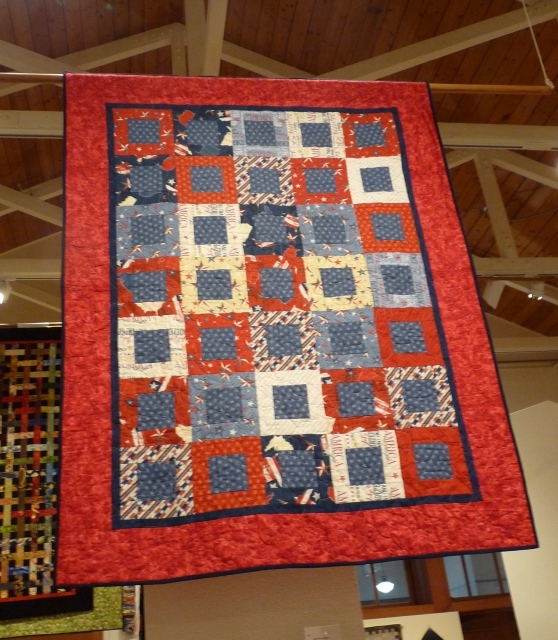 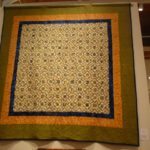 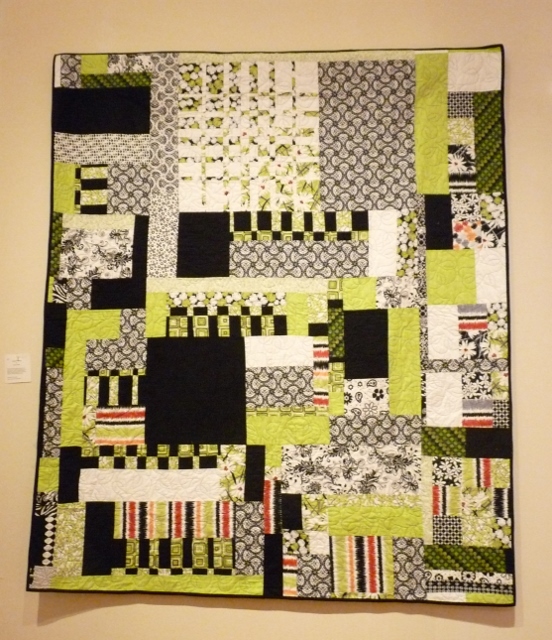 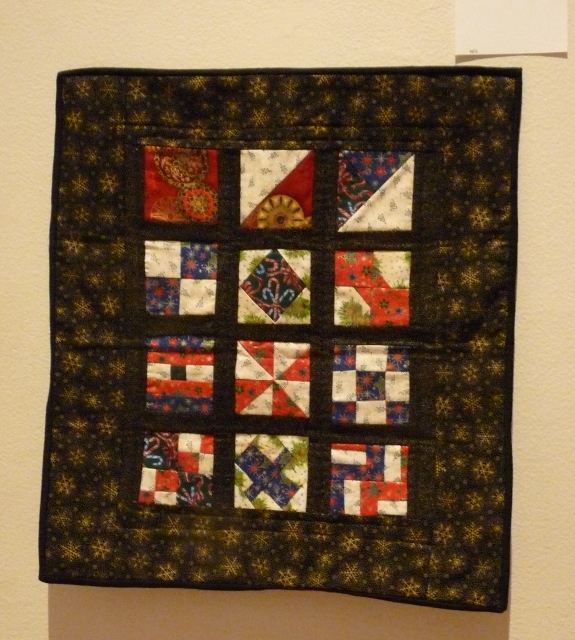 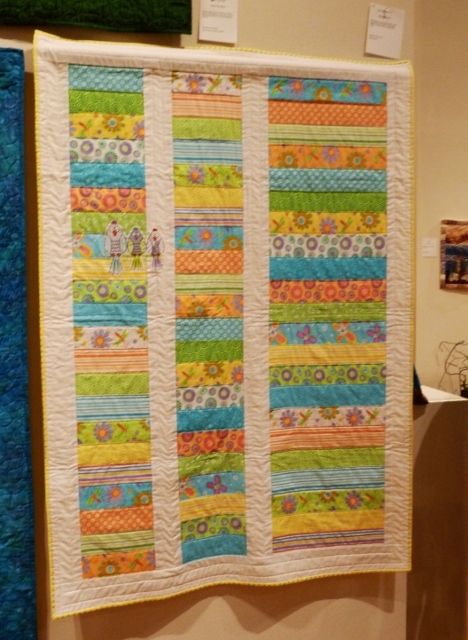 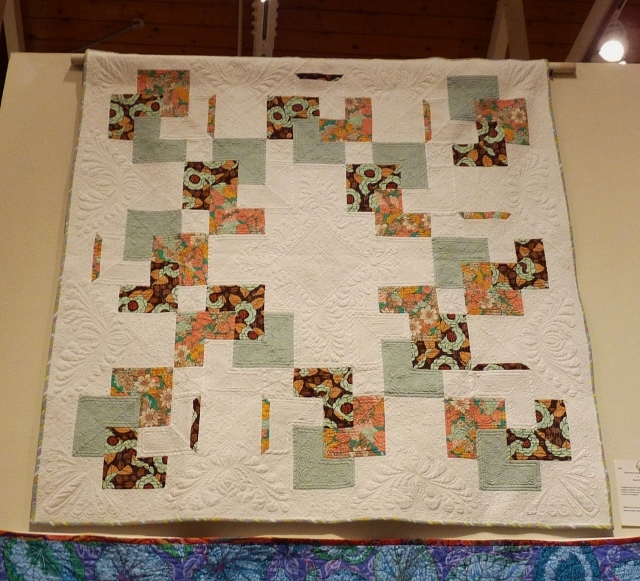 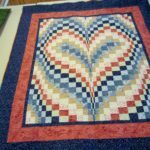 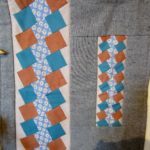 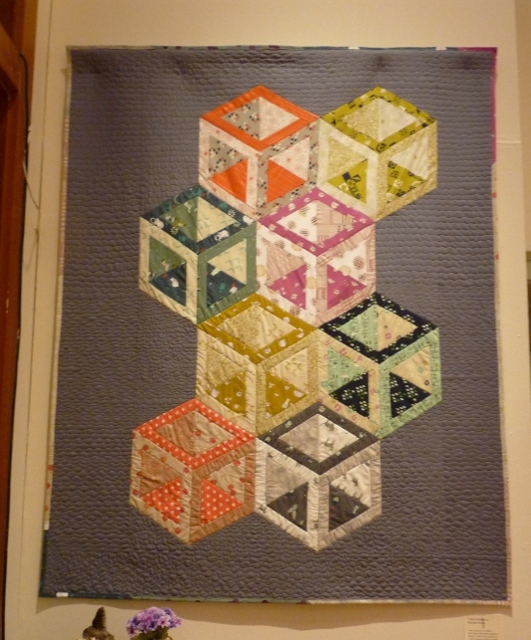 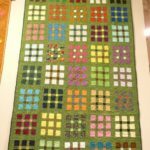 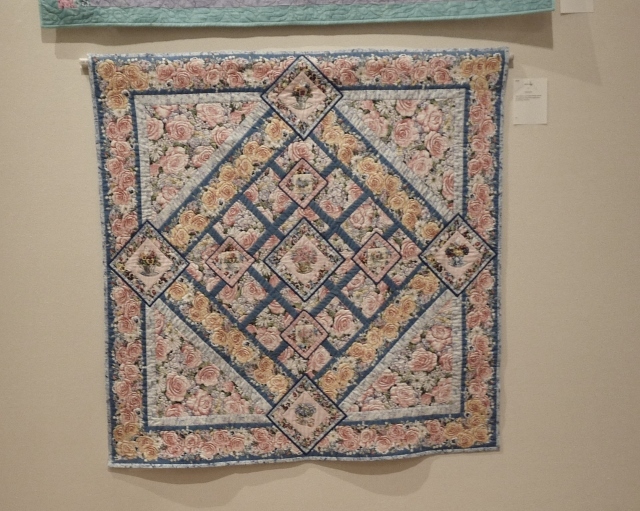 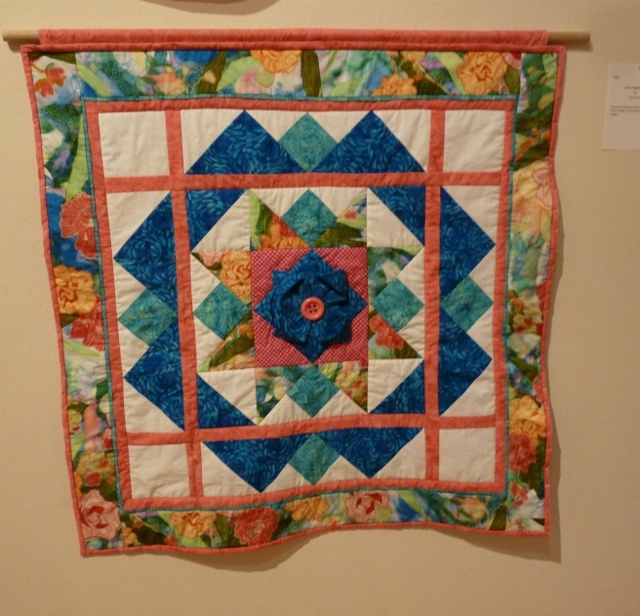 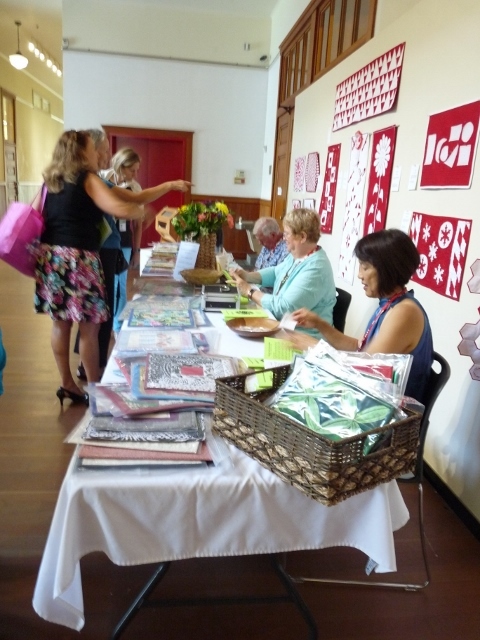 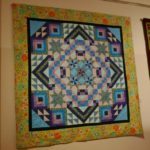 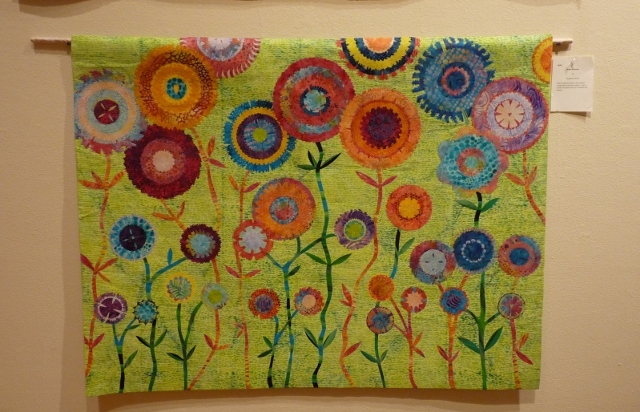 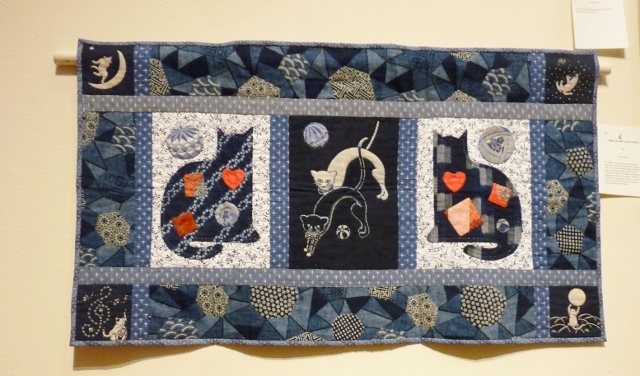 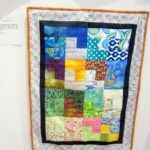 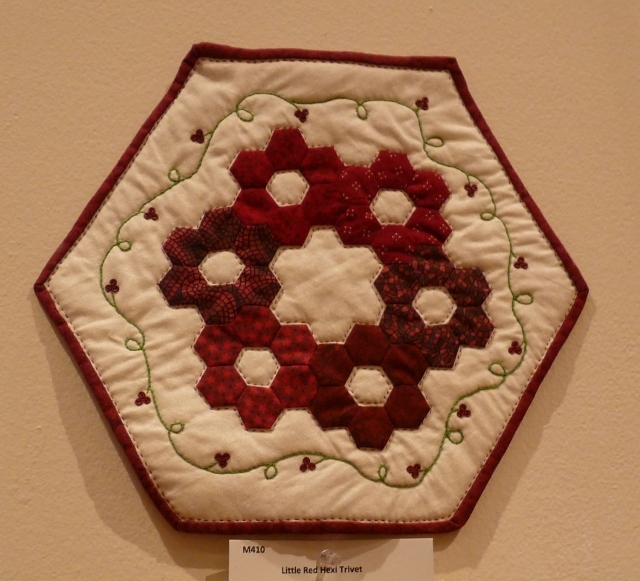 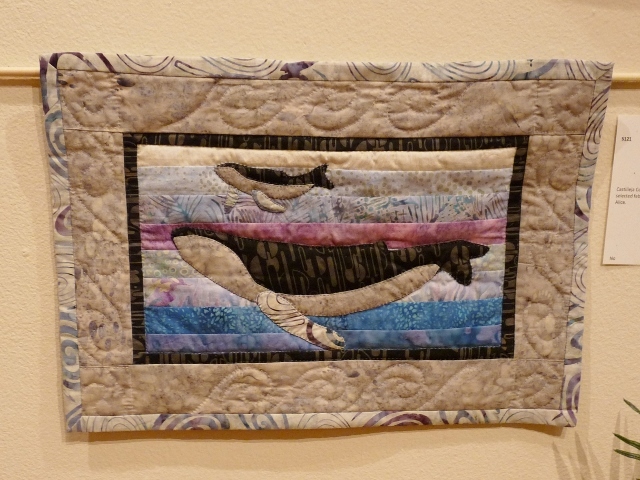 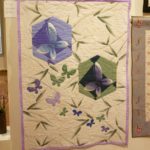 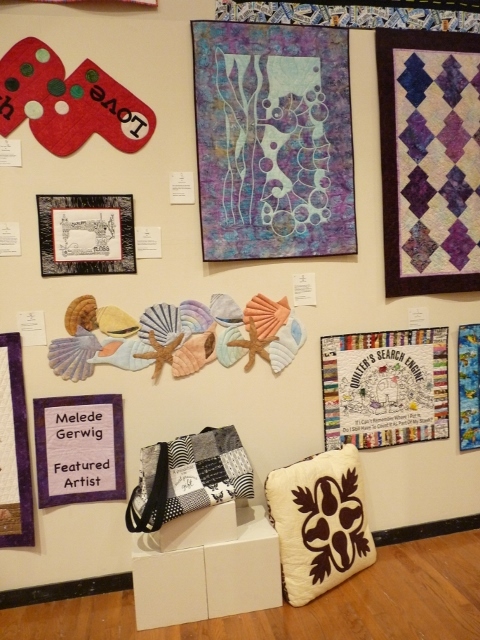 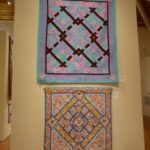 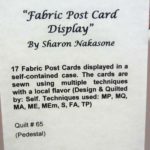 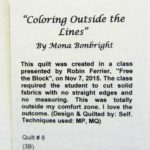 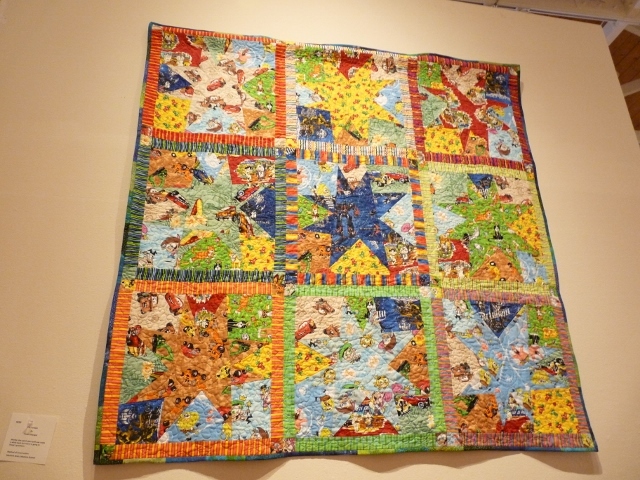 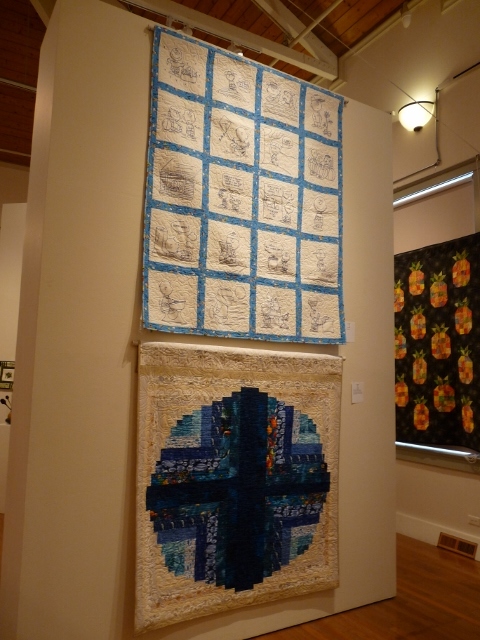 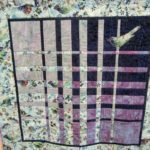 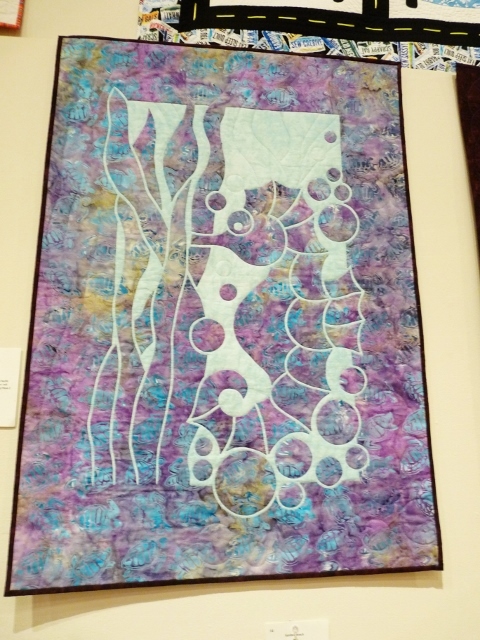 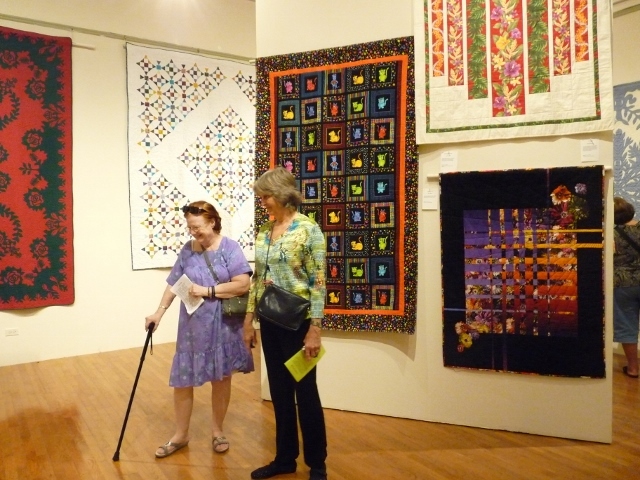 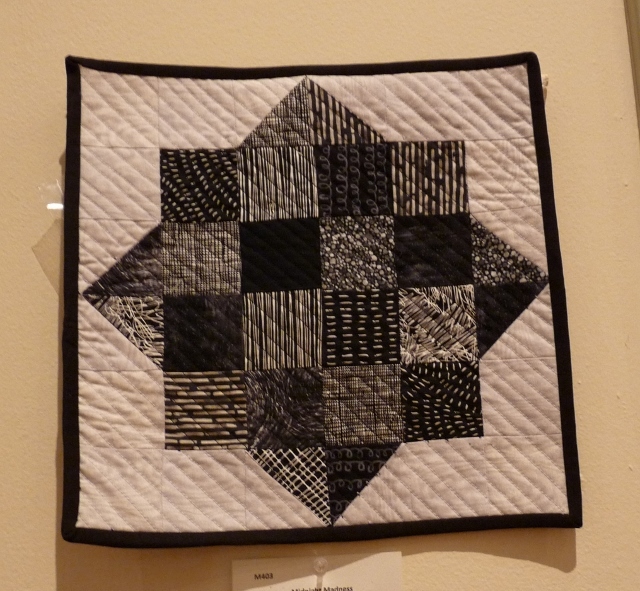 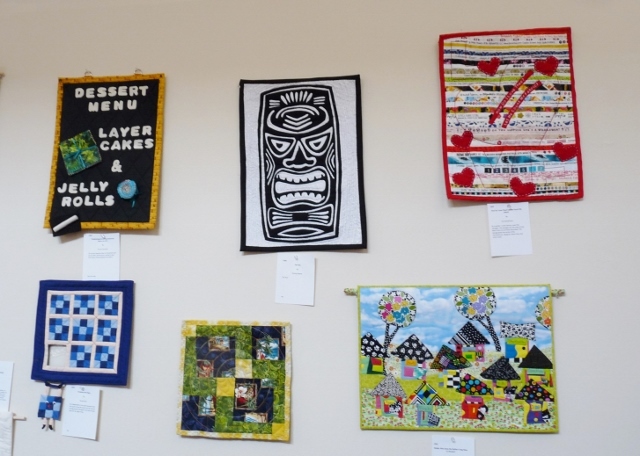 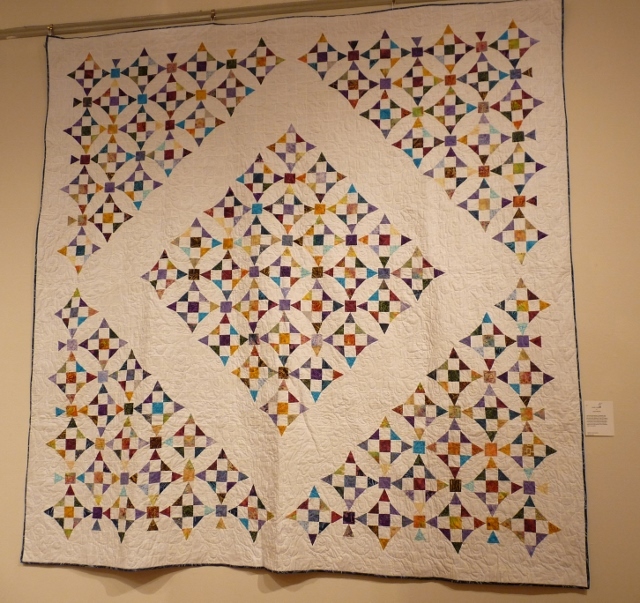 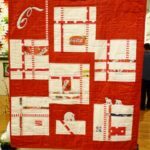 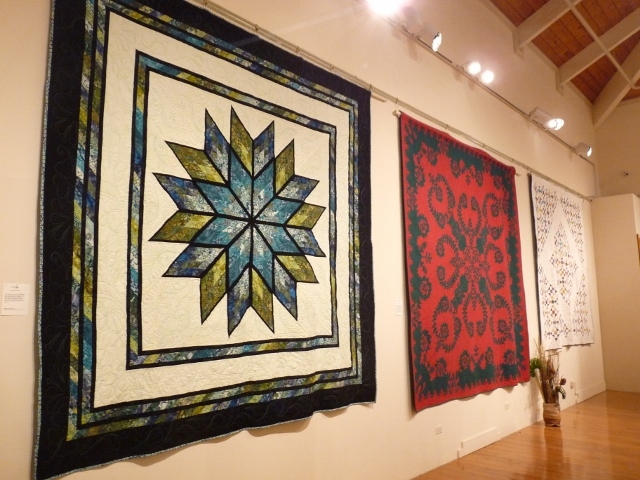 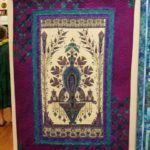 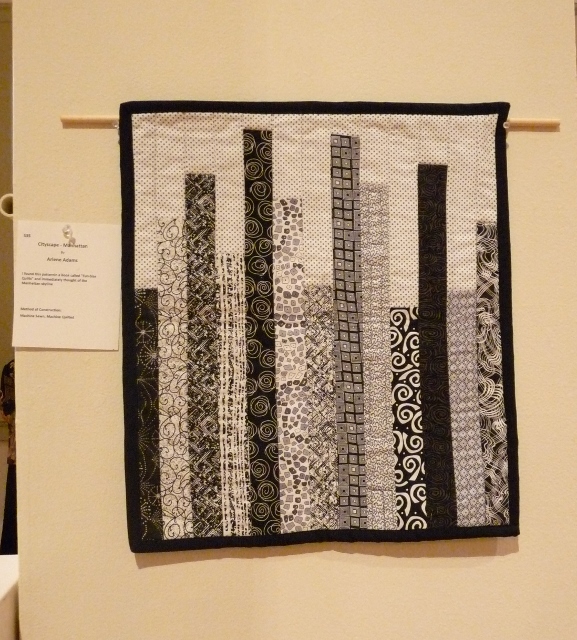 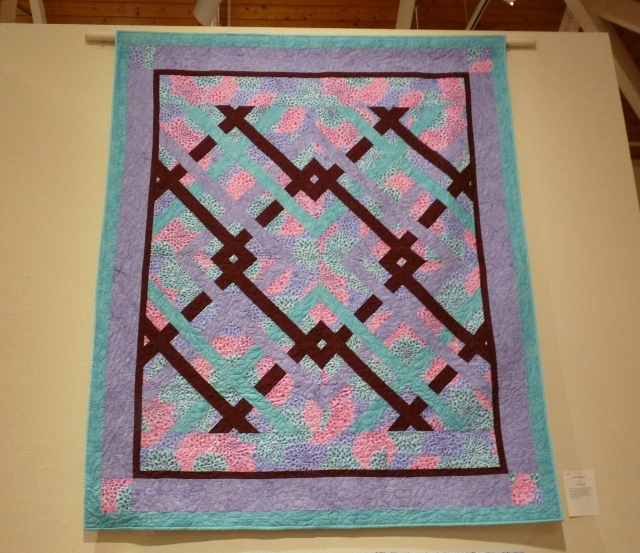 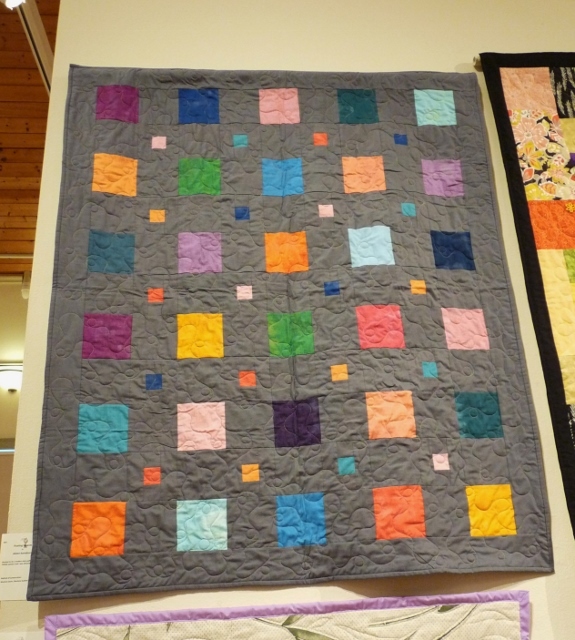 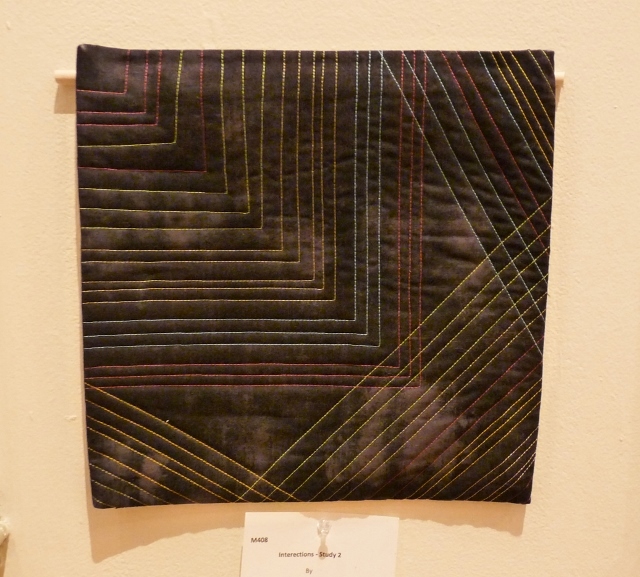 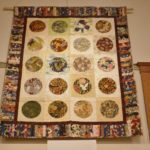 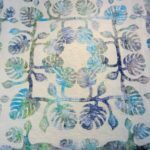 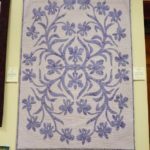 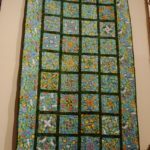 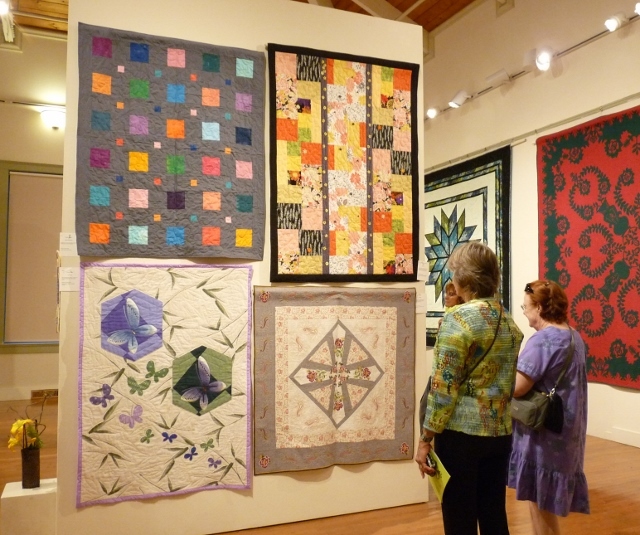 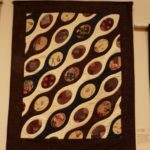 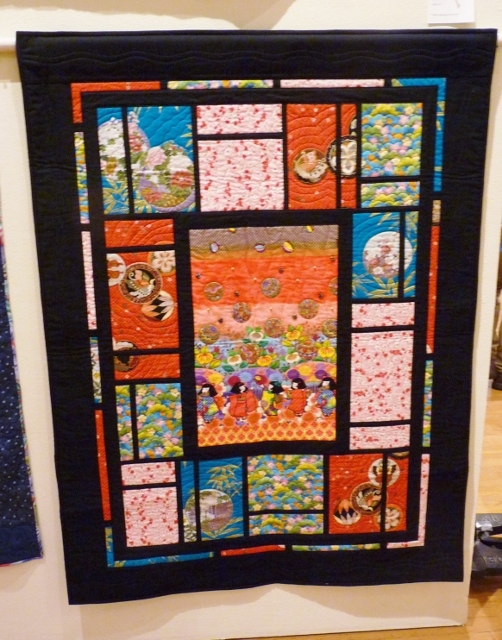 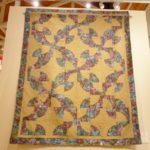 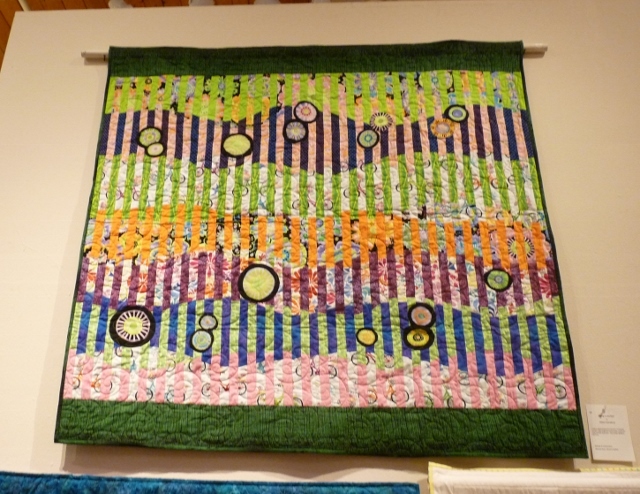 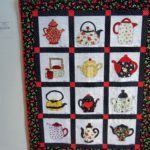 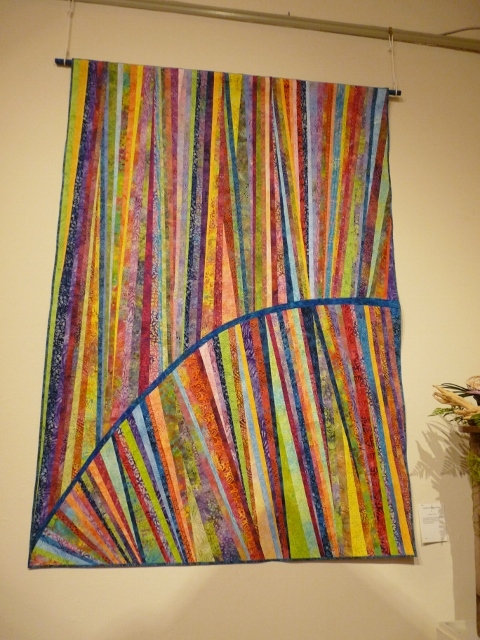 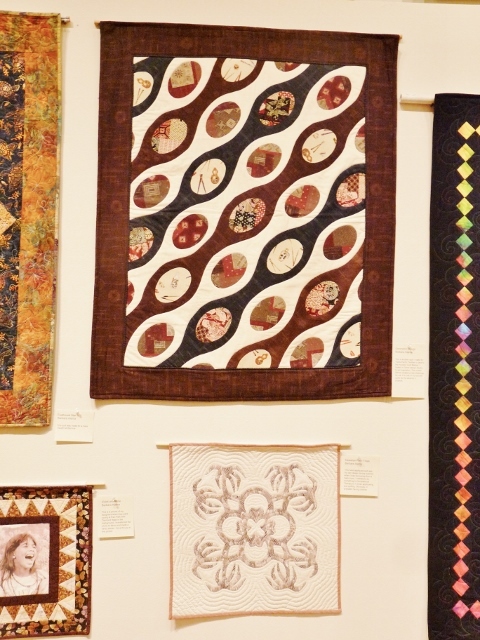 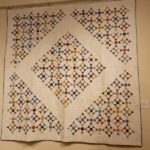 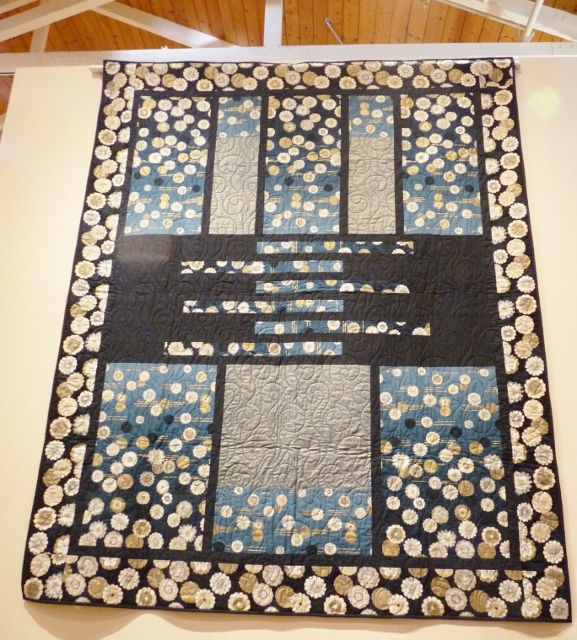 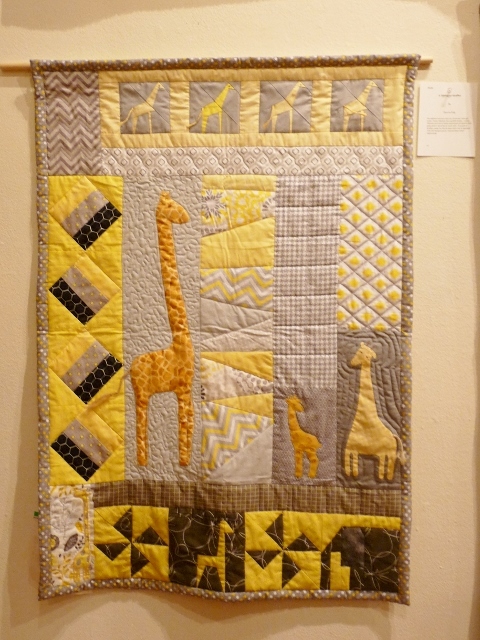 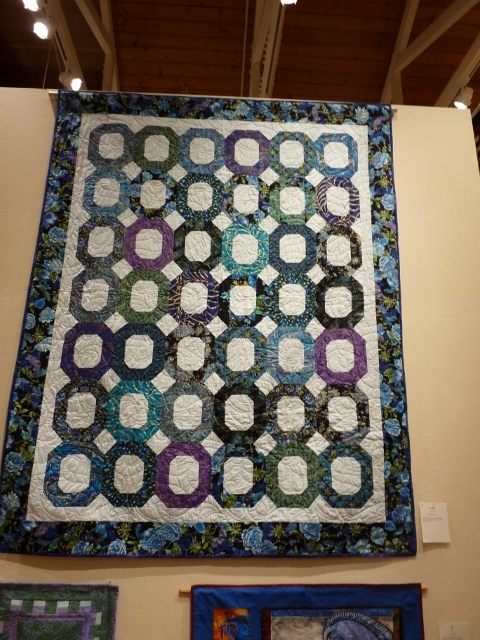 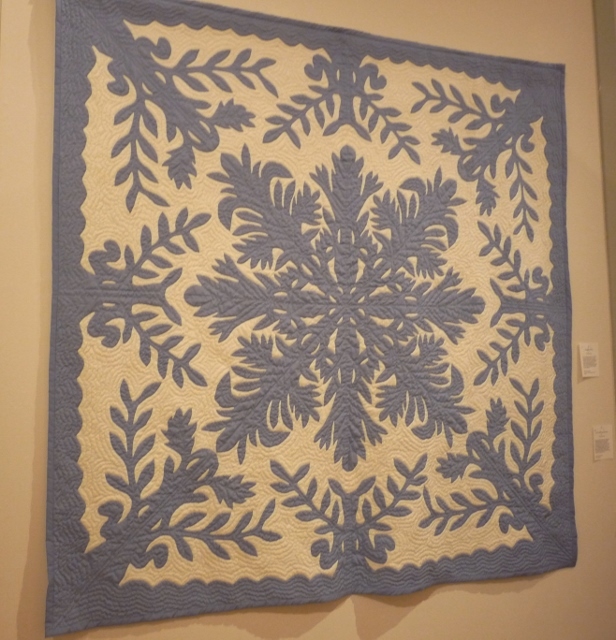 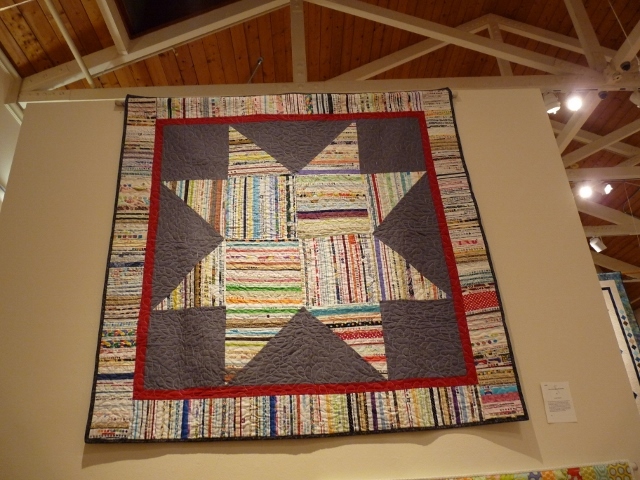 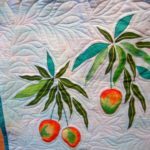 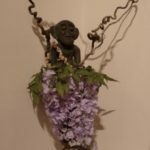 Will there be a quilt show this year 2016? 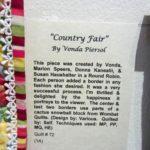 I would love to be a vendor. 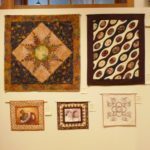 In 2016, we will have a Quilt Display and in 2017 we plan to have our regular Show. 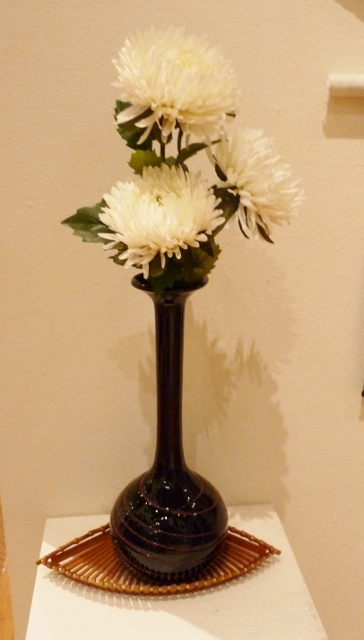 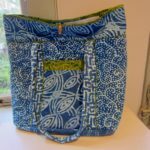 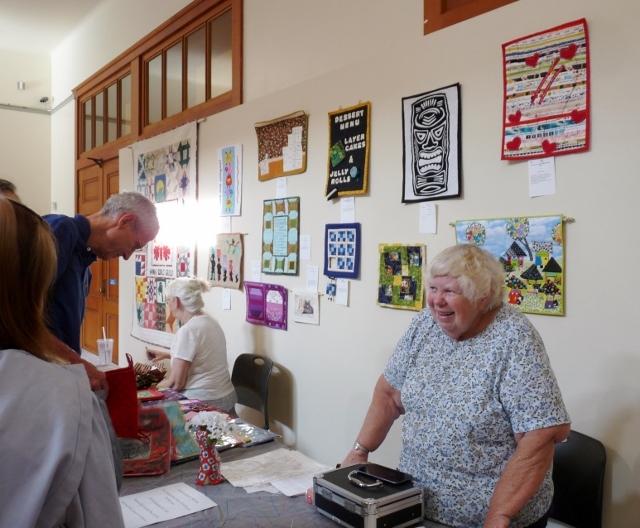 Our Show normally does not include any vendors. 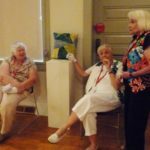 I represent the Crestview Sunrisers (senior citizen group). 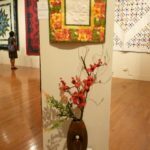 We do holo holo outings twice a month and continuously look for different/interesting places to visit which brings me to you. 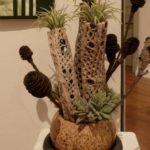 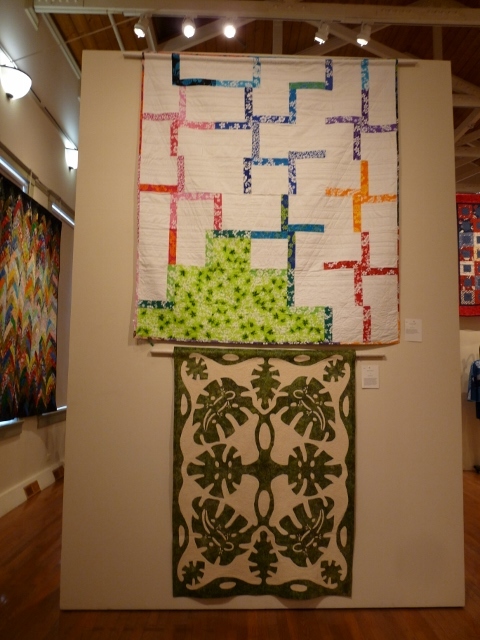 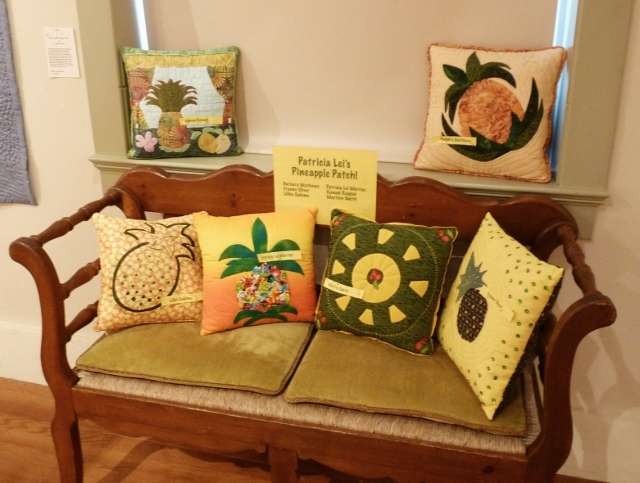 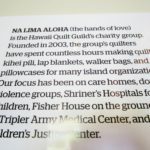 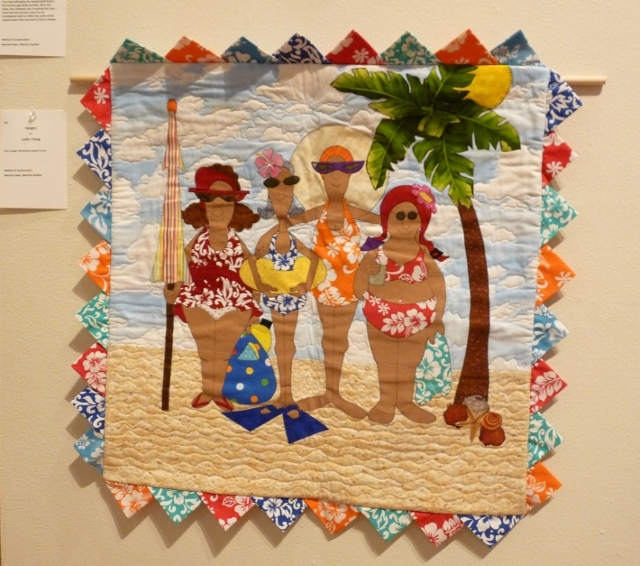 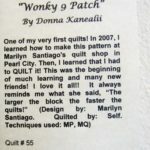 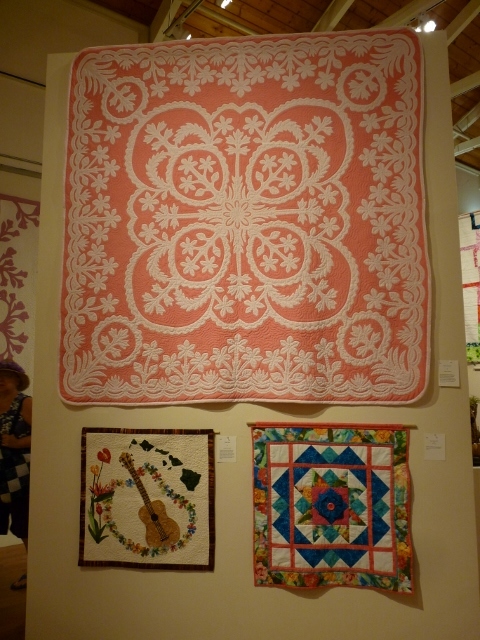 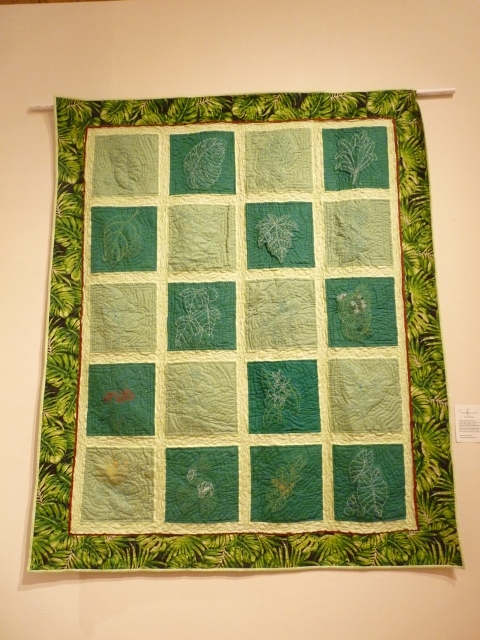 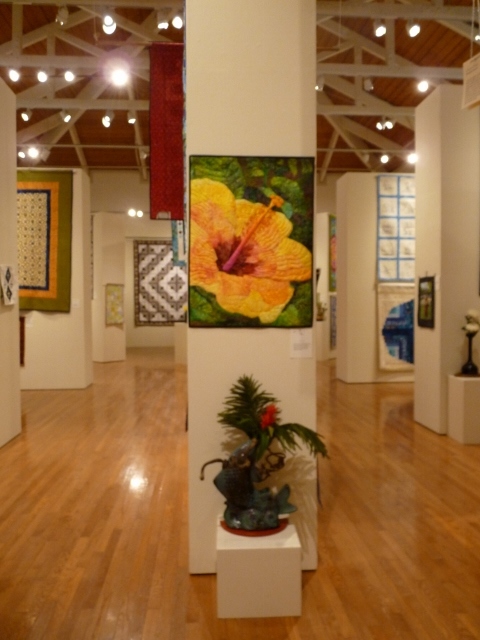 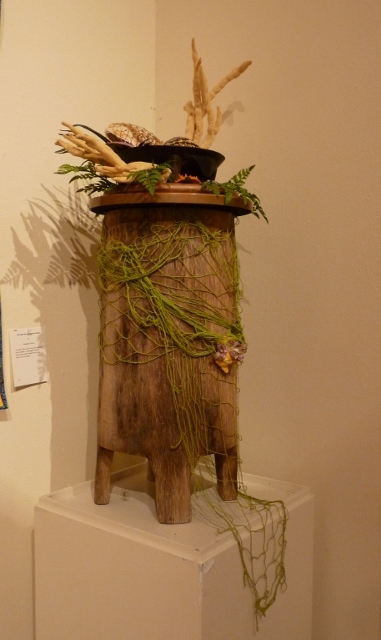 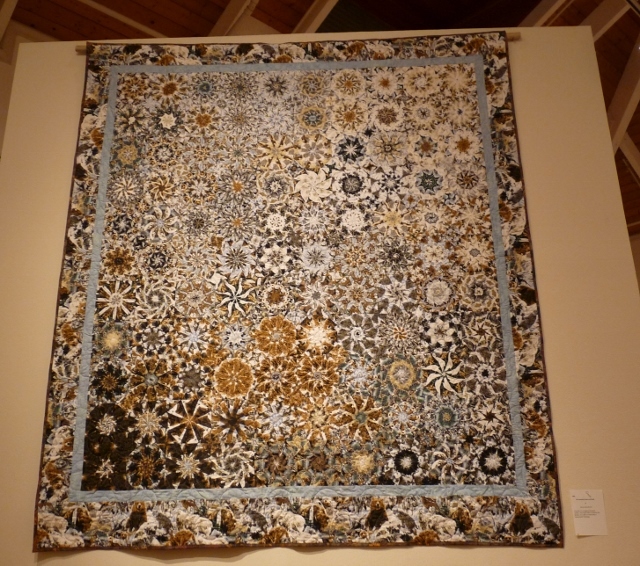 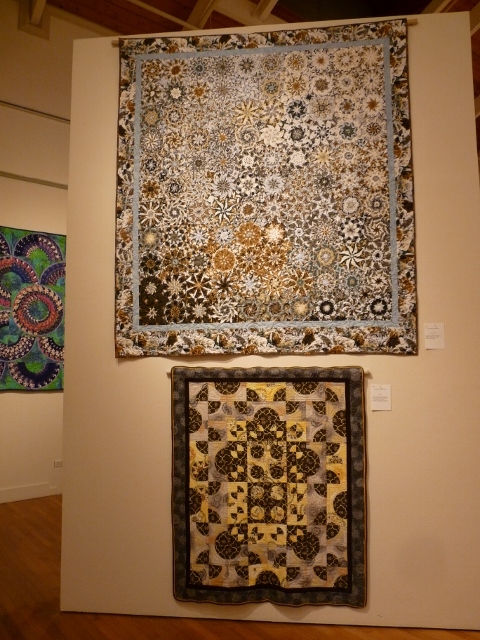 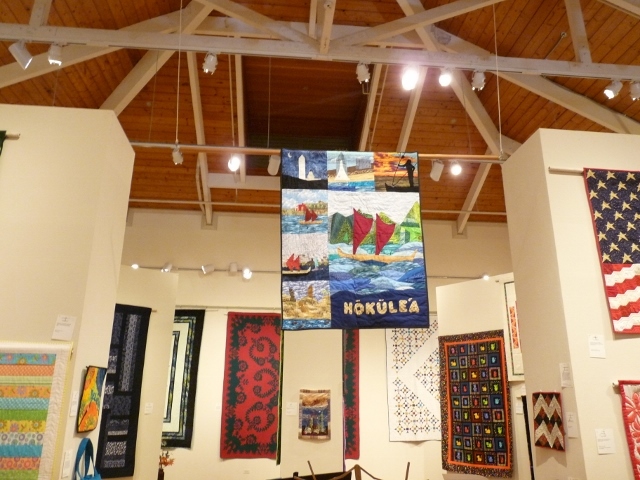 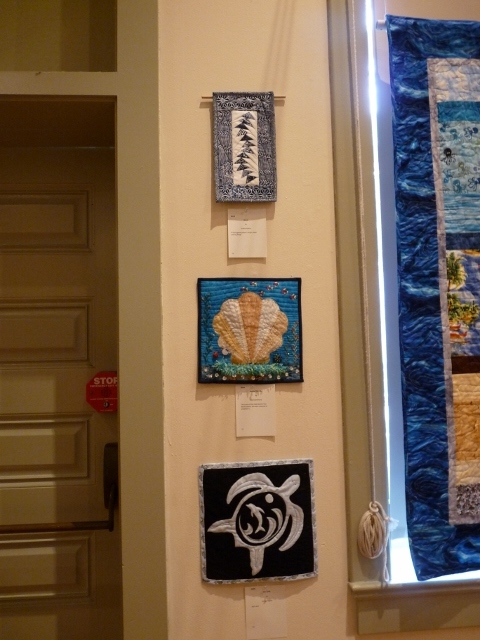 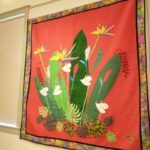 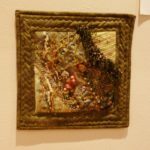 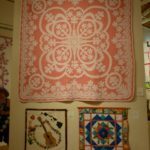 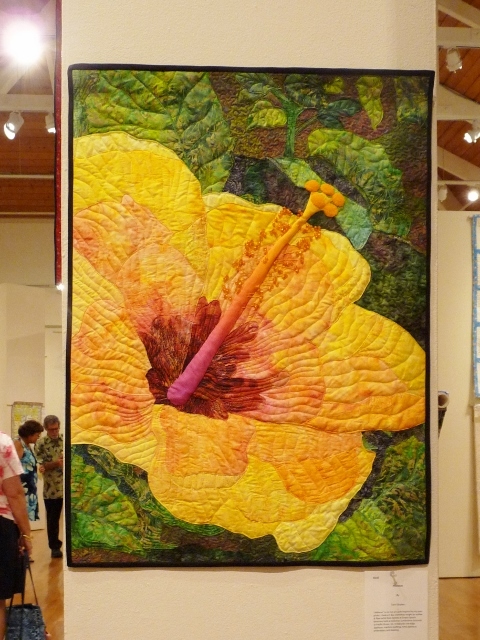 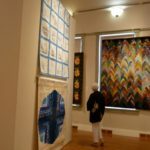 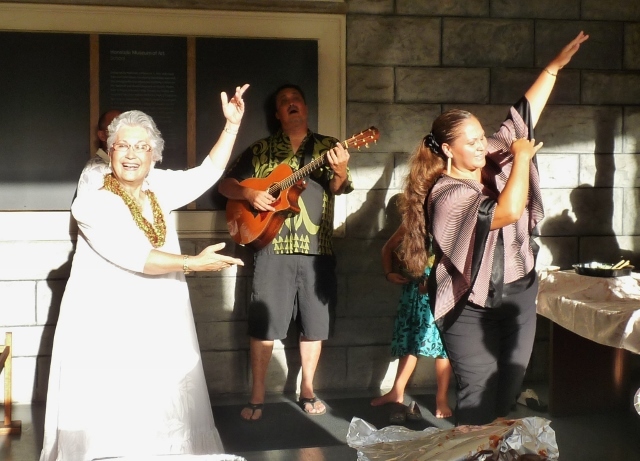 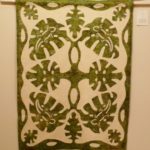 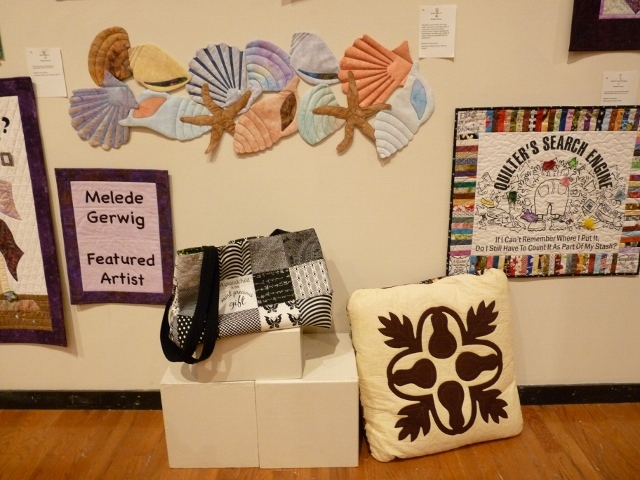 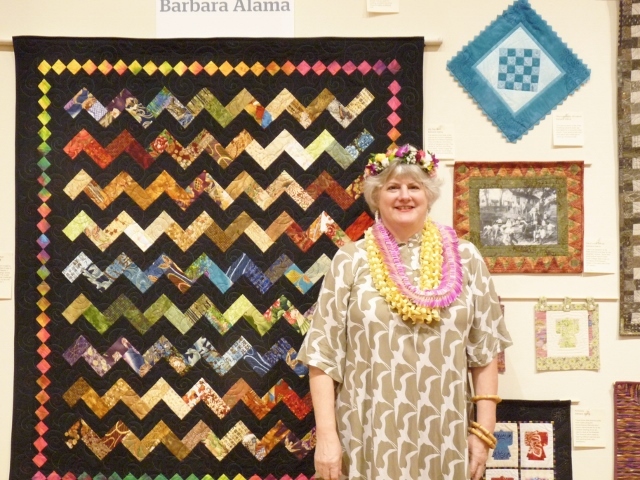 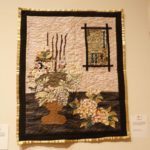 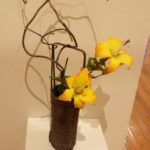 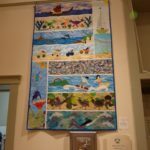 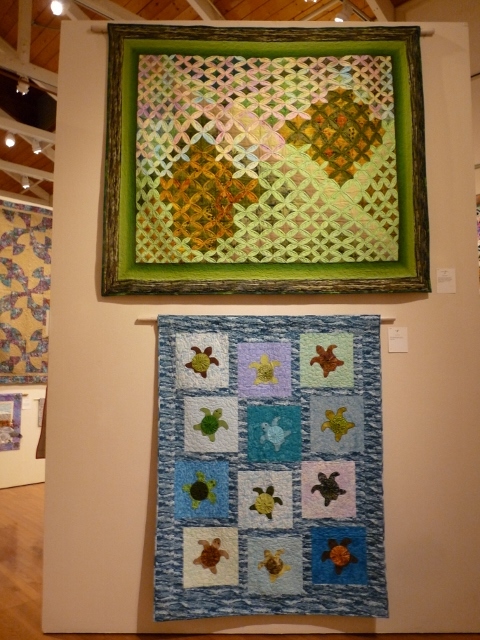 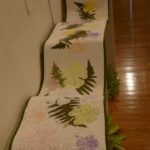 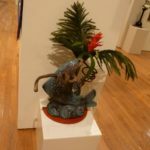 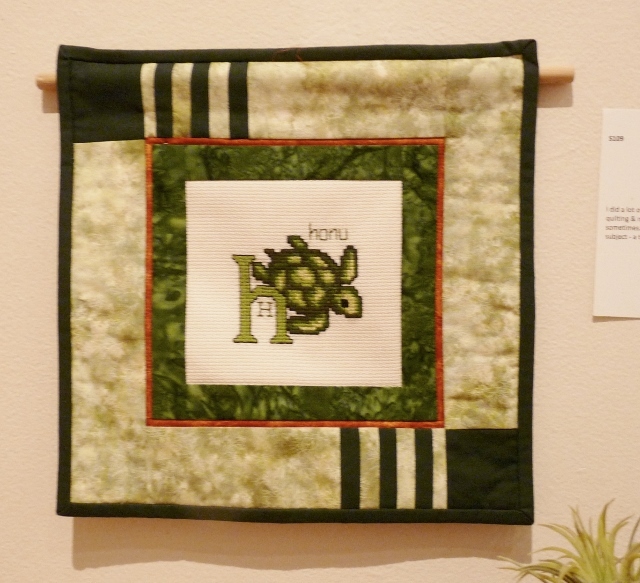 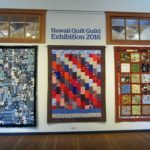 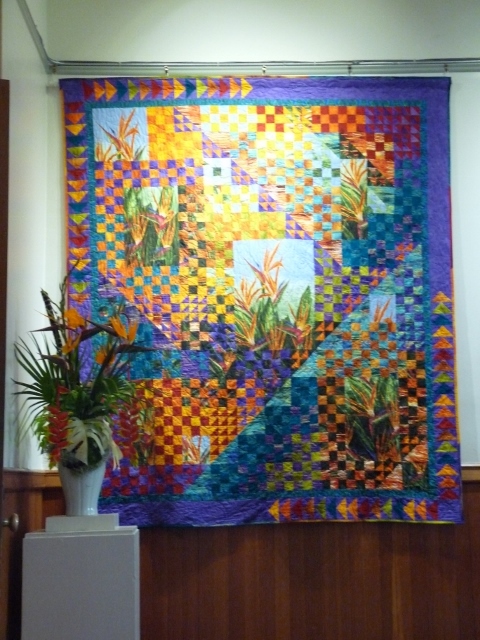 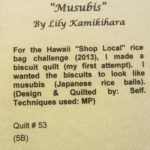 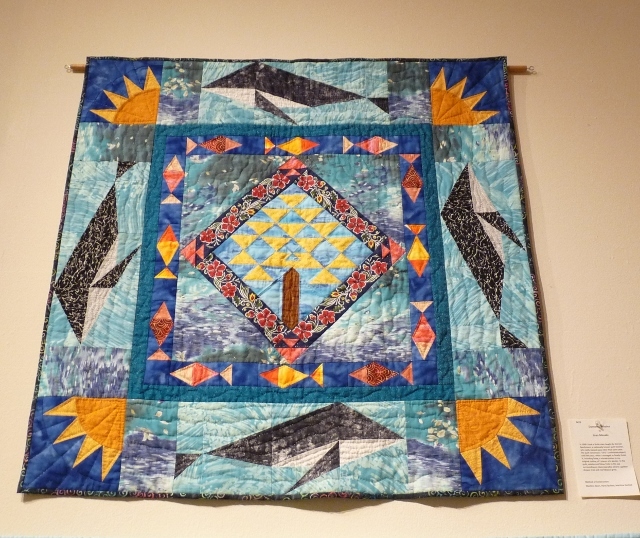 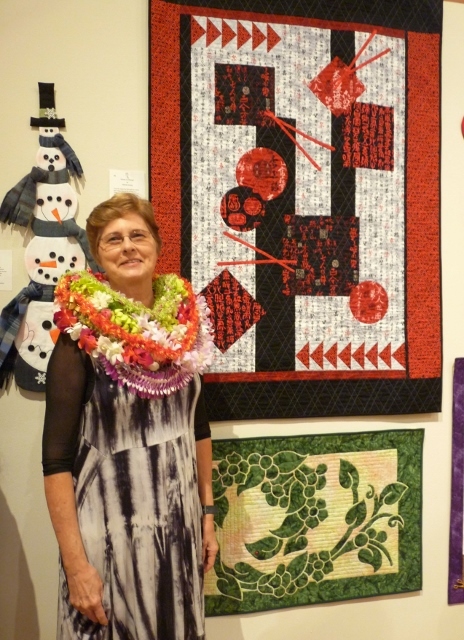 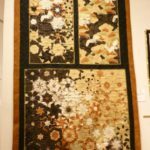 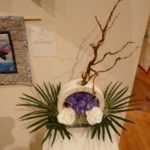 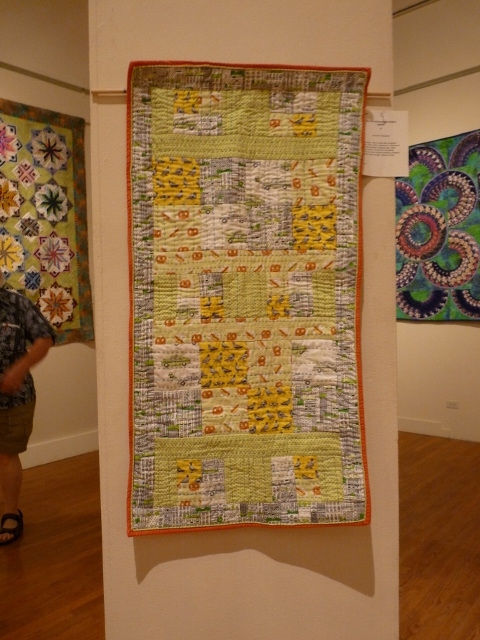 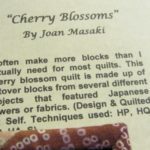 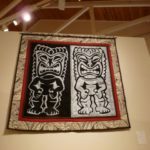 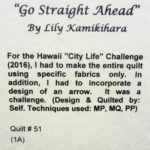 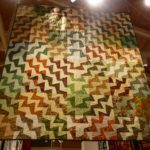 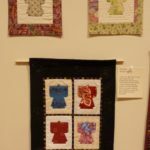 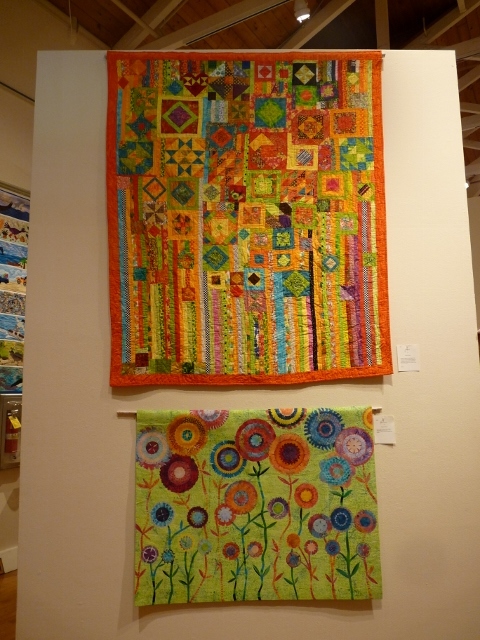 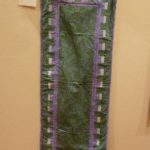 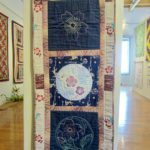 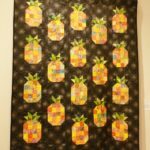 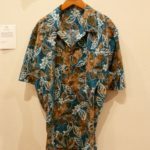 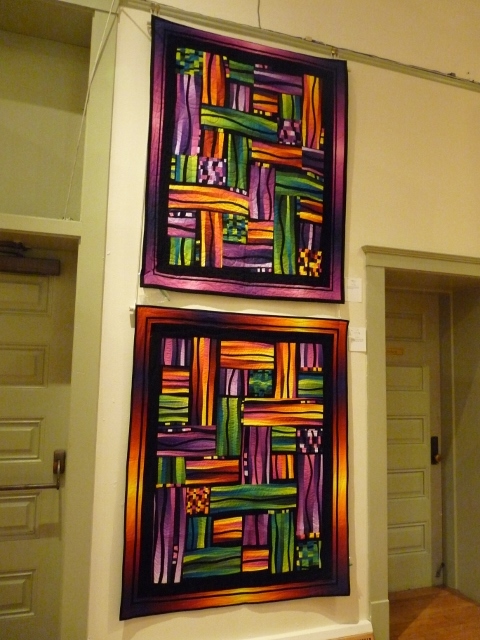 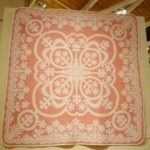 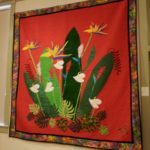 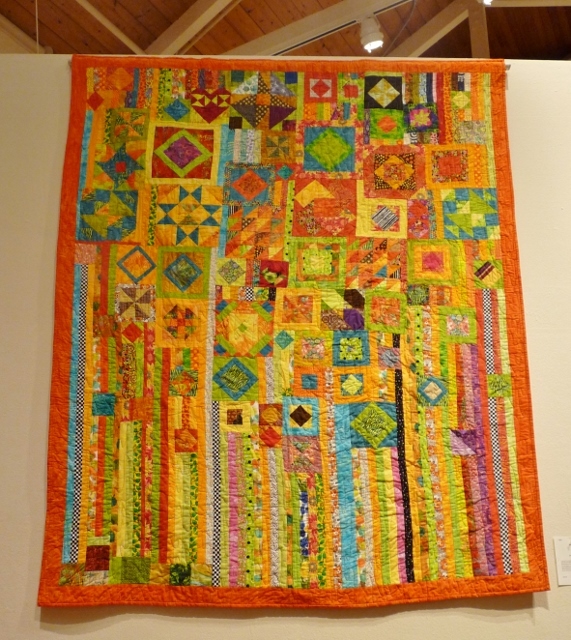 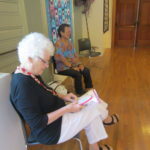 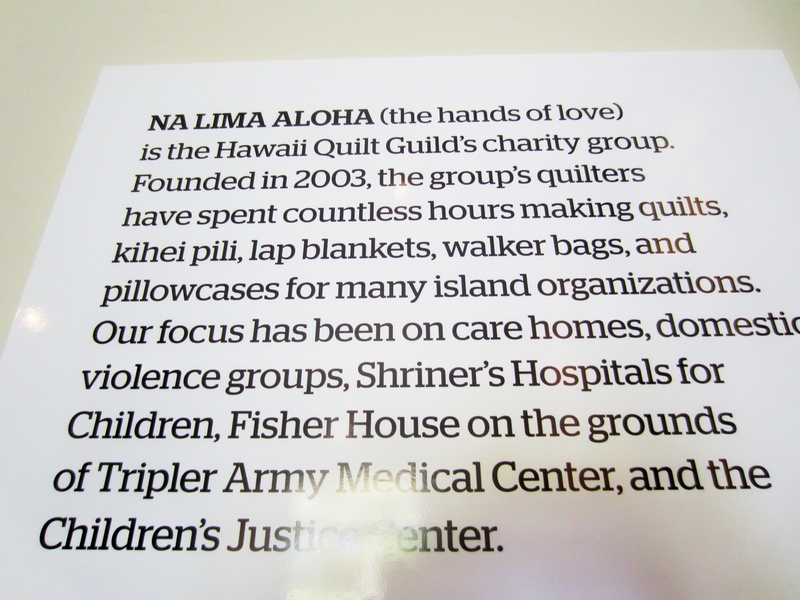 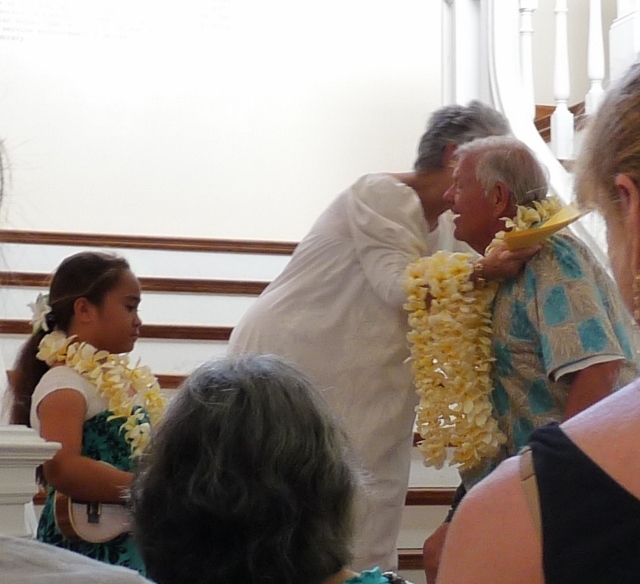 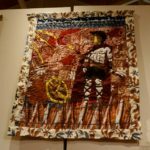 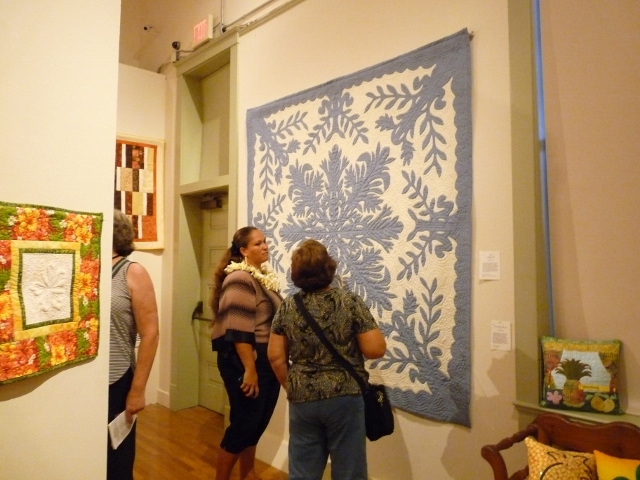 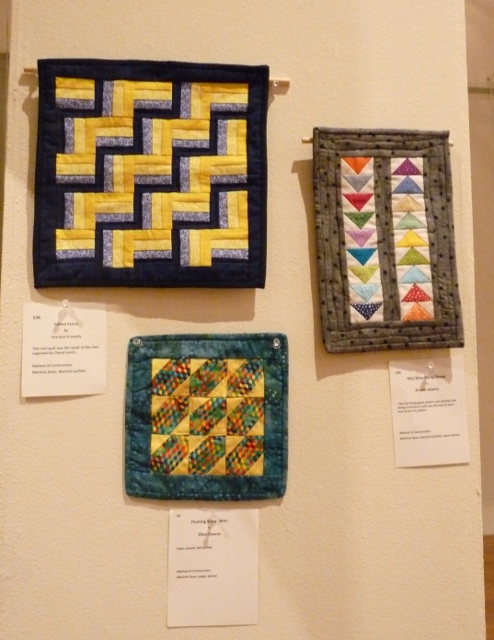 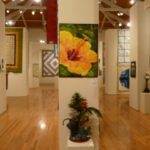 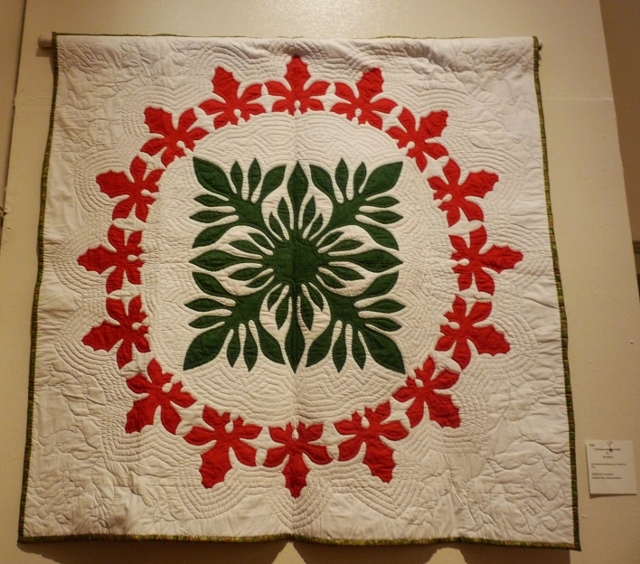 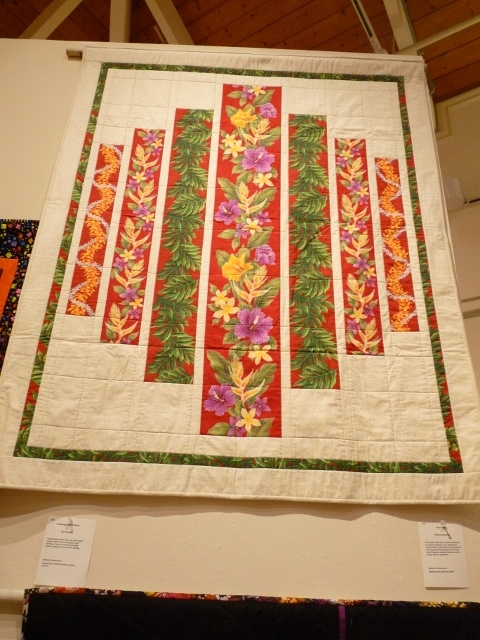 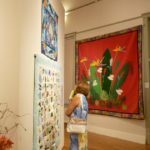 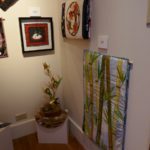 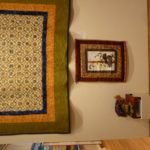 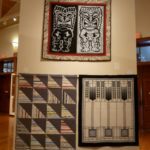 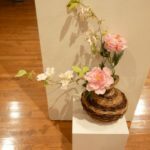 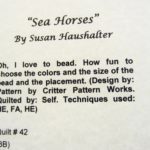 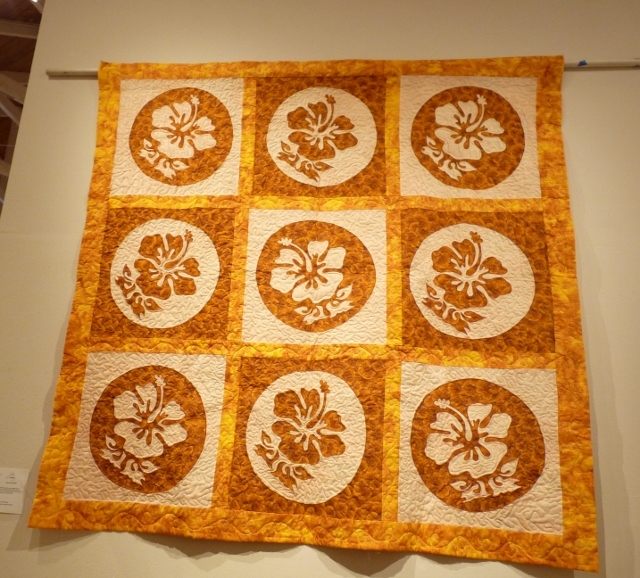 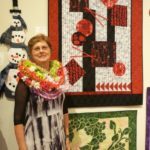 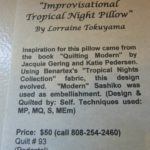 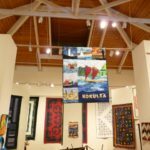 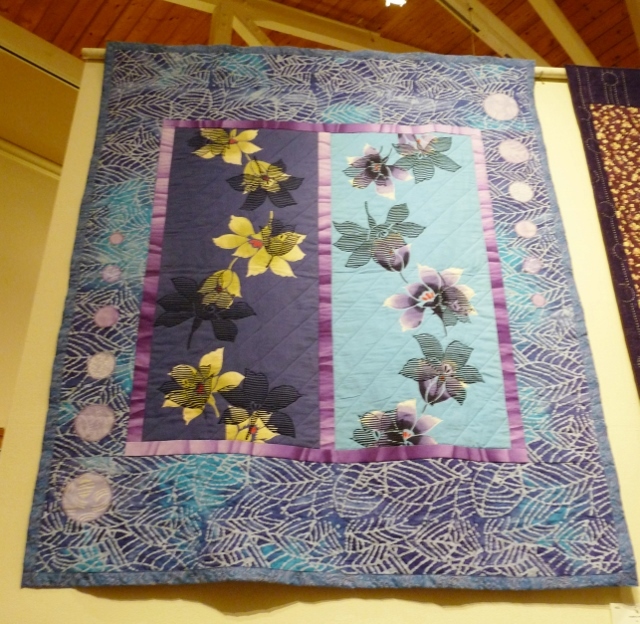 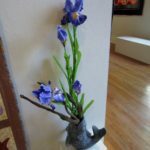 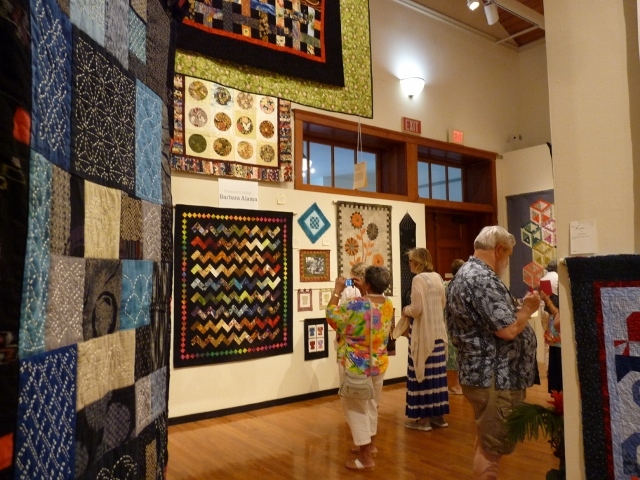 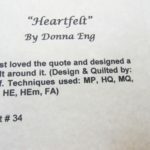 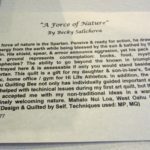 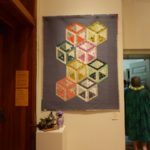 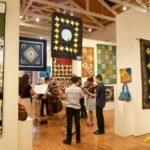 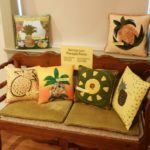 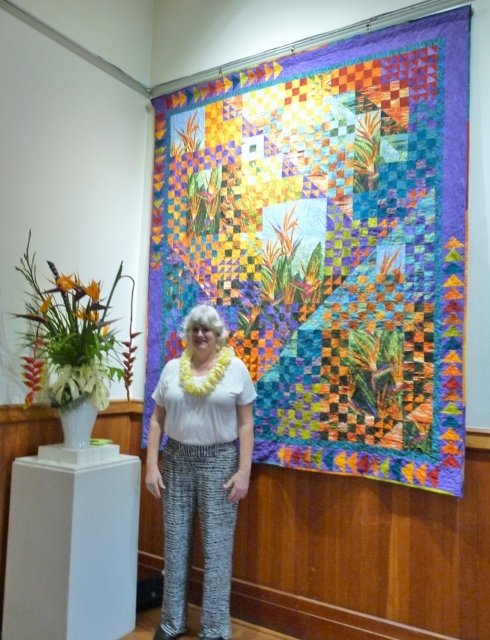 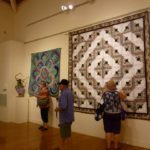 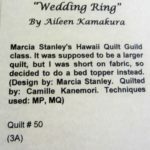 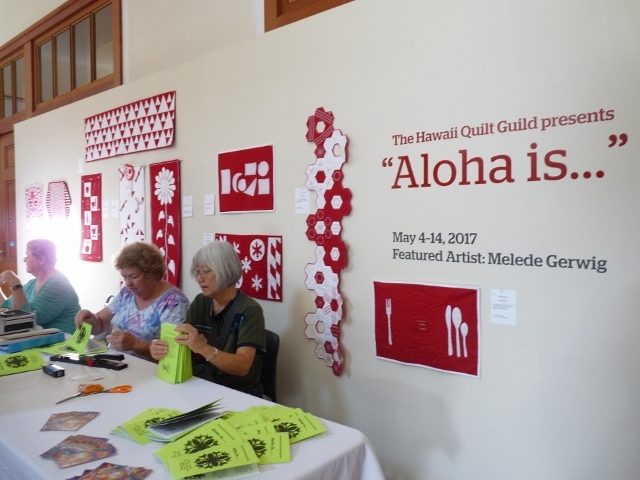 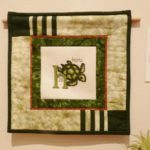 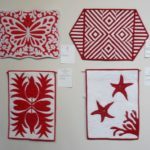 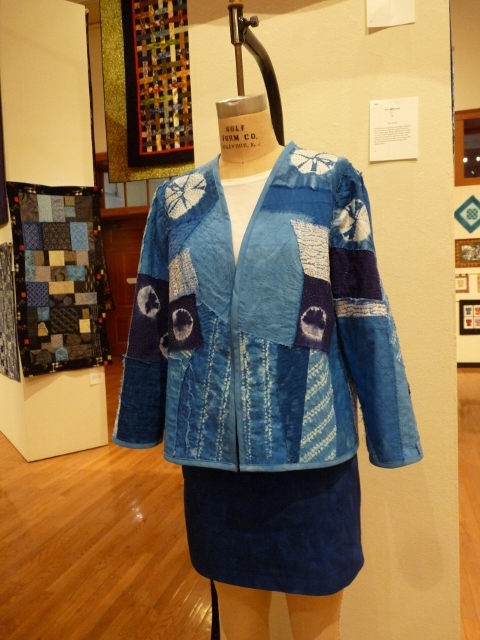 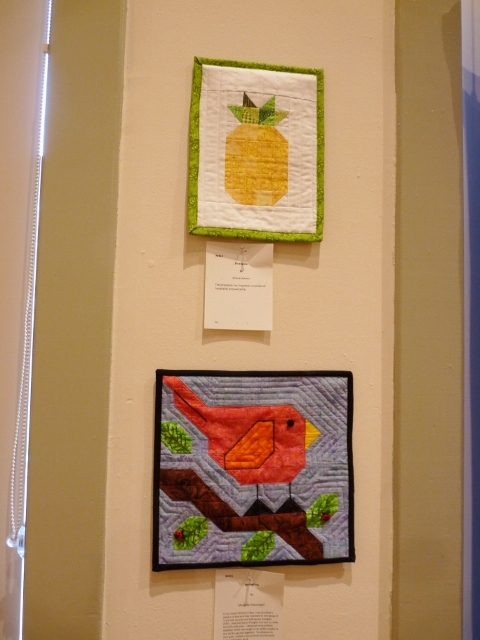 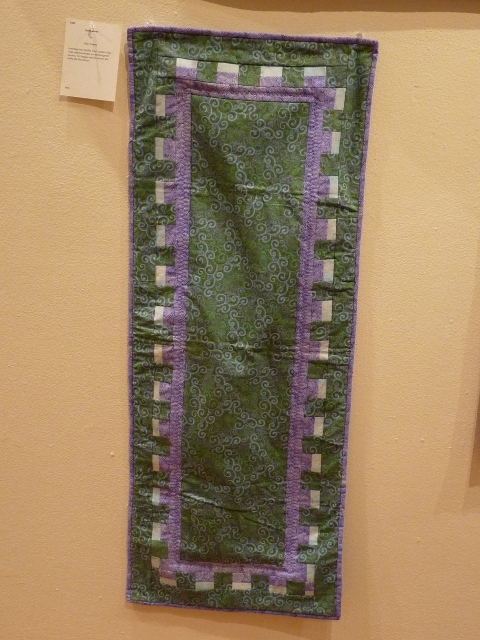 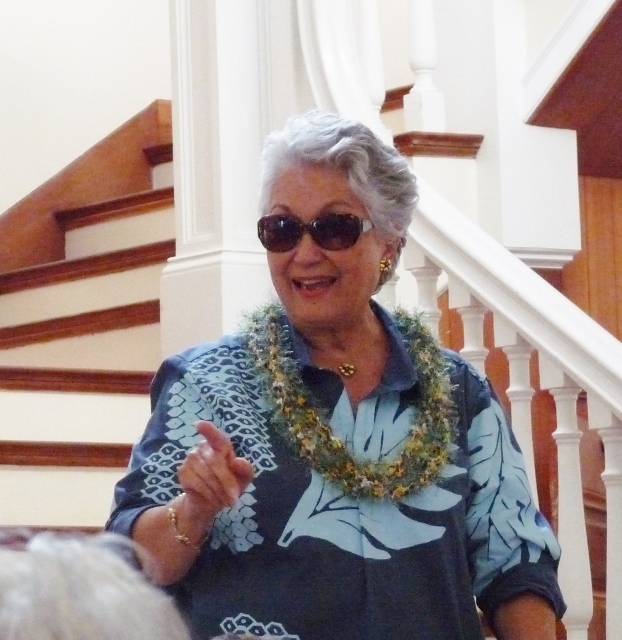 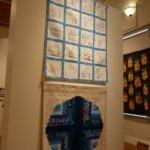 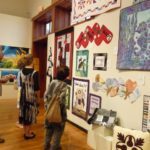 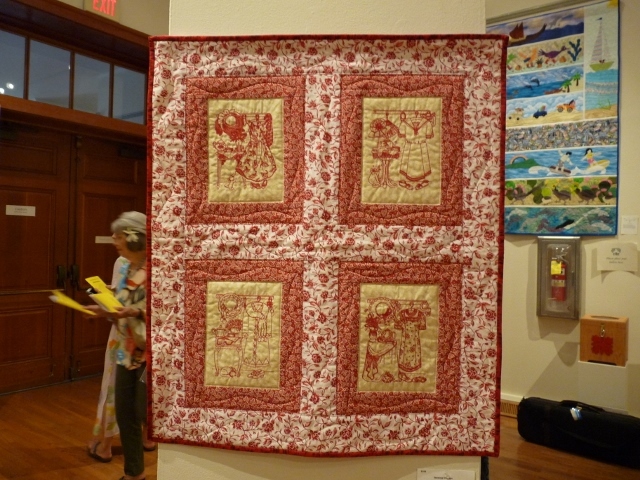 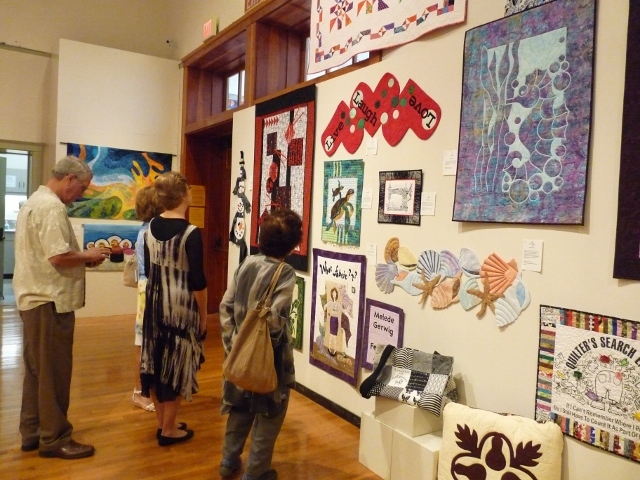 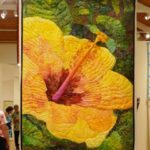 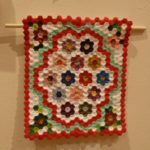 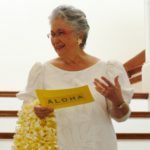 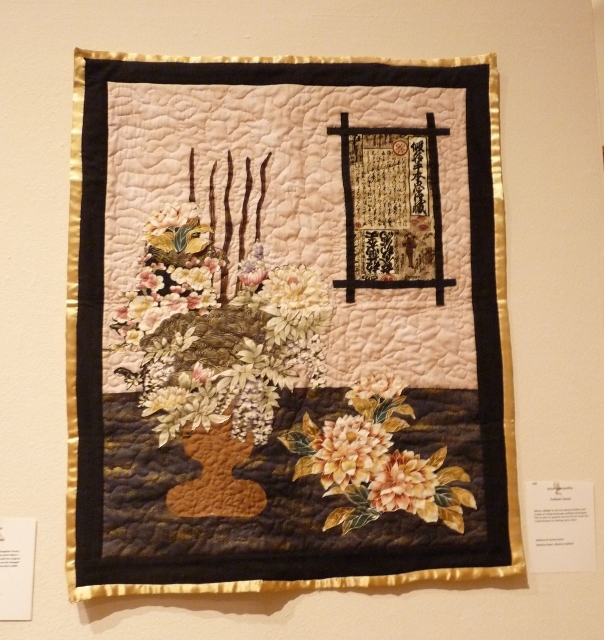 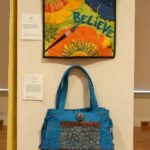 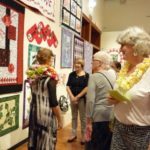 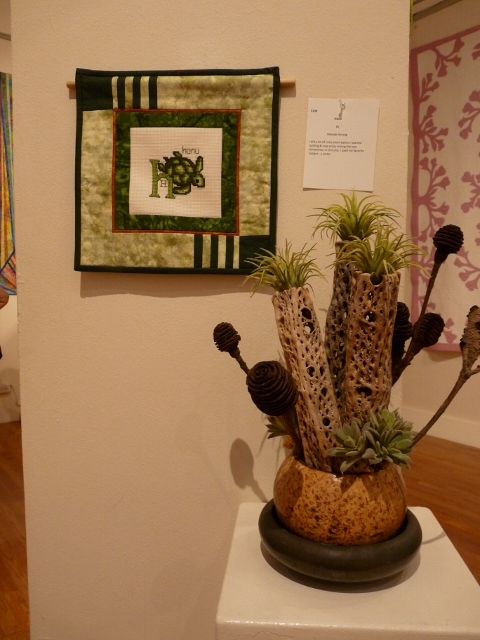 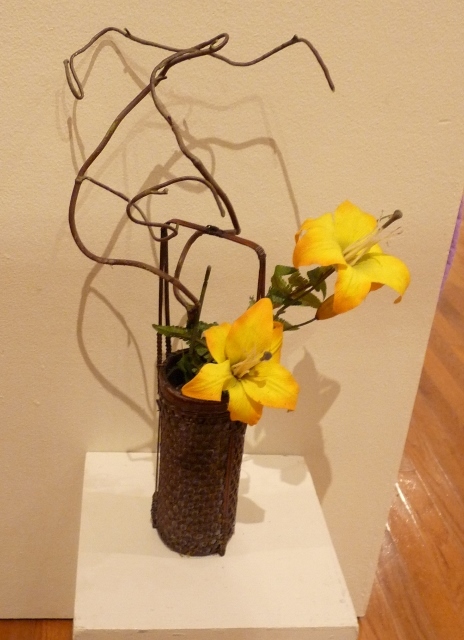 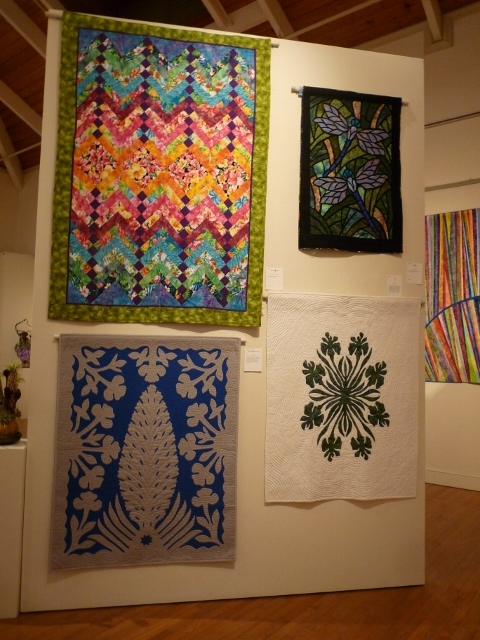 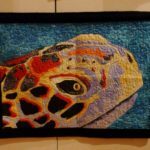 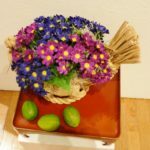 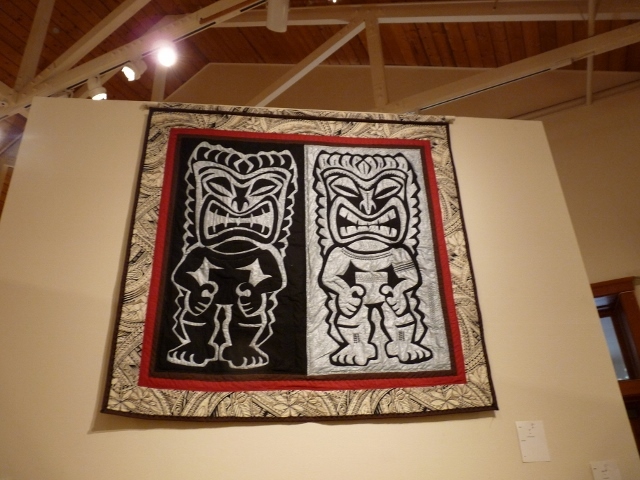 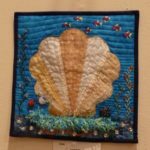 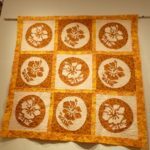 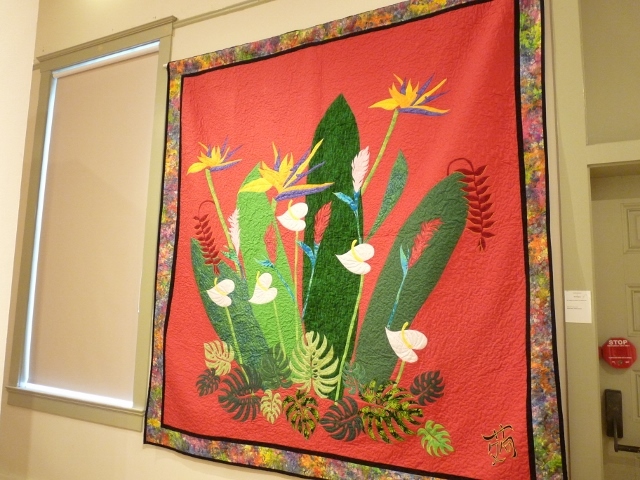 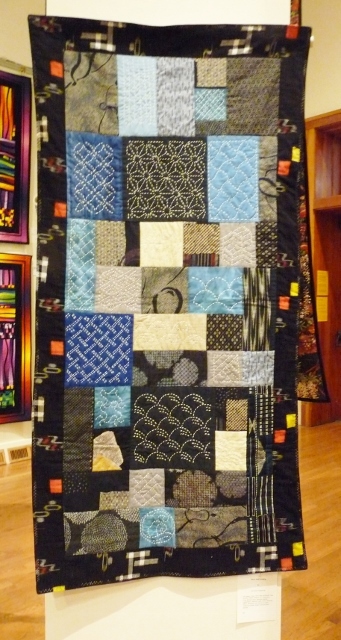 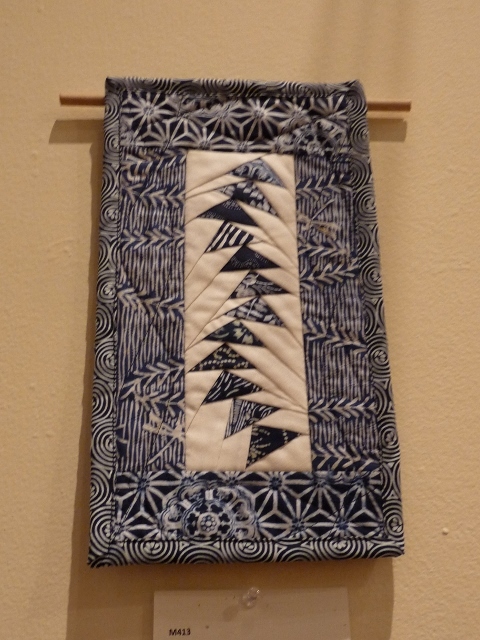 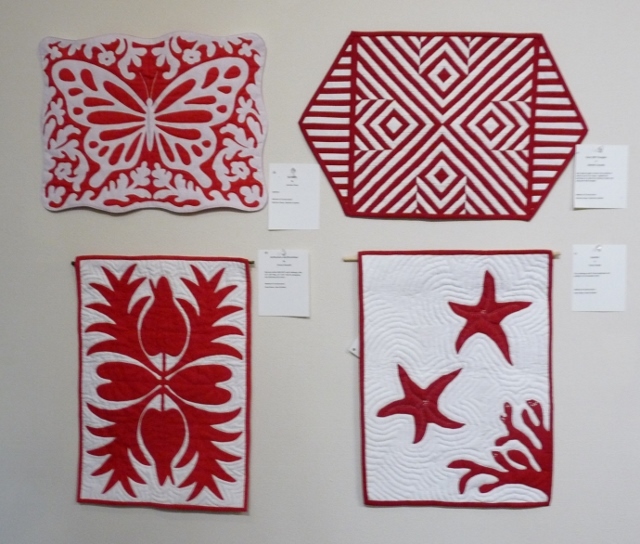 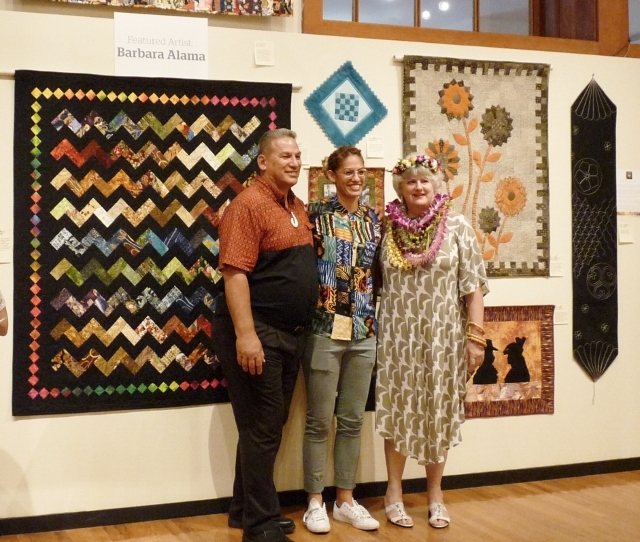 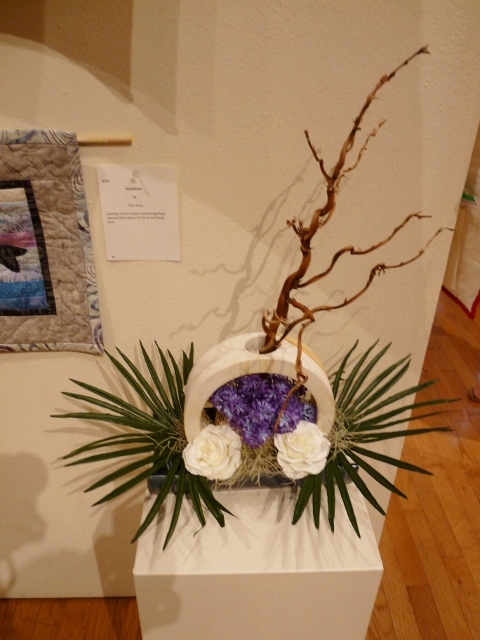 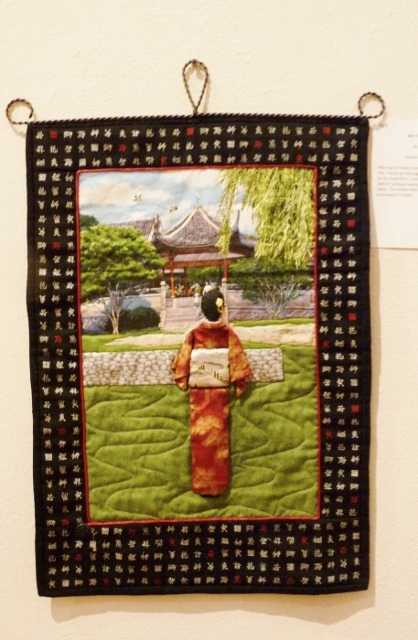 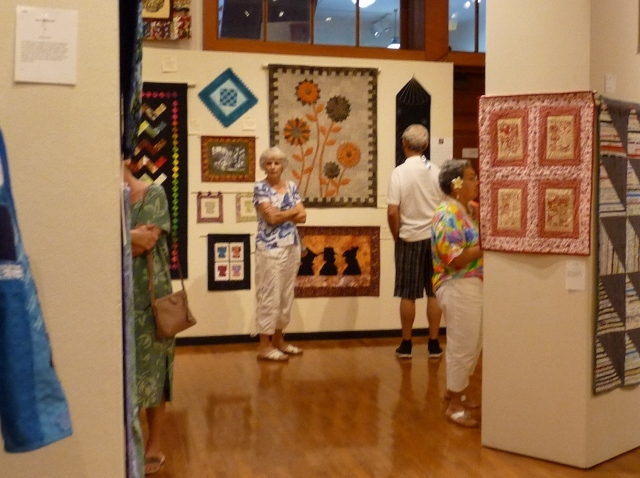 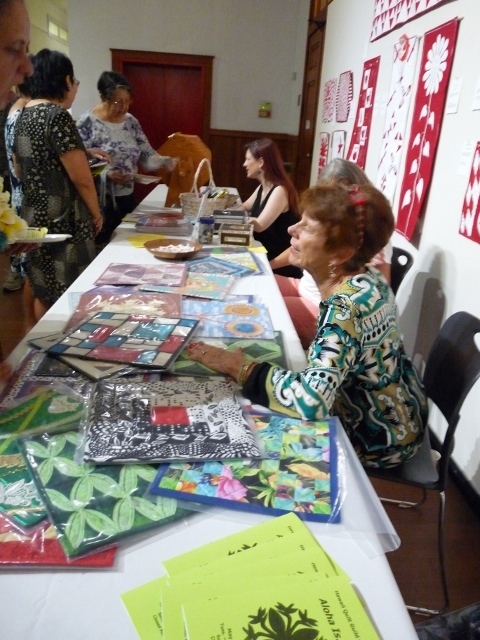 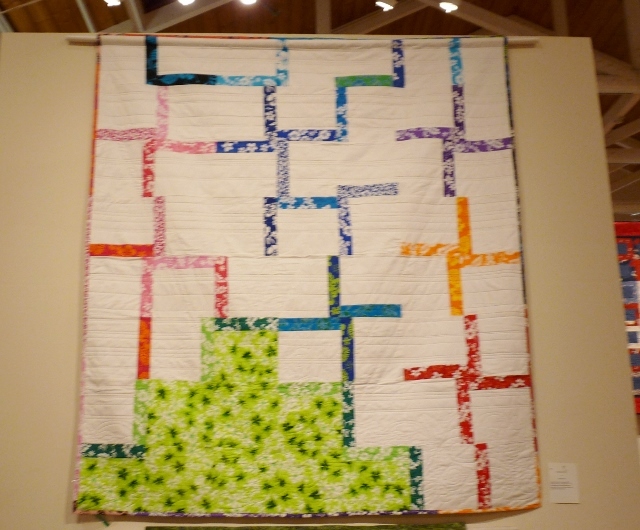 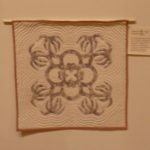 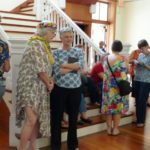 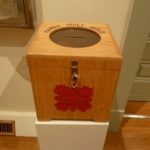 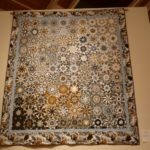 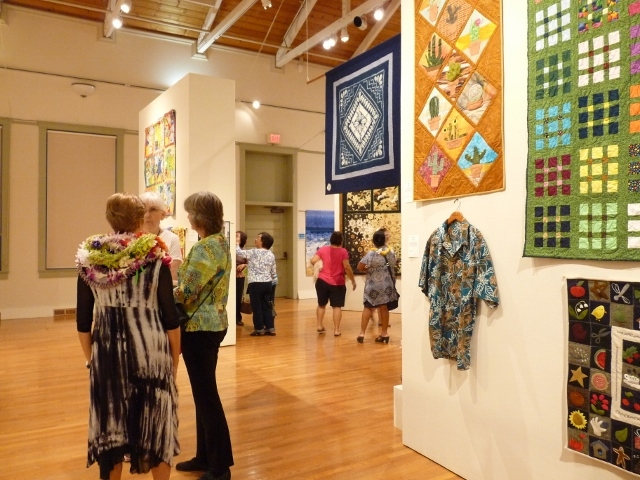 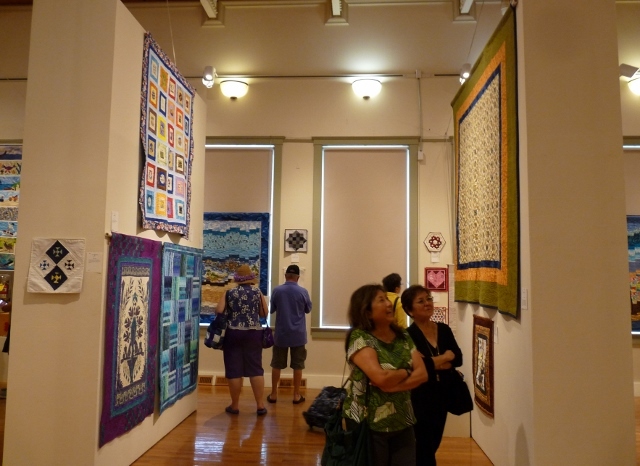 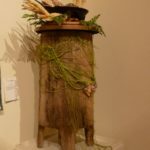 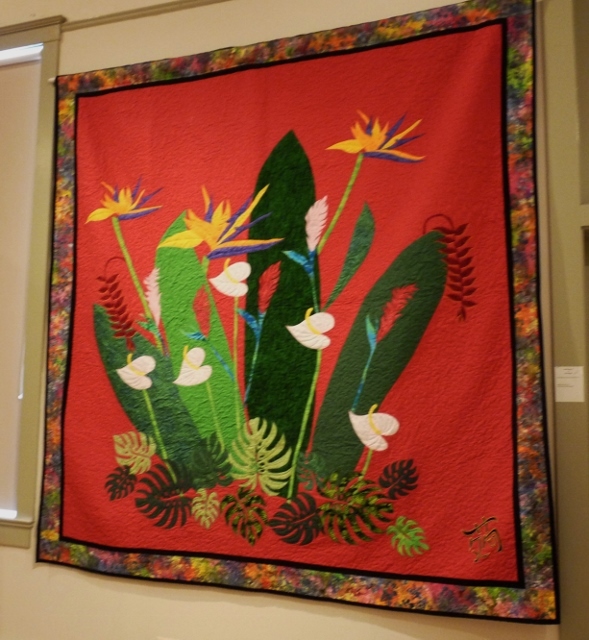 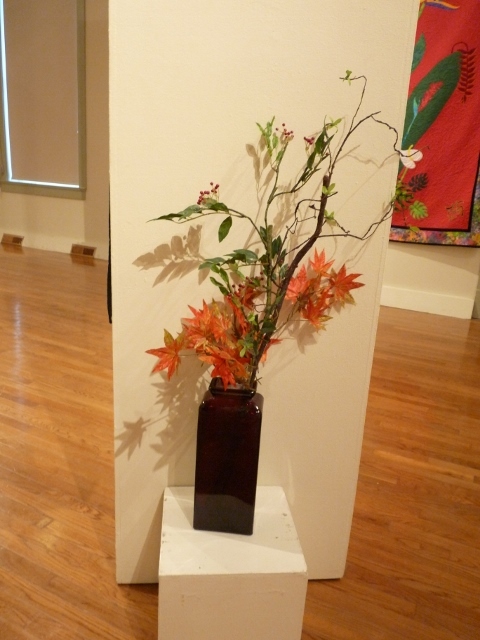 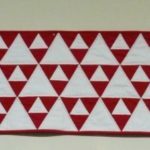 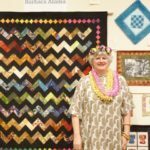 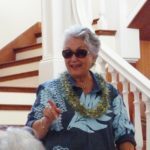 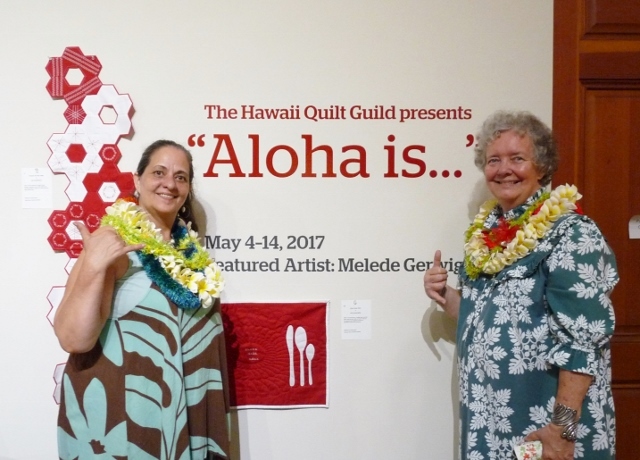 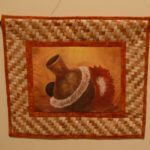 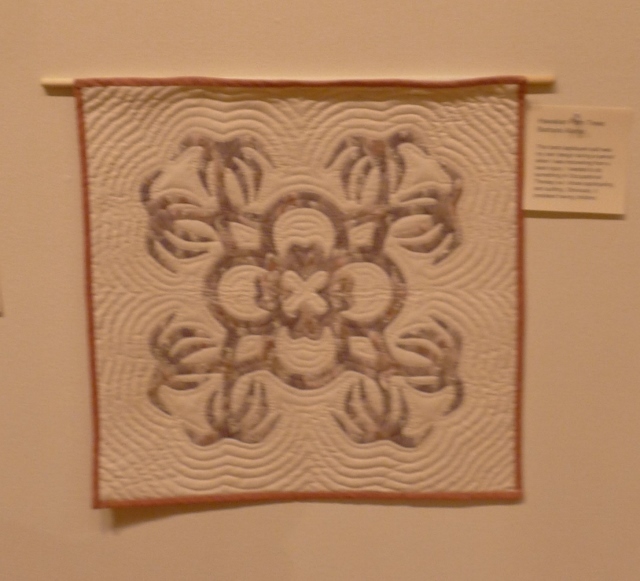 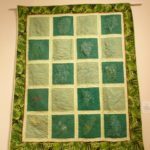 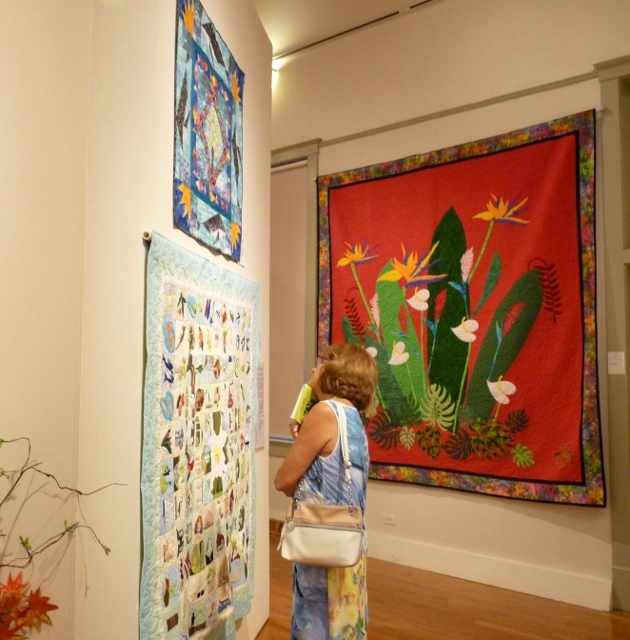 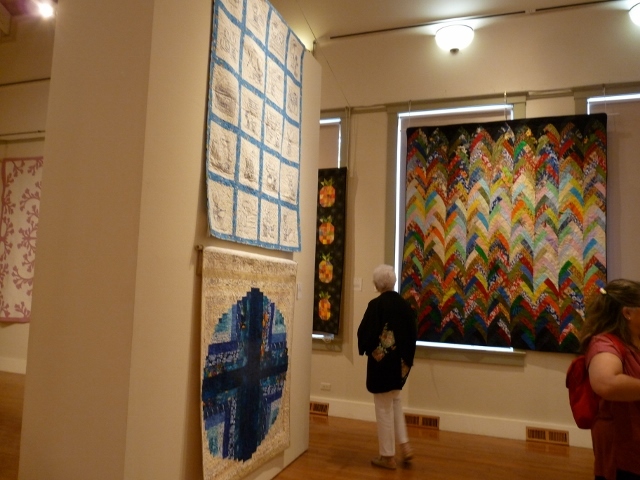 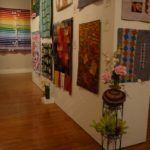 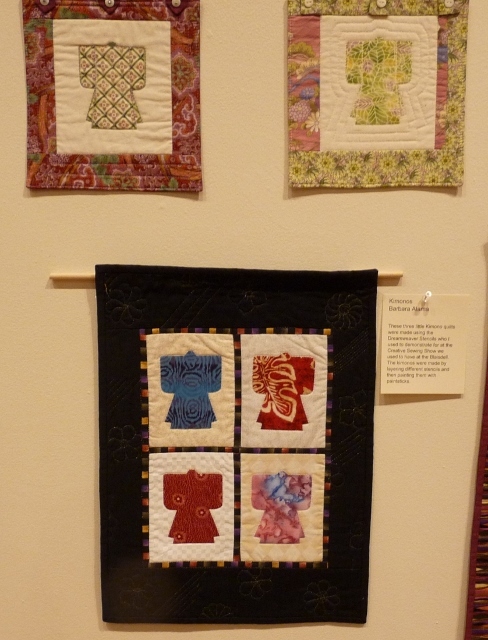 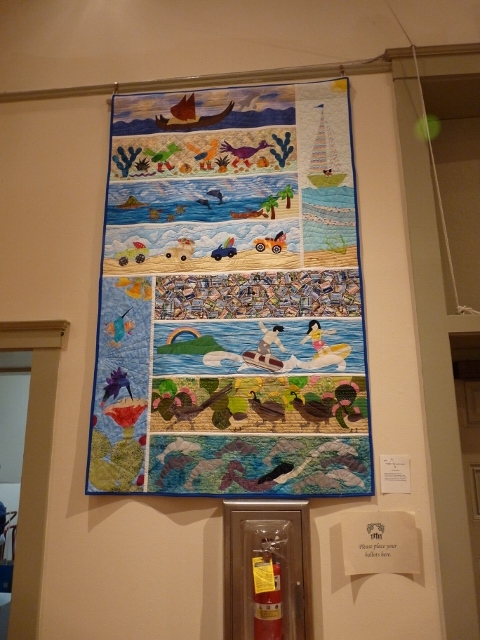 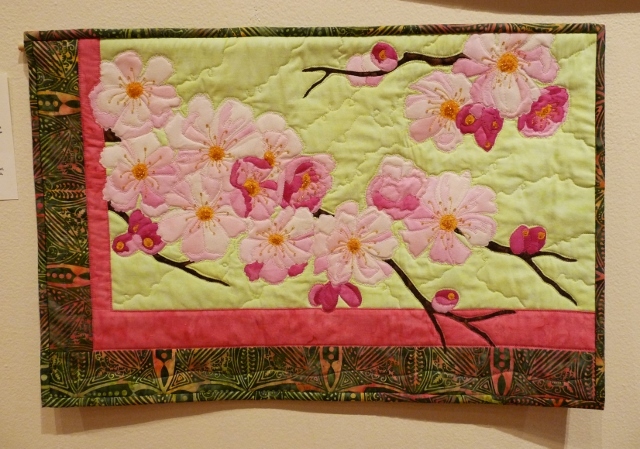 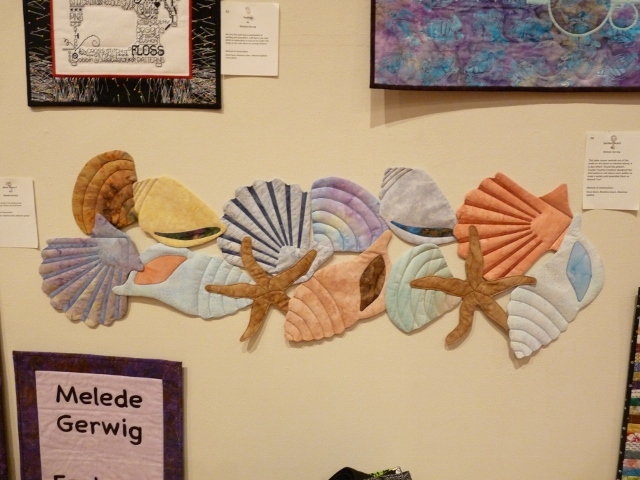 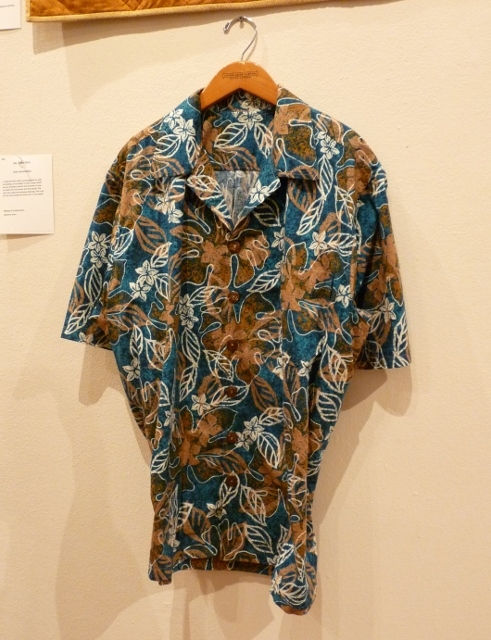 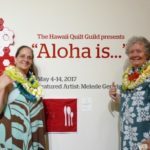 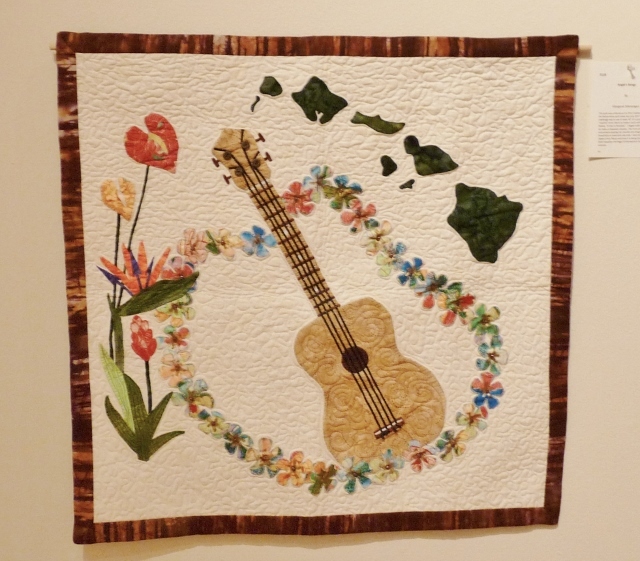 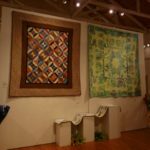 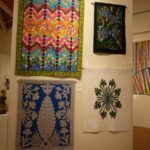 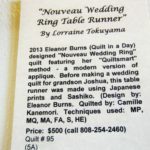 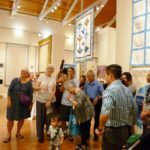 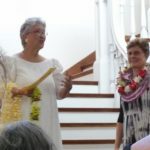 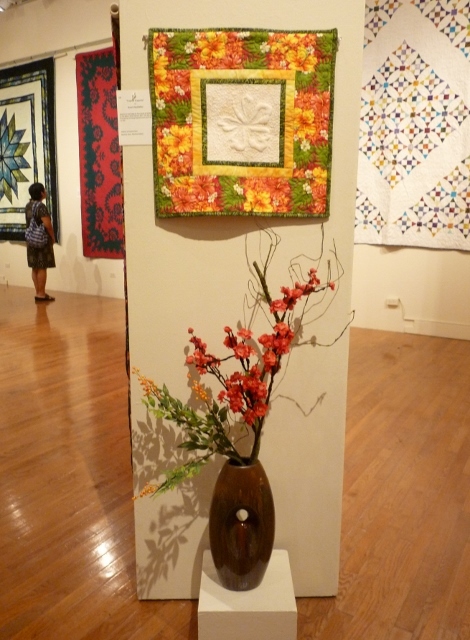 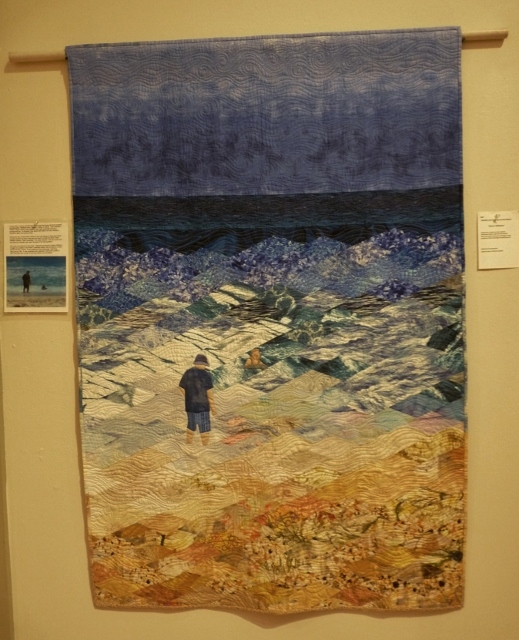 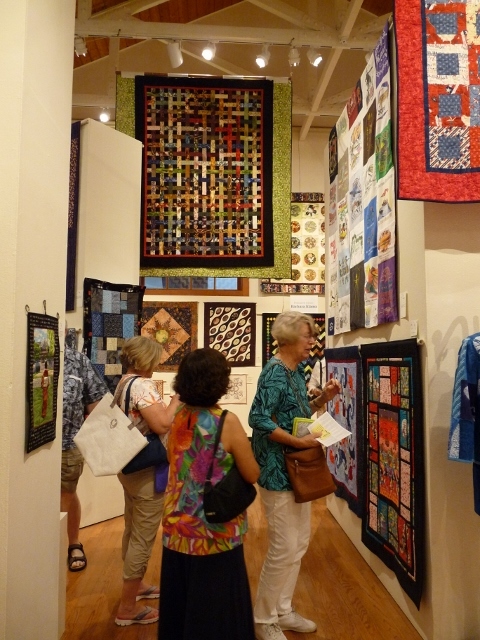 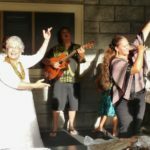 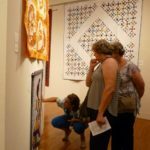 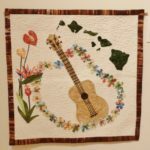 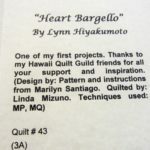 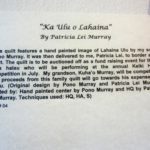 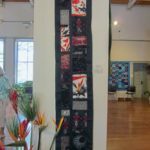 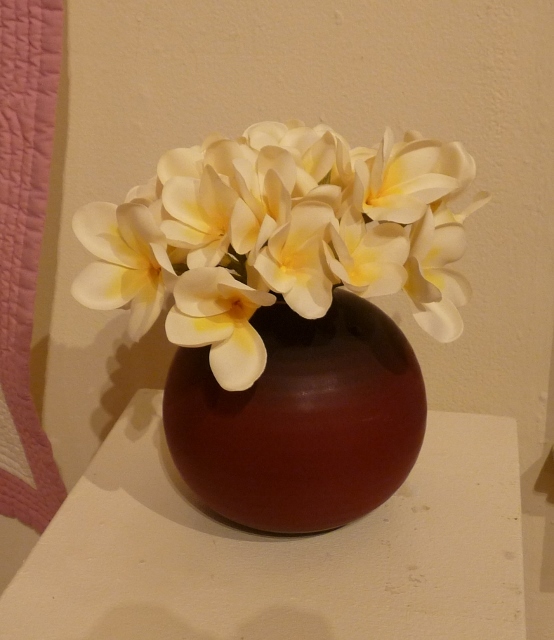 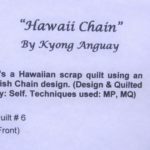 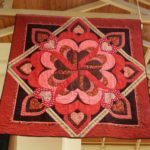 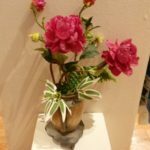 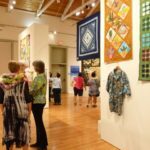 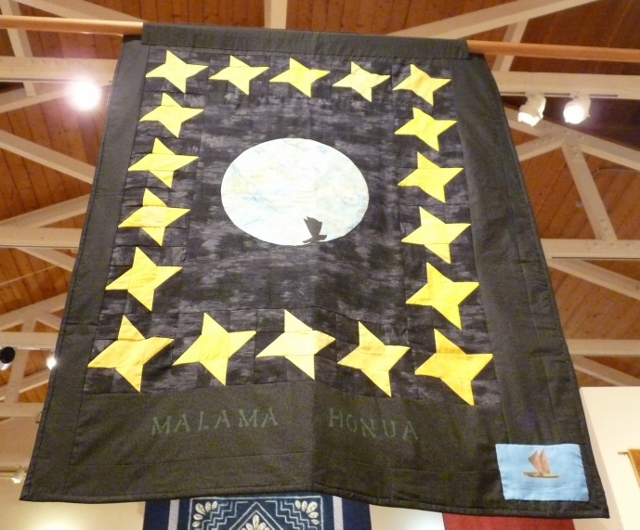 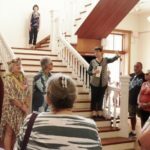 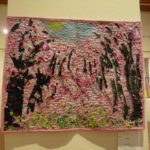 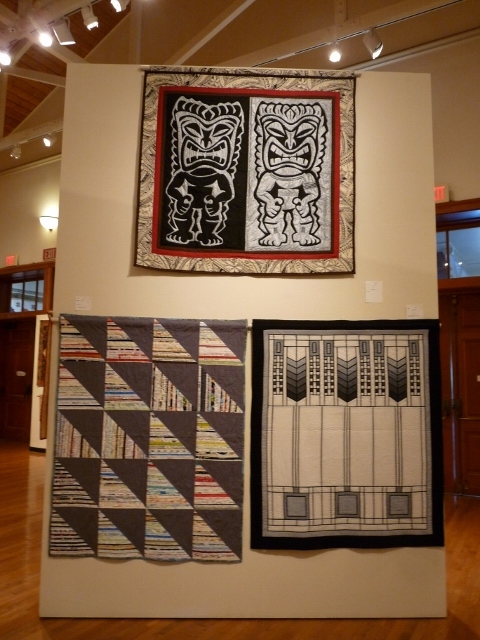 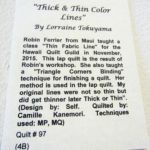 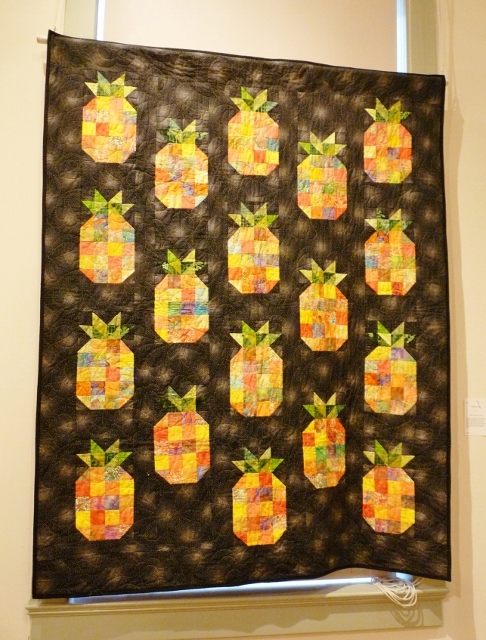 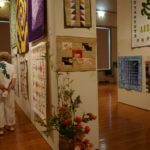 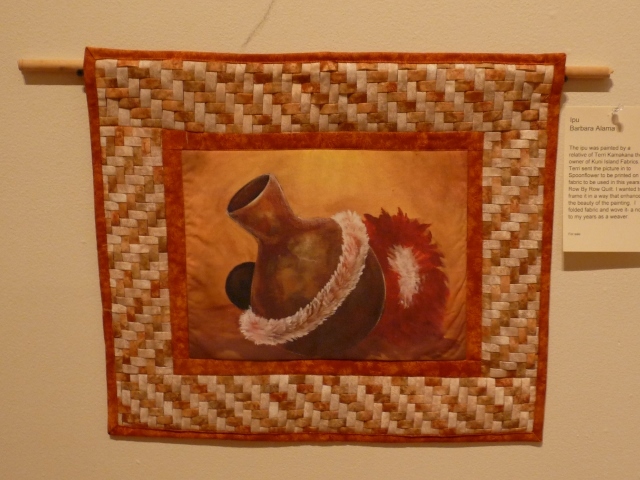 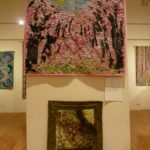 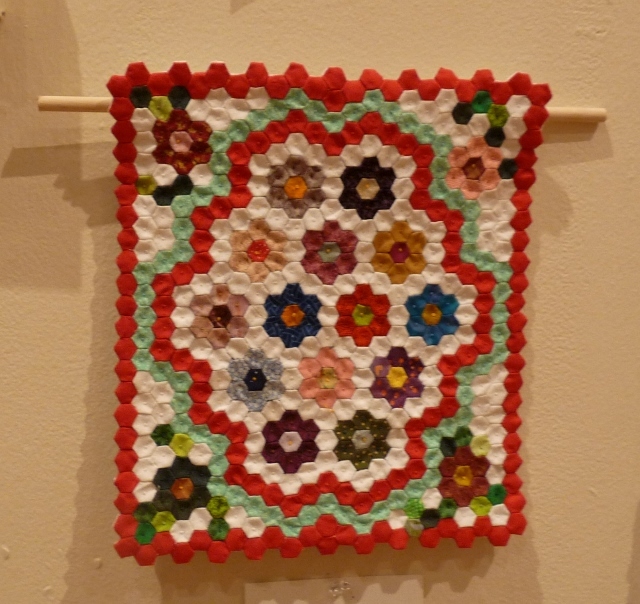 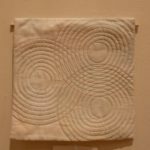 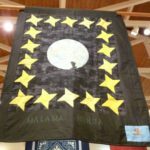 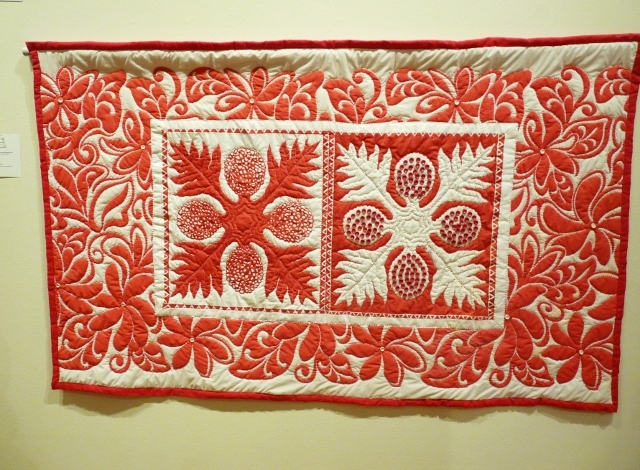 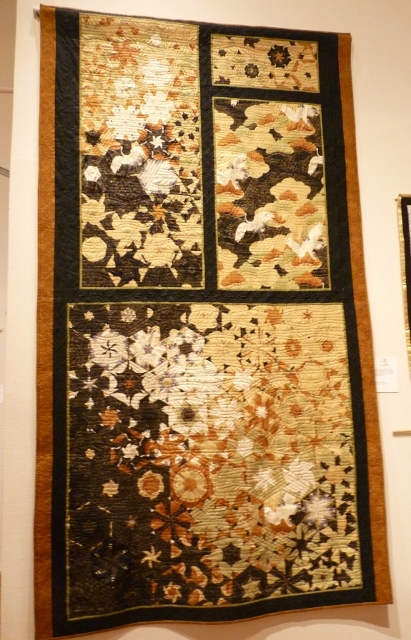 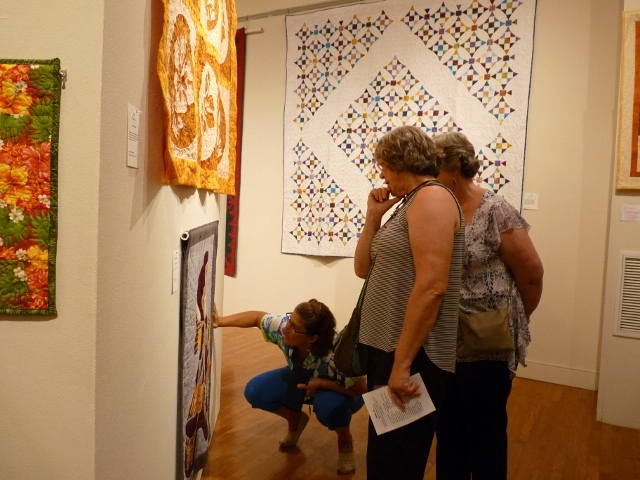 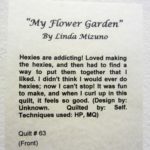 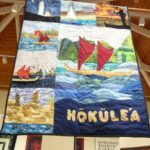 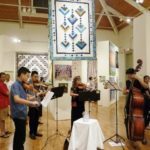 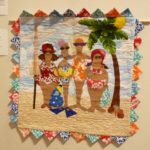 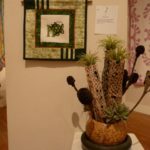 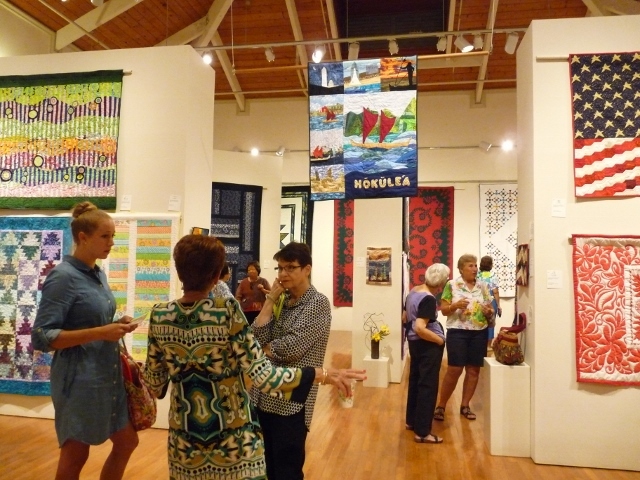 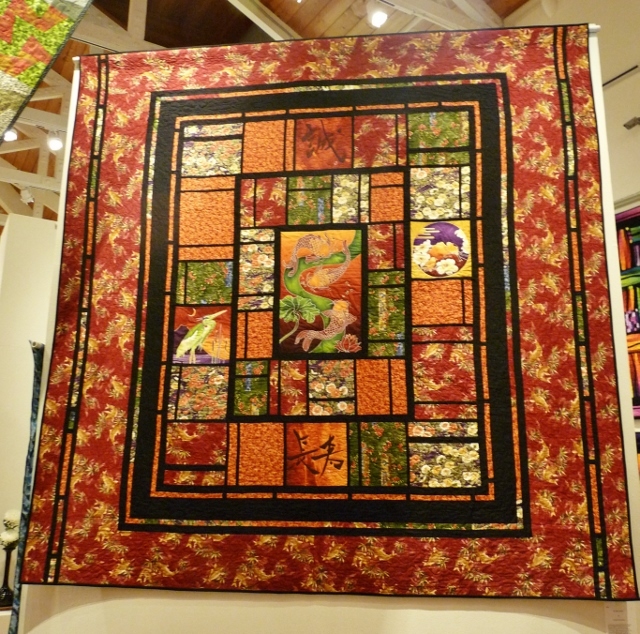 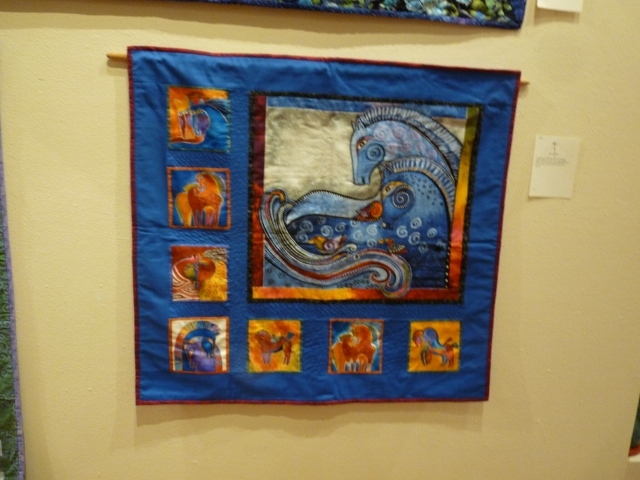 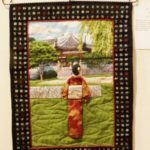 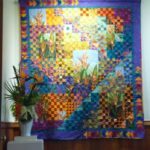 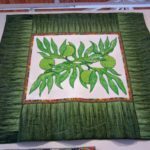 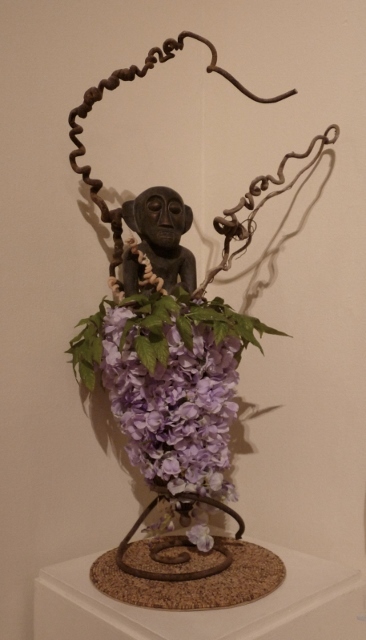 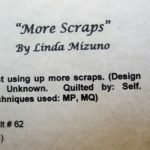 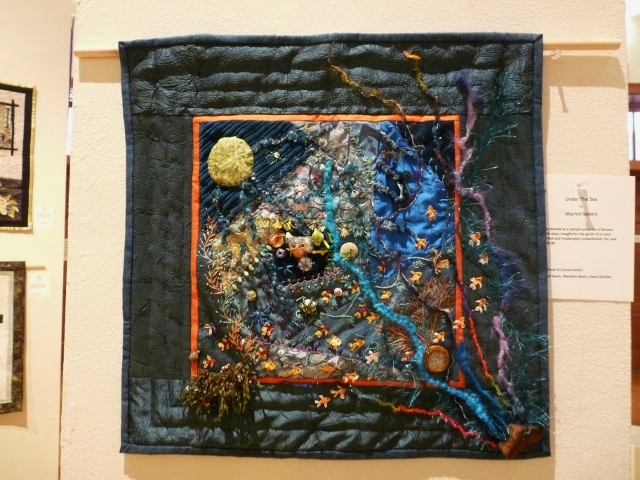 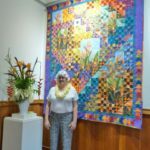 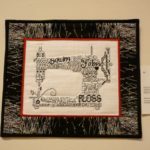 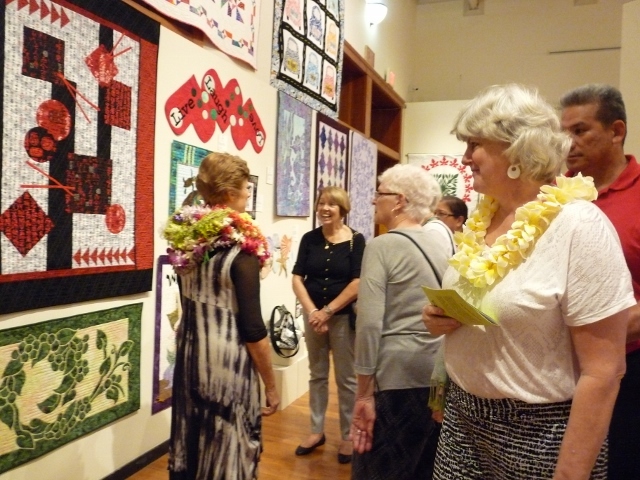 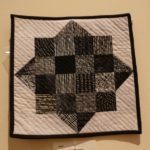 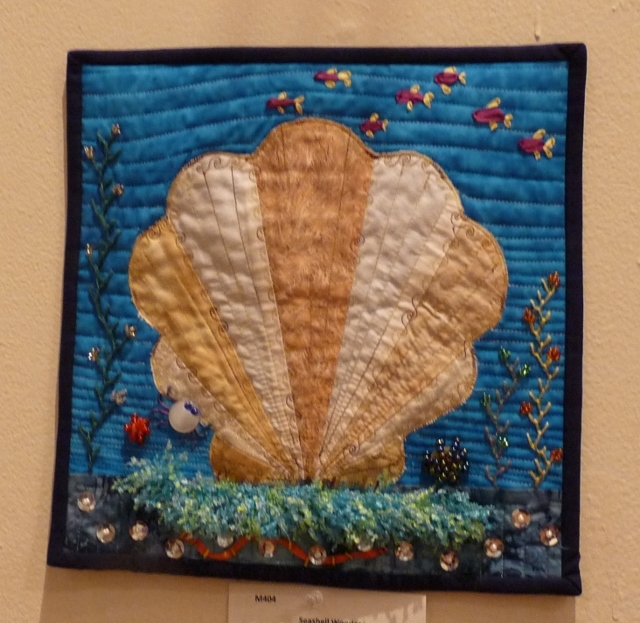 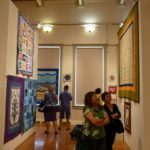 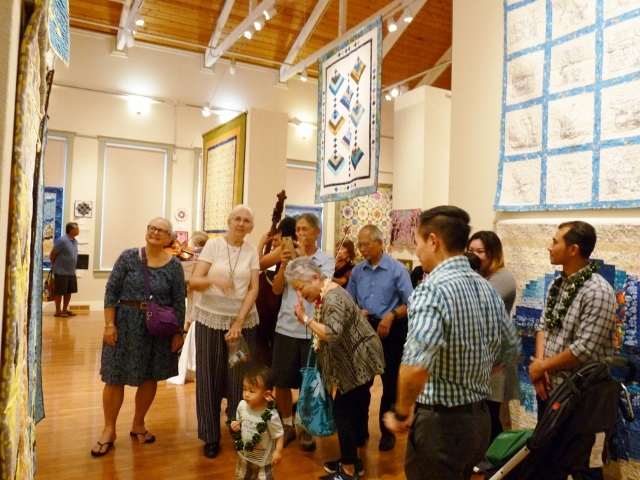 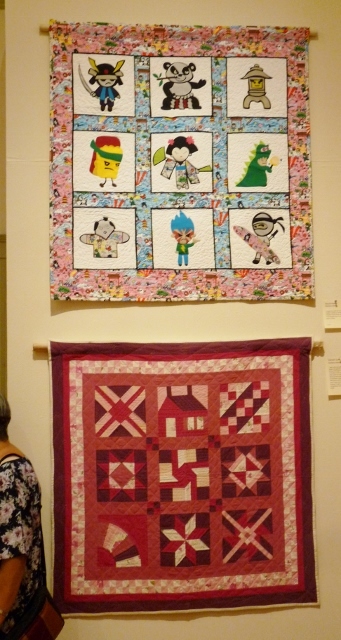 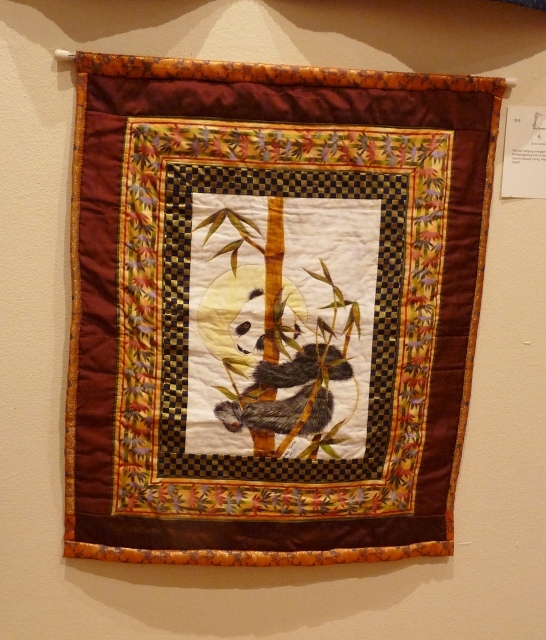 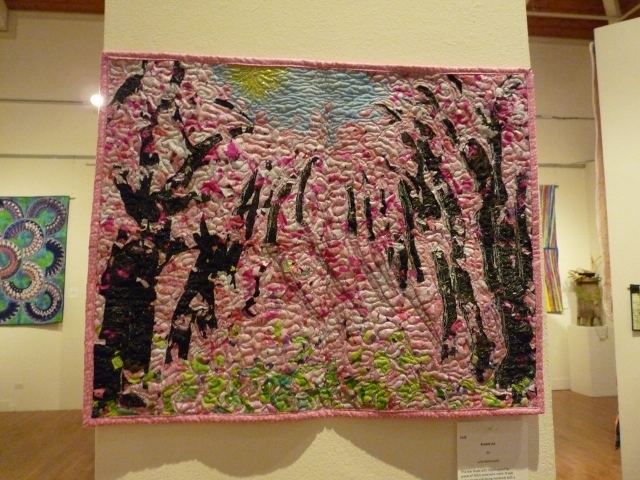 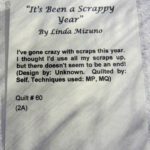 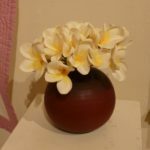 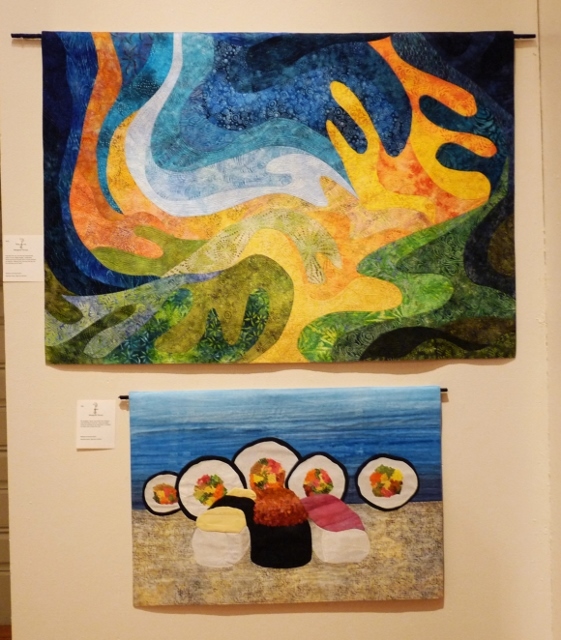 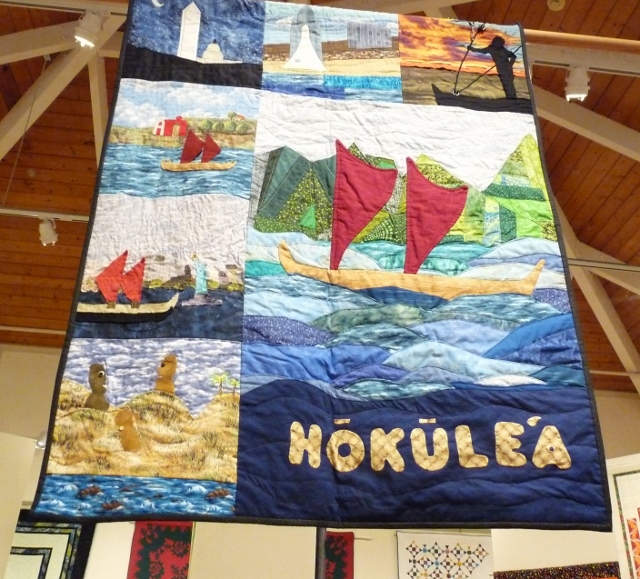 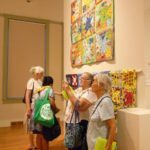 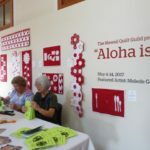 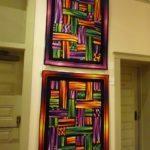 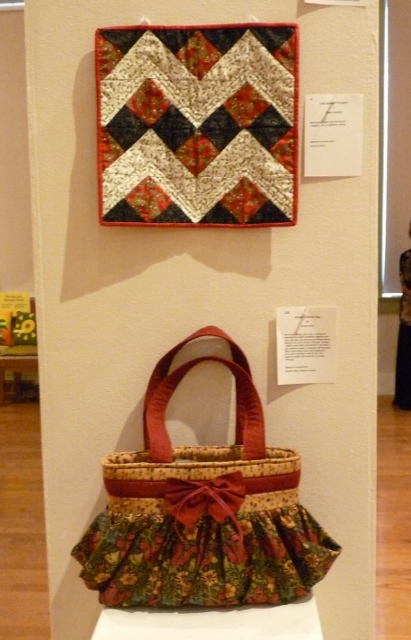 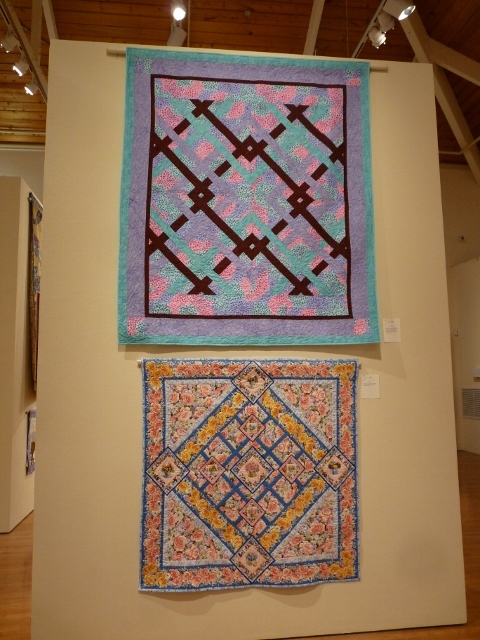 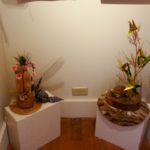 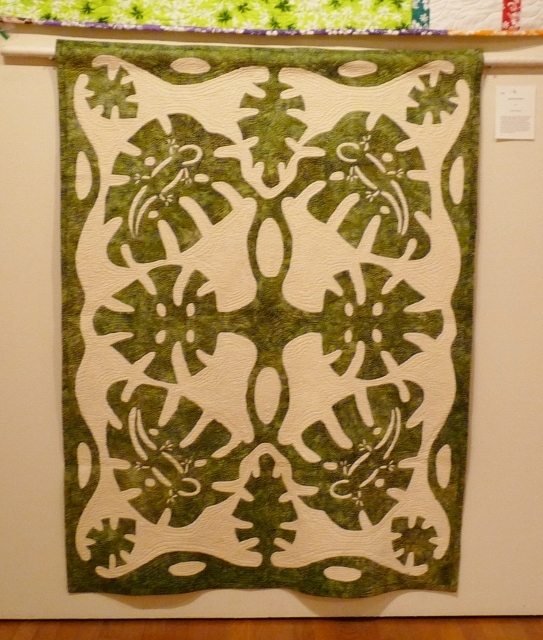 I just wanted to confirm if the Annual Hawaii Quilt Guild Show is scheduled for May 6 – 15, 2016 at the Honolulu Museum of Art? 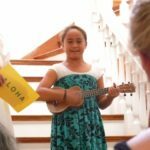 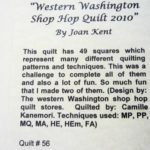 If so, I think this would be an ideal place for our group to visit. 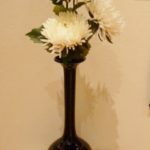 Therefore, would you kindly the confirm the date, show times, cost and any further information I should share with the group. 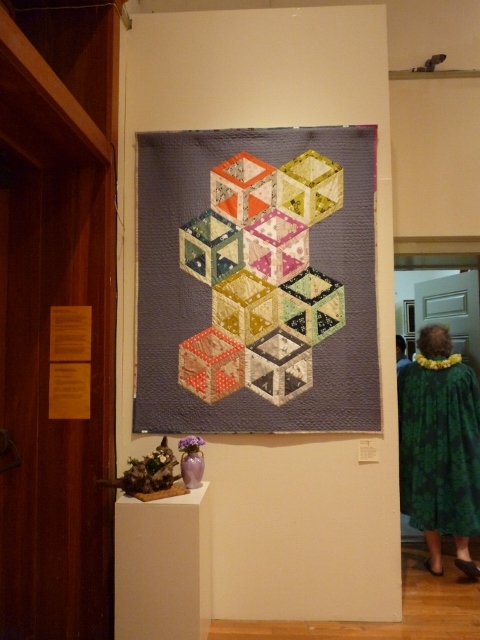 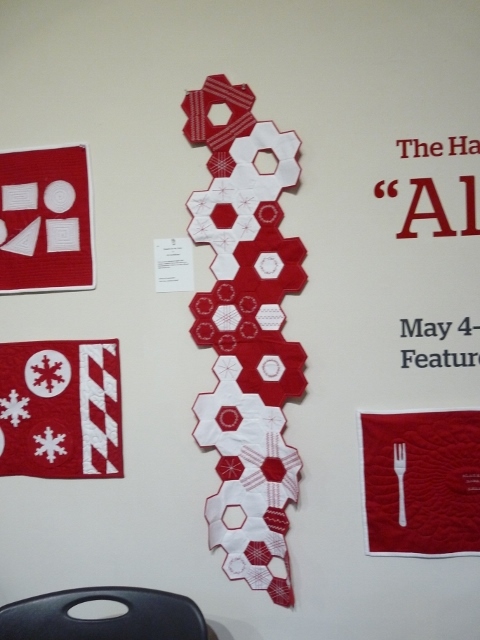 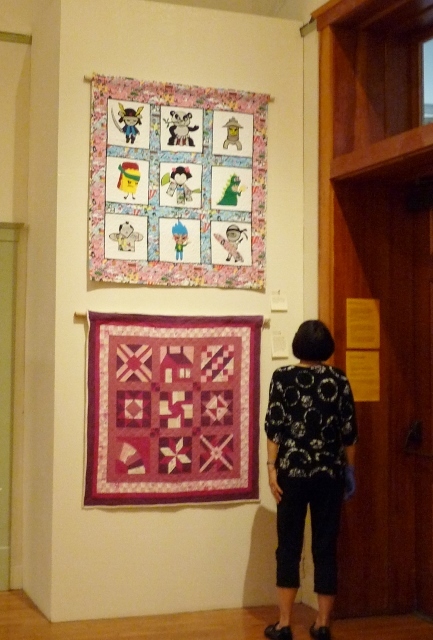 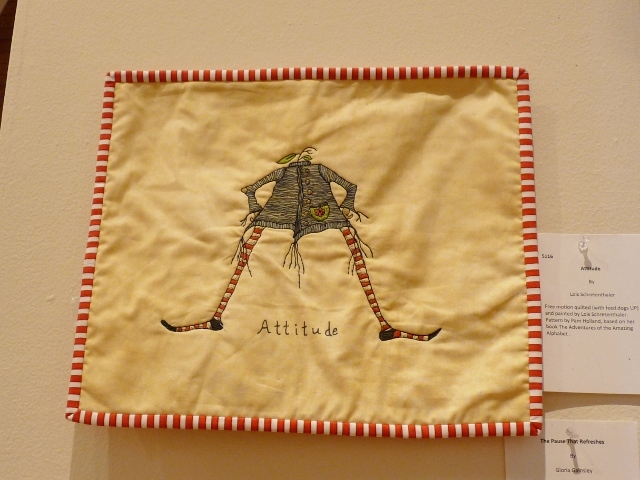 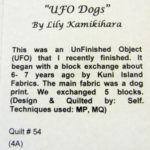 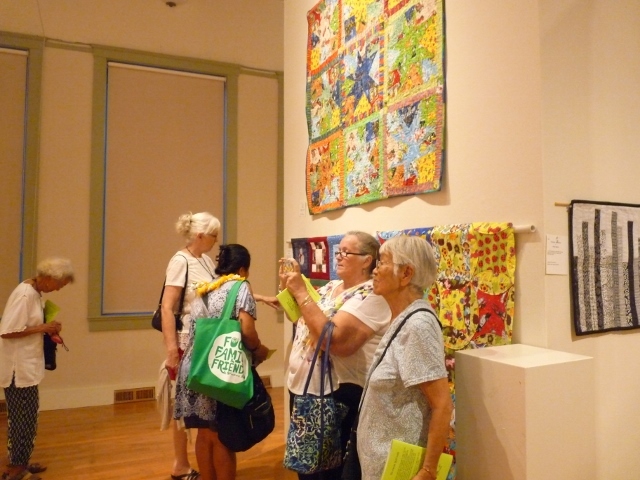 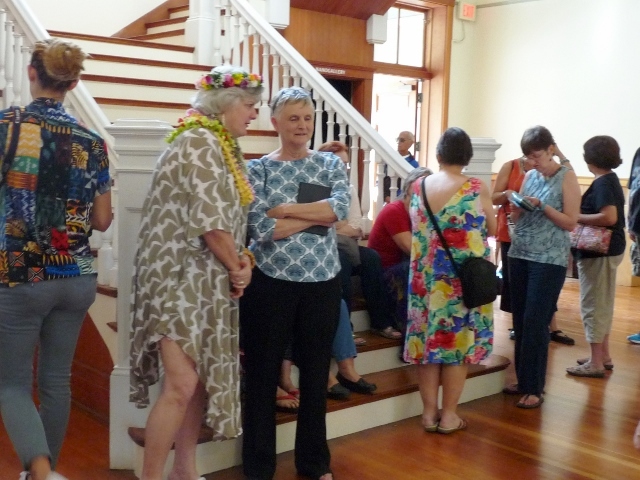 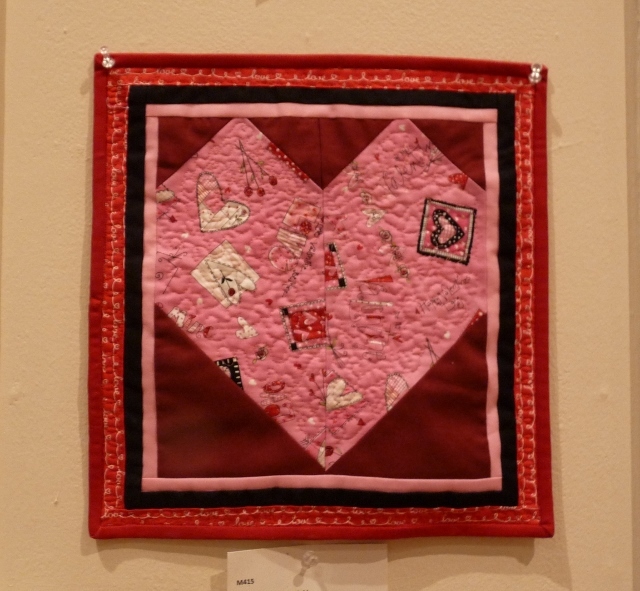 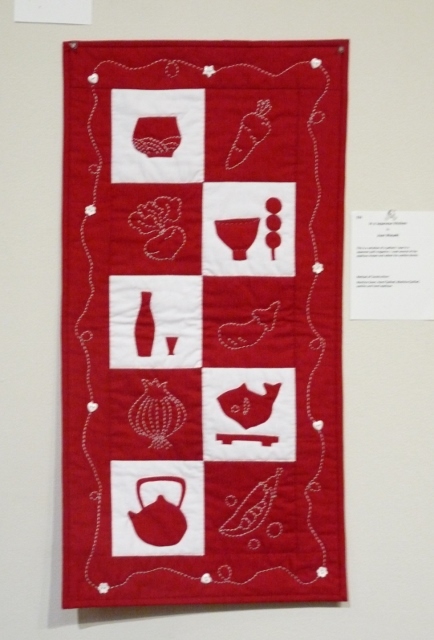 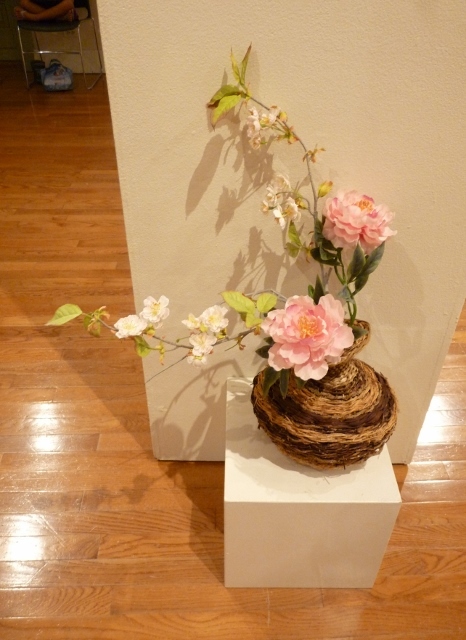 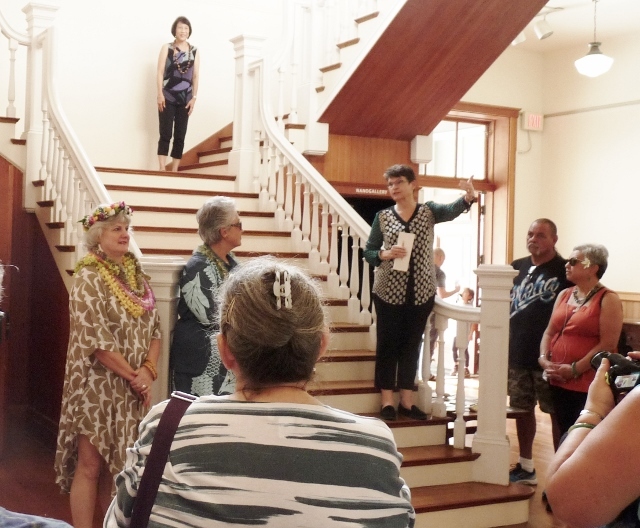 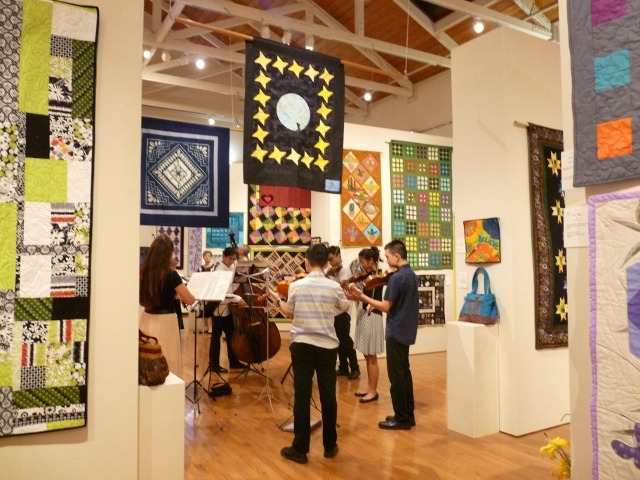 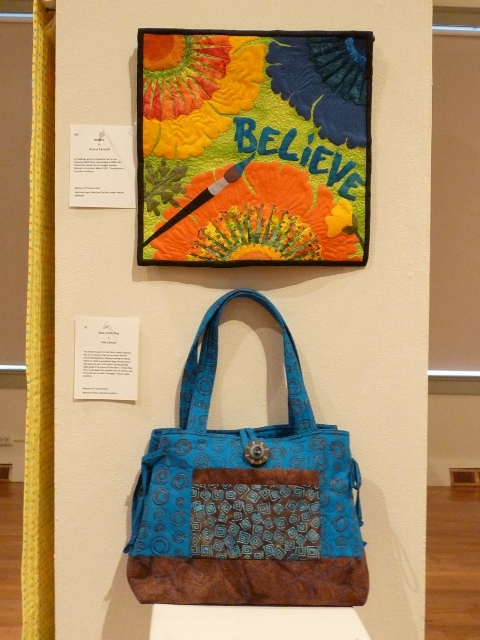 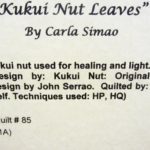 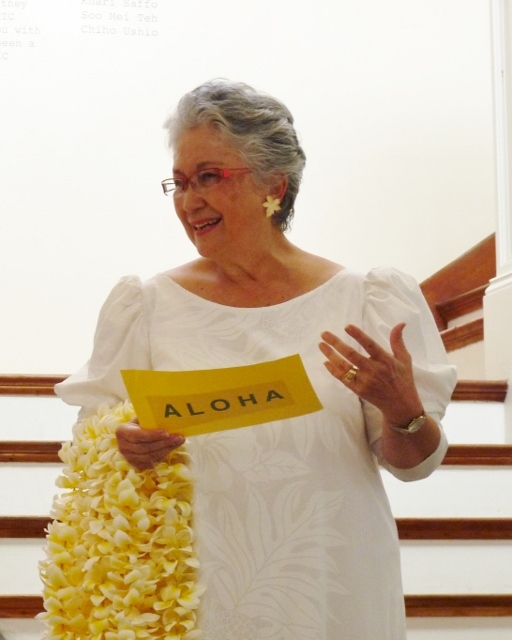 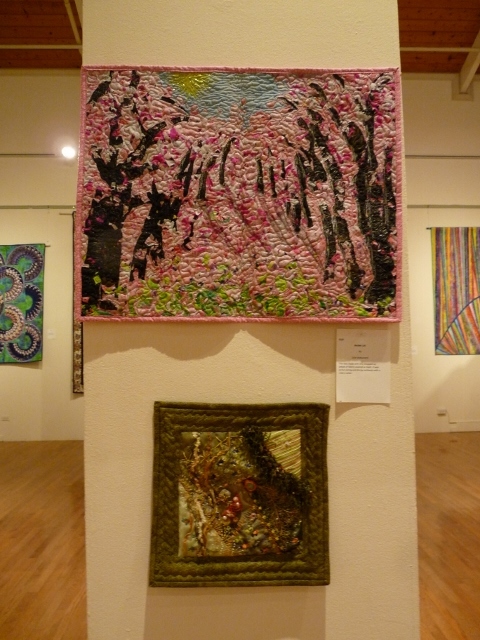 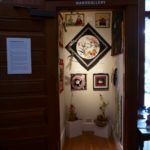 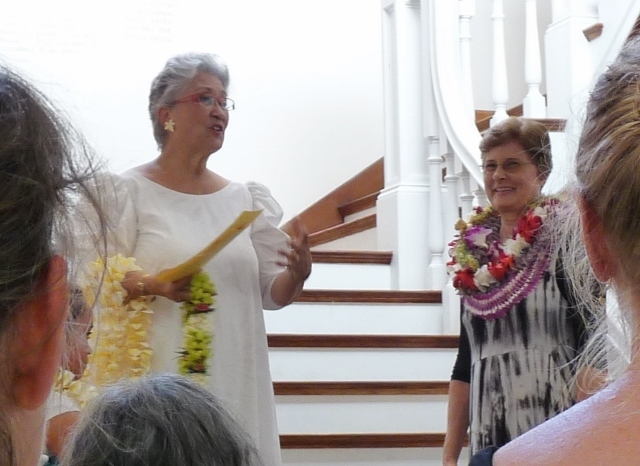 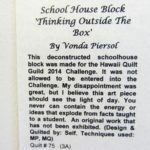 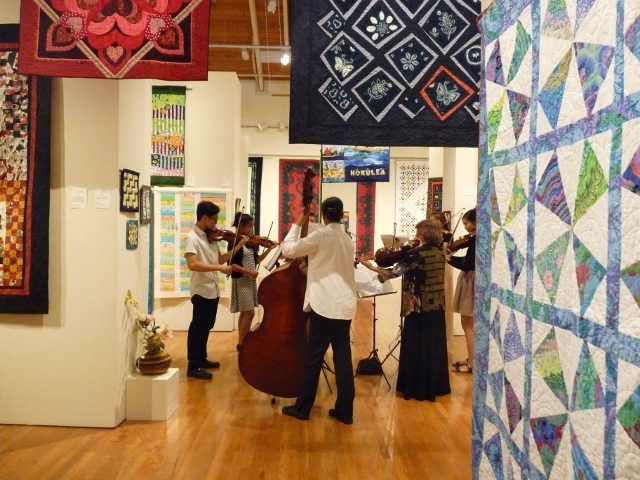 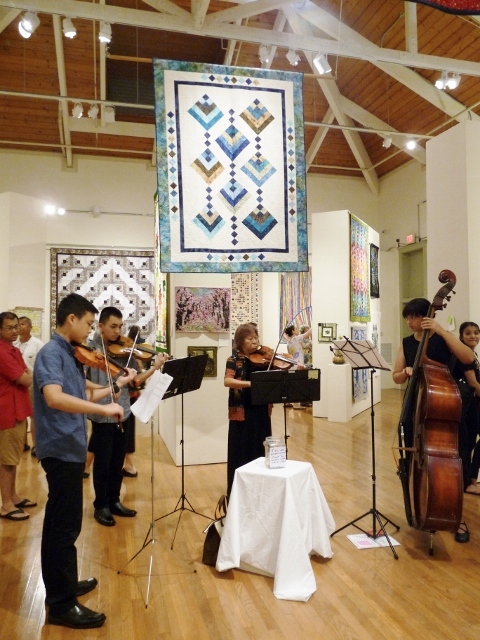 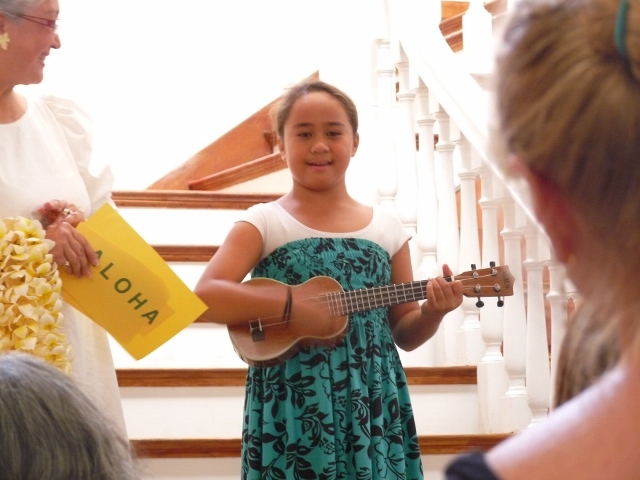 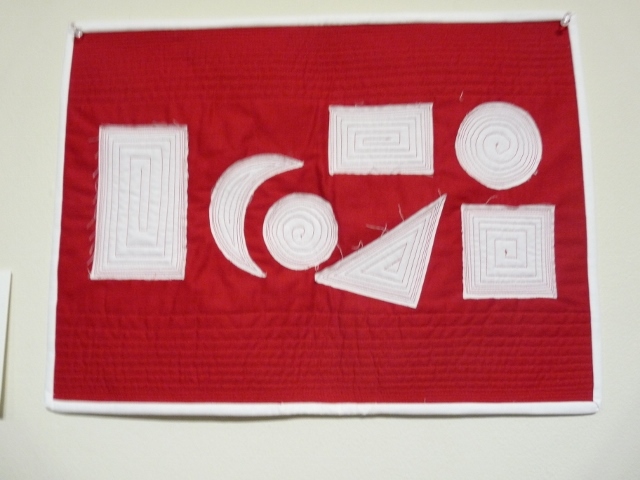 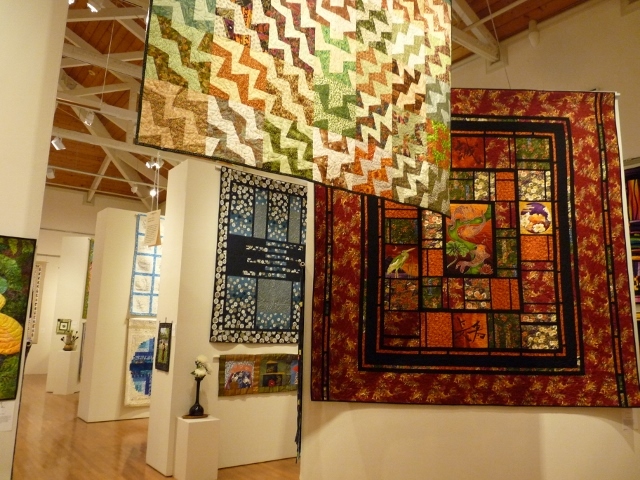 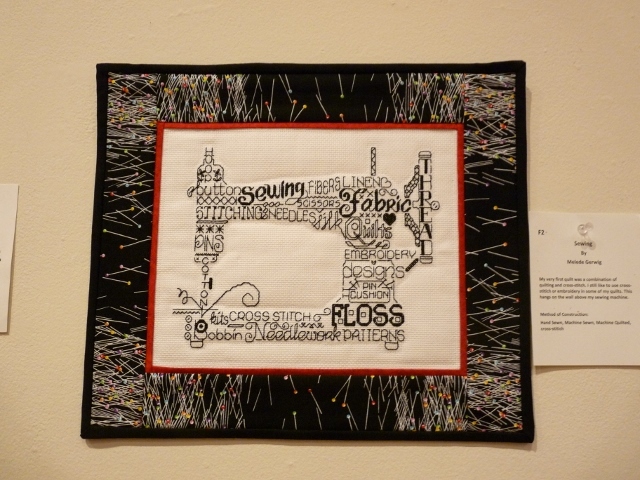 Our Quilt Exhibition will be from May 5 – 15, 2016 at the Honolulu Museum of Art School (note, this is the Art School). 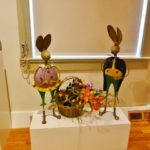 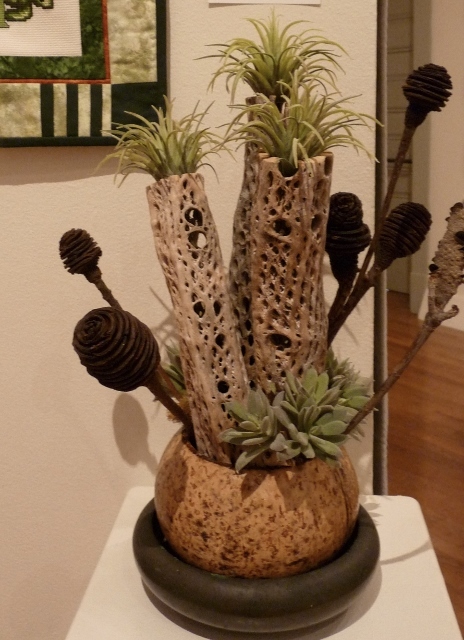 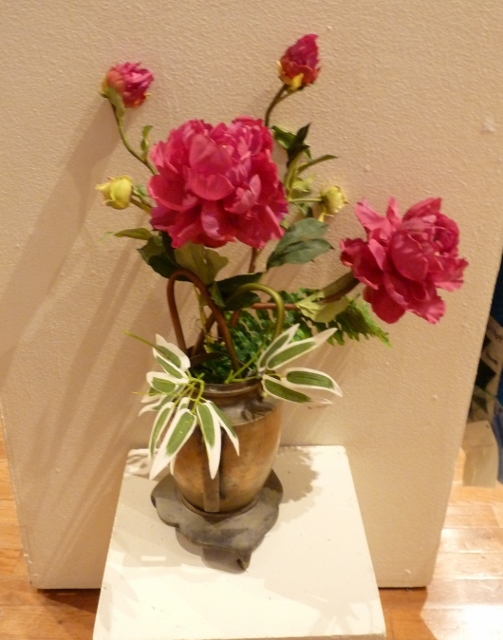 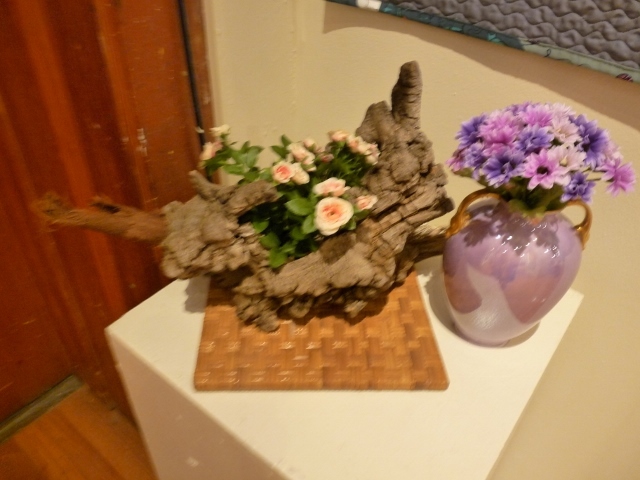 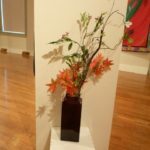 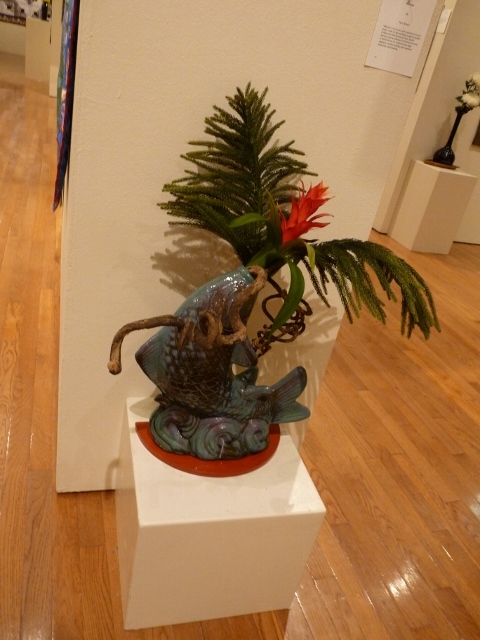 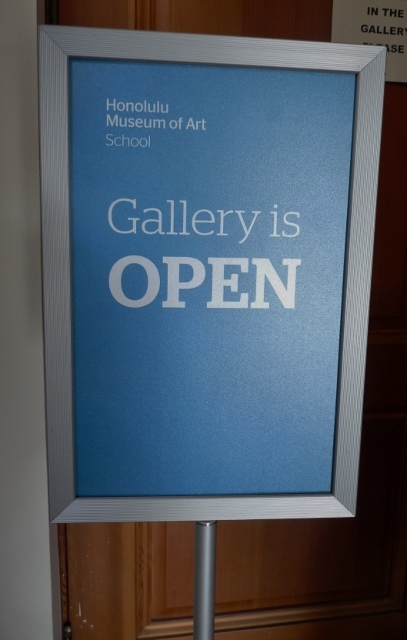 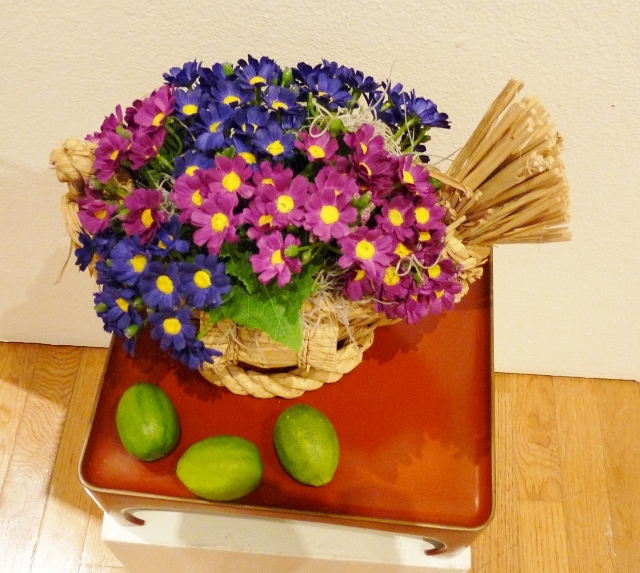 The Art School is open everyday except for Mon and admission is free. 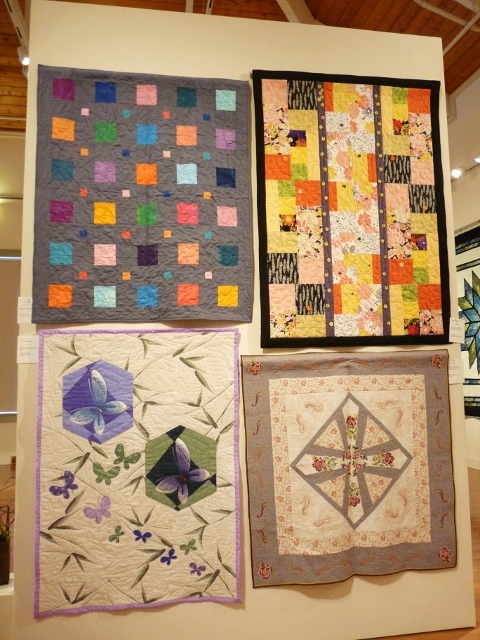 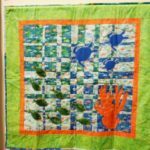 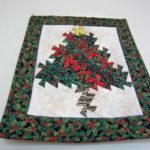 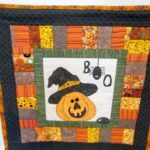 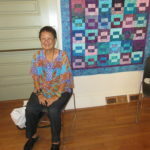 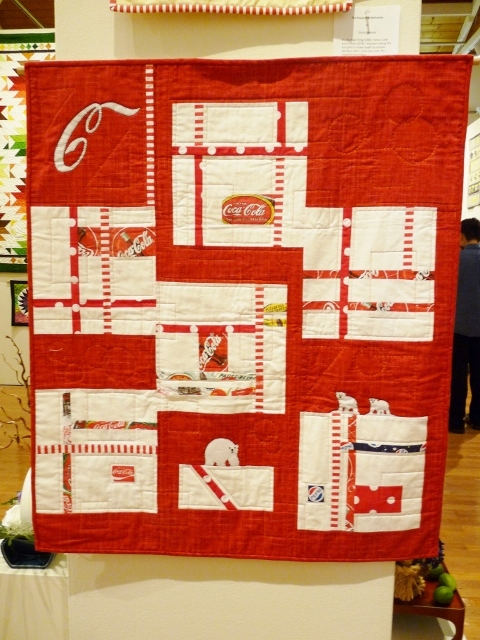 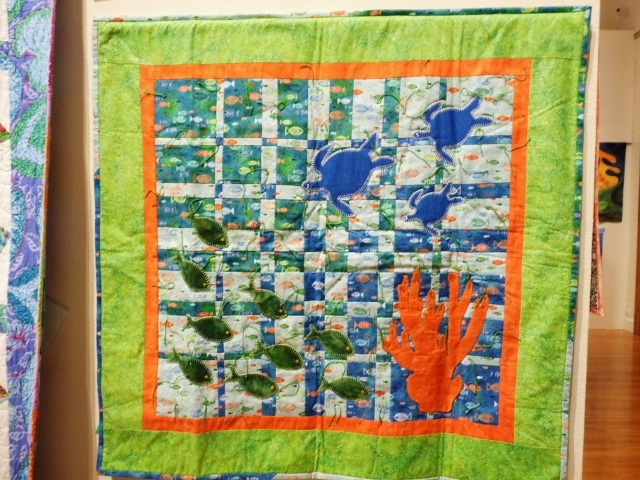 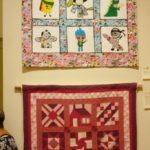 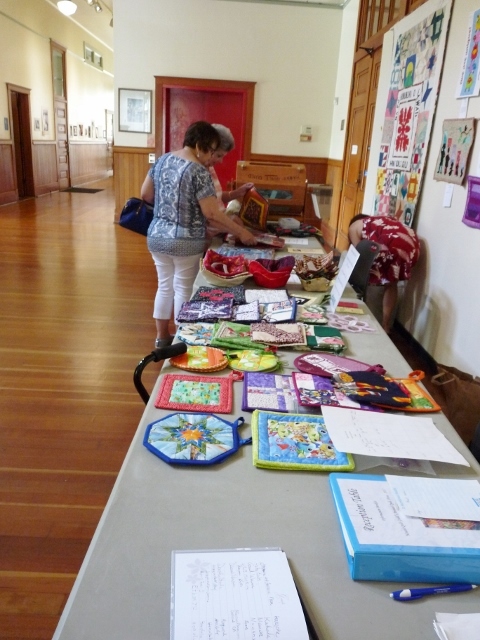 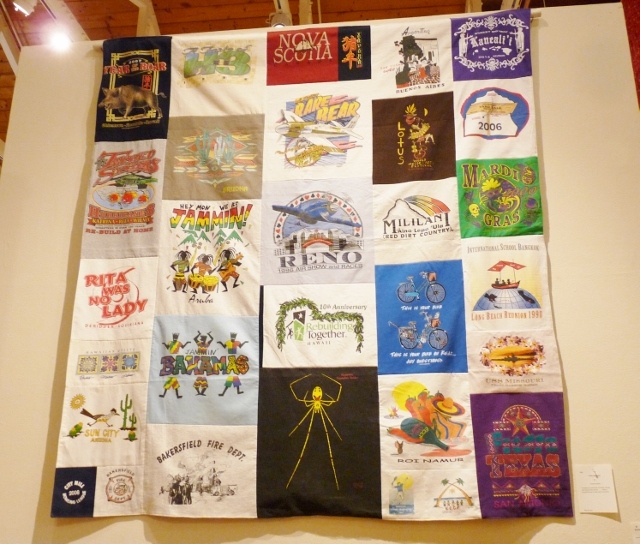 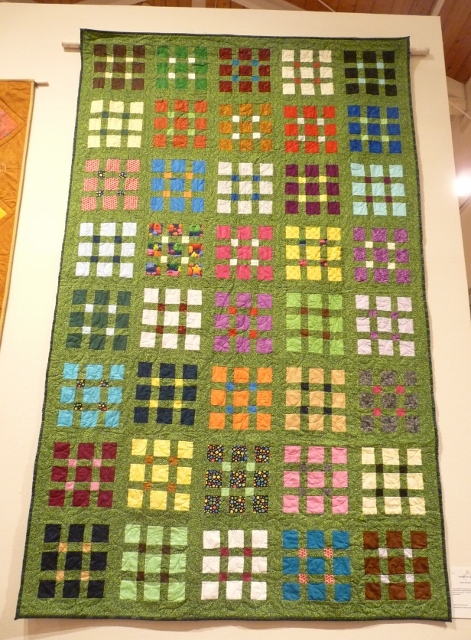 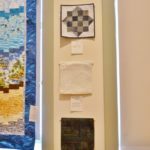 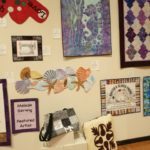 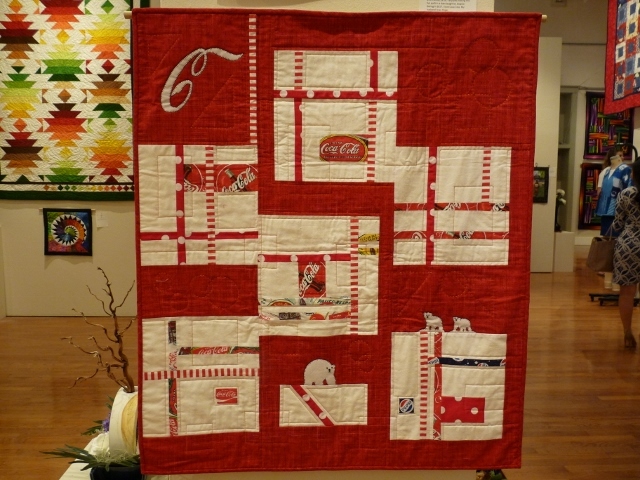 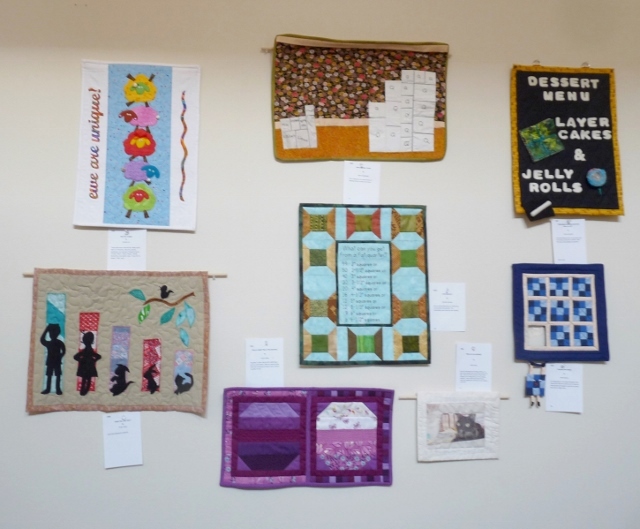 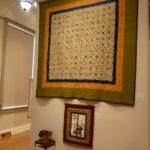 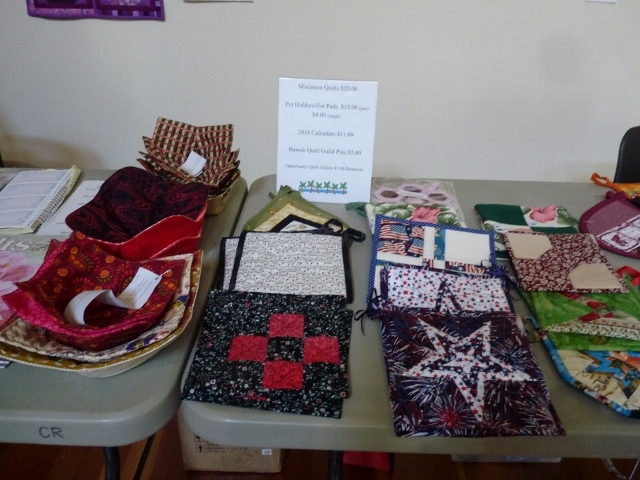 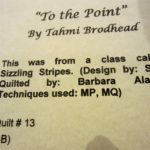 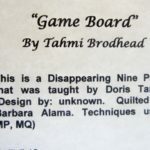 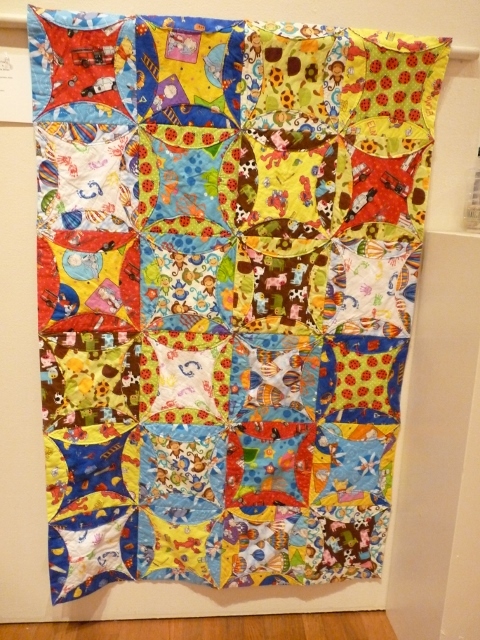 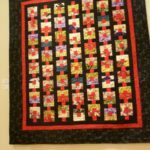 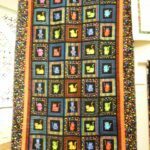 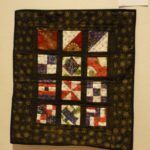 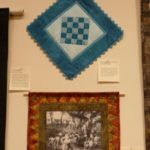 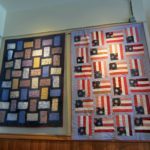 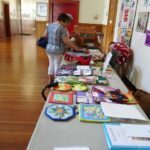 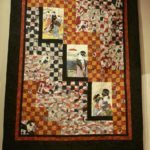 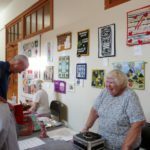 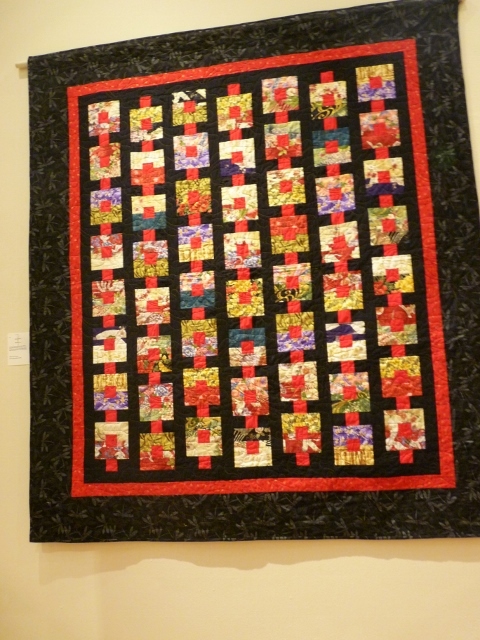 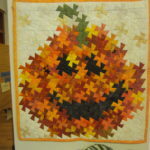 We will have over 100 quilts displayed. 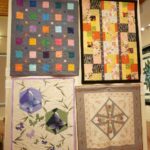 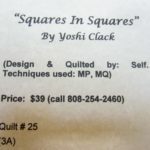 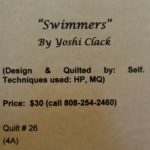 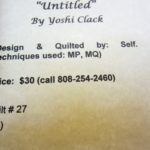 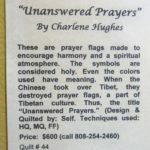 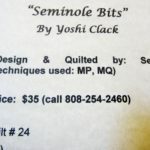 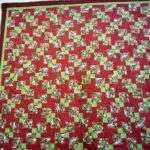 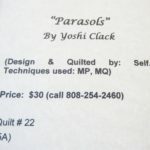 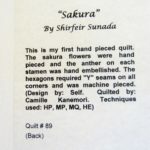 Please come and see our quilts. 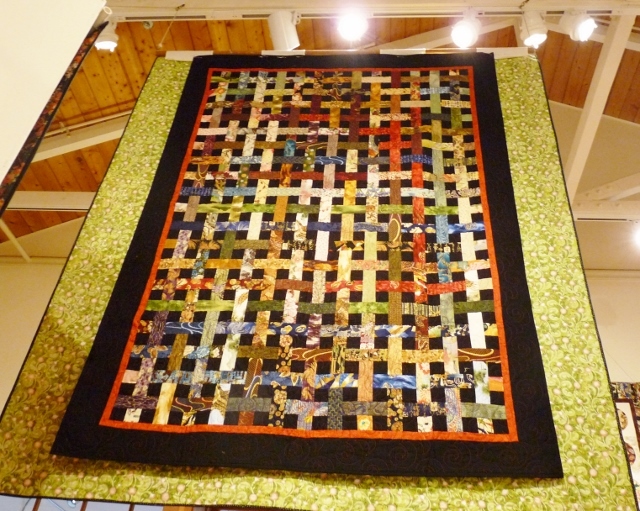 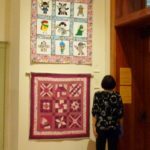 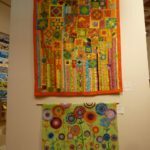 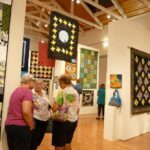 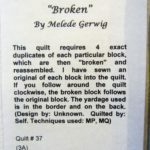 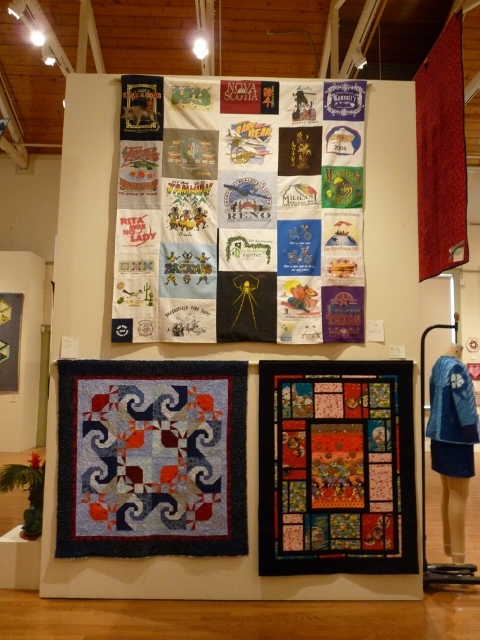 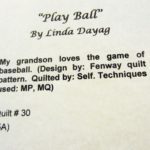 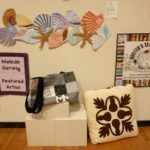 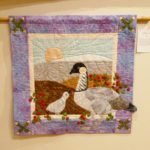 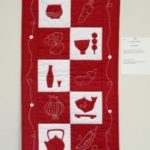 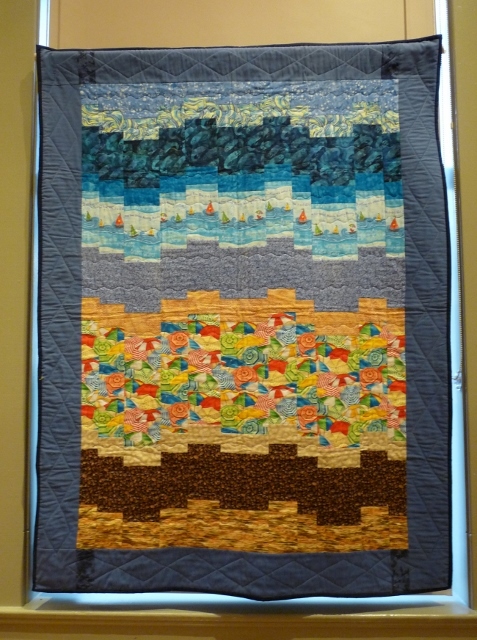 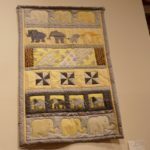 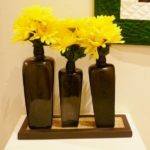 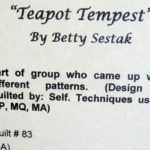 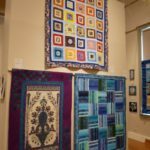 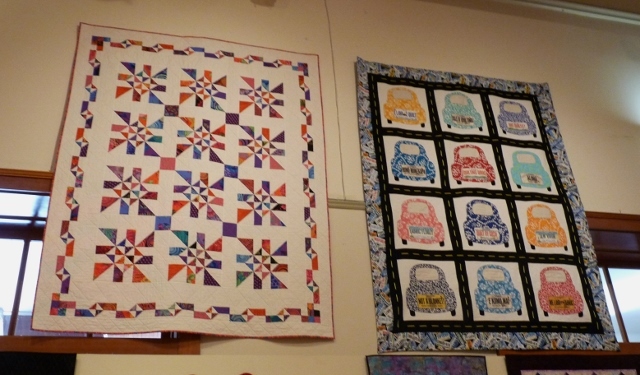 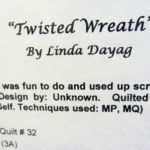 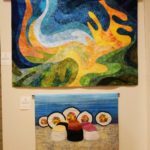 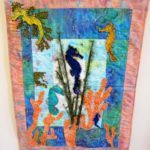 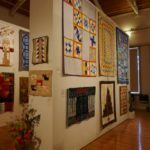 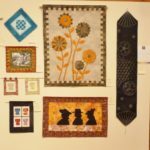 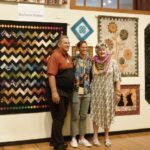 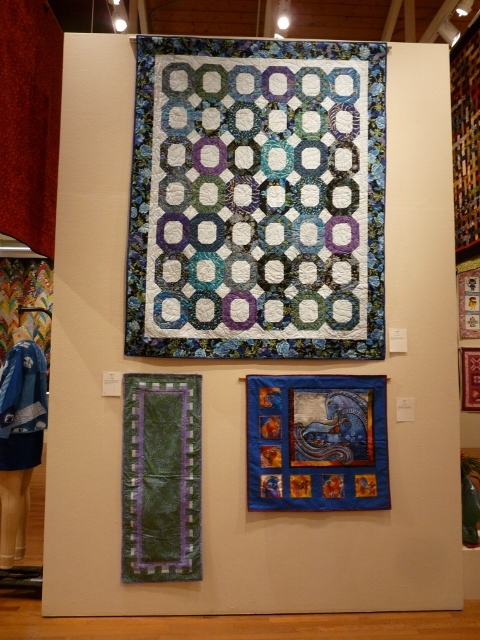 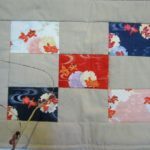 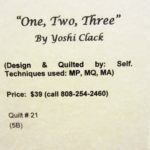 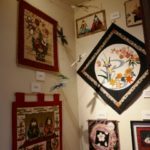 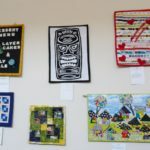 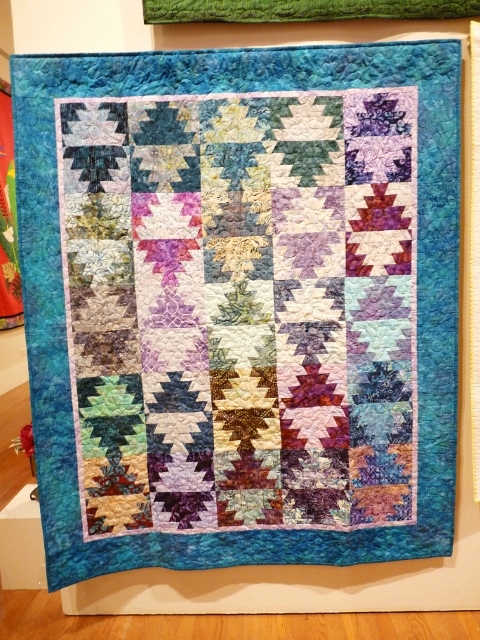 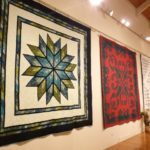 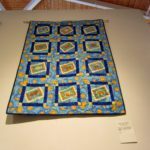 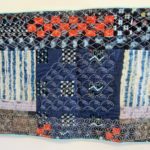 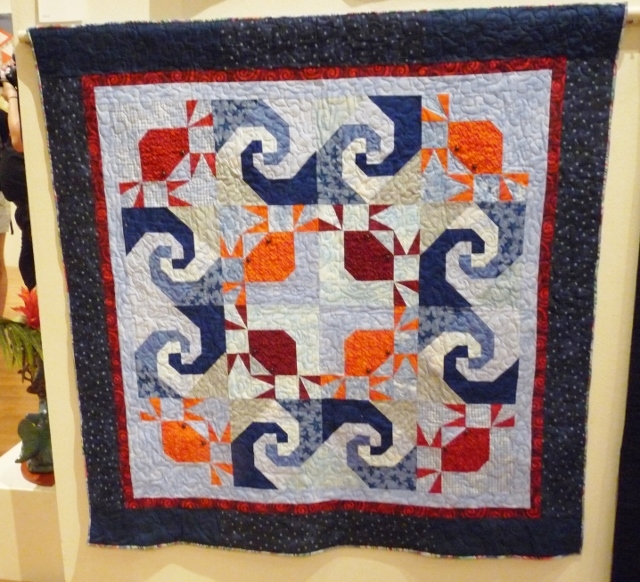 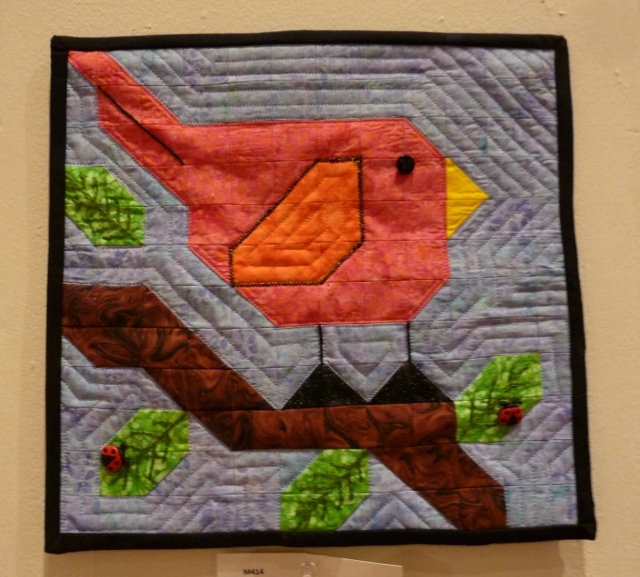 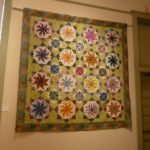 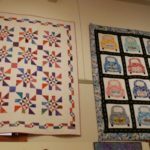 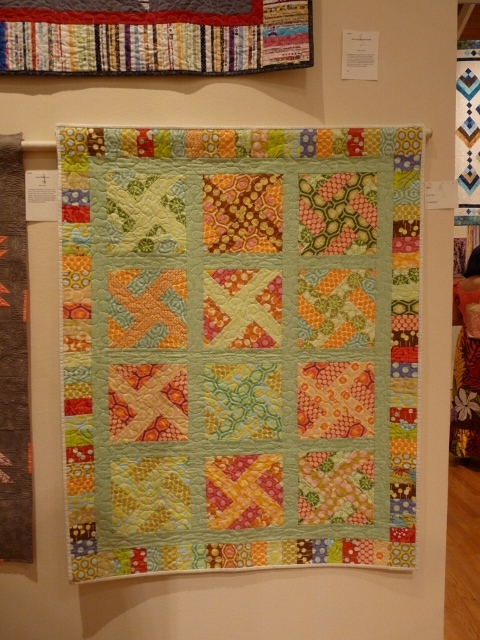 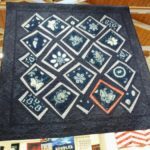 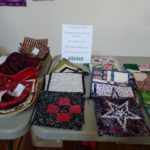 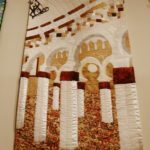 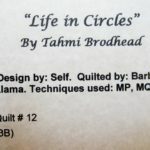 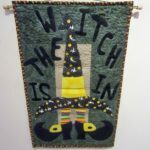 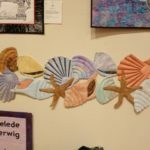 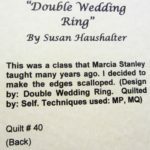 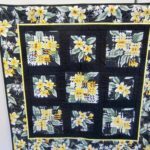 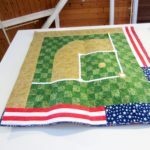 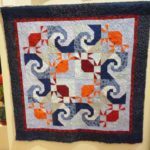 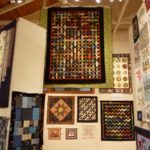 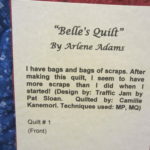 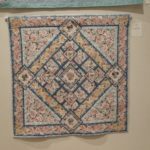 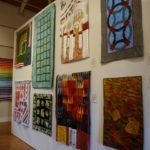 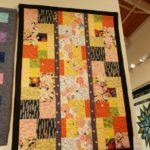 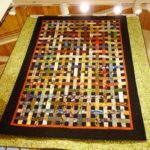 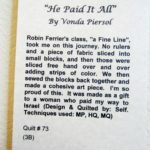 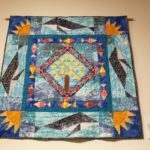 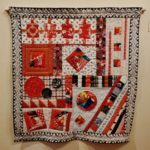 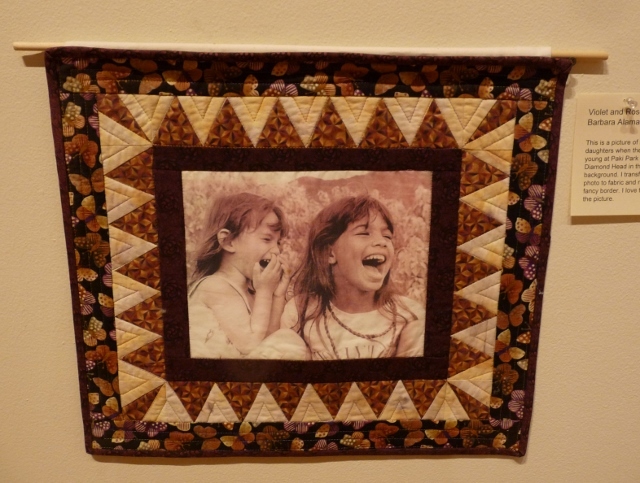 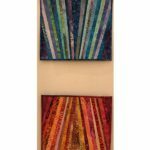 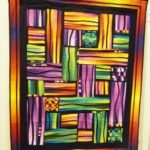 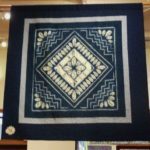 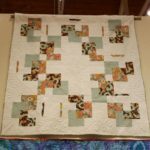 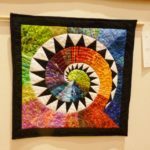 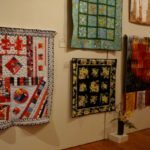 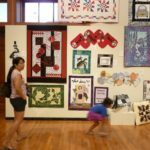 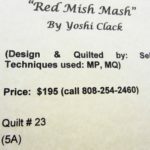 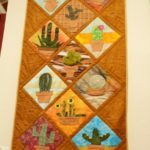 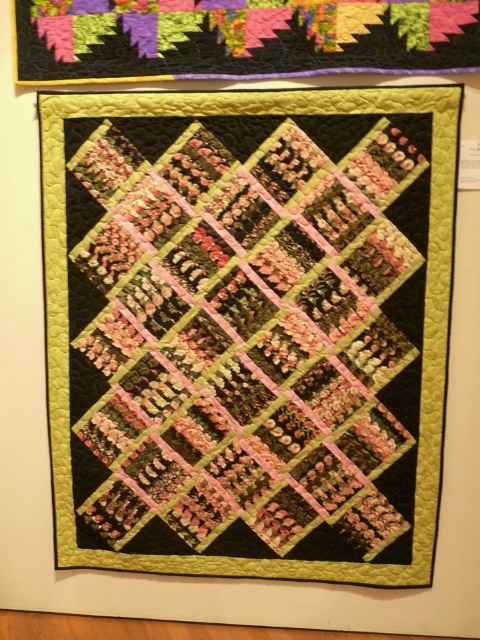 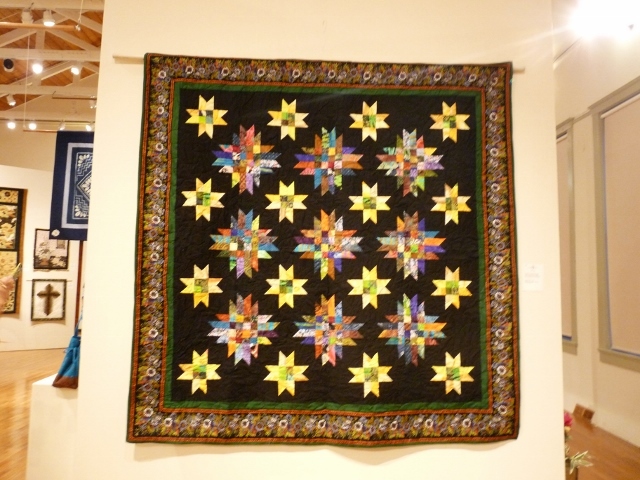 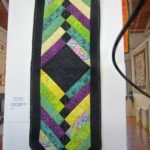 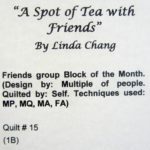 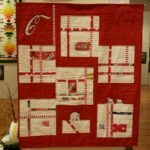 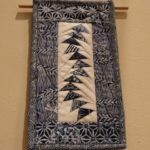 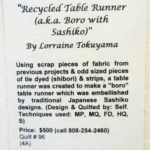 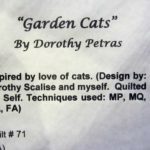 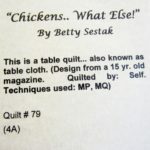 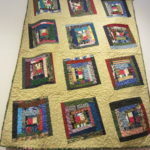 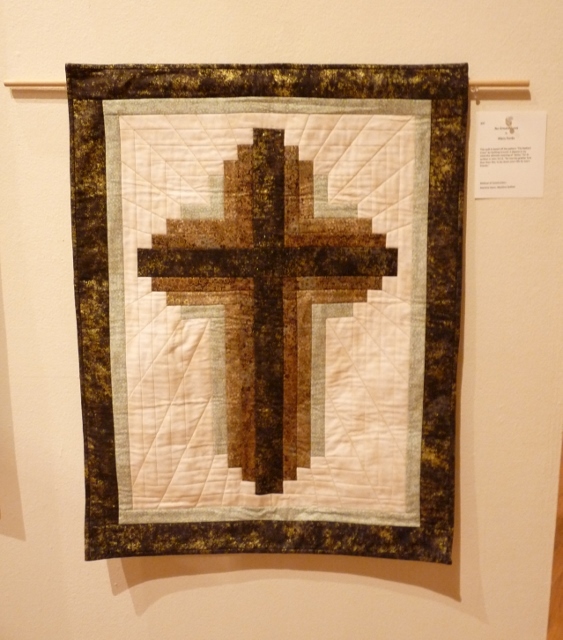 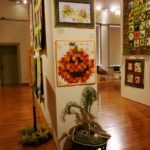 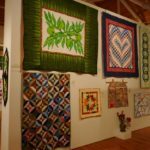 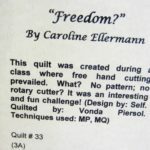 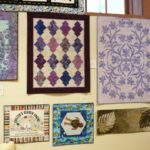 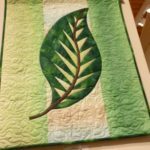 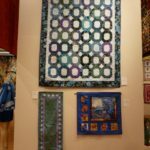 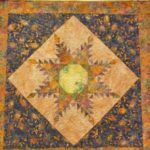 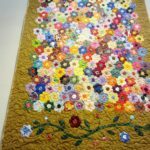 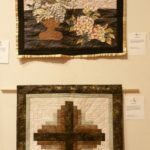 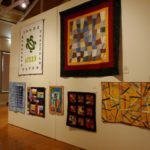 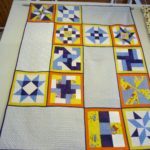 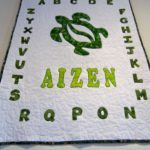 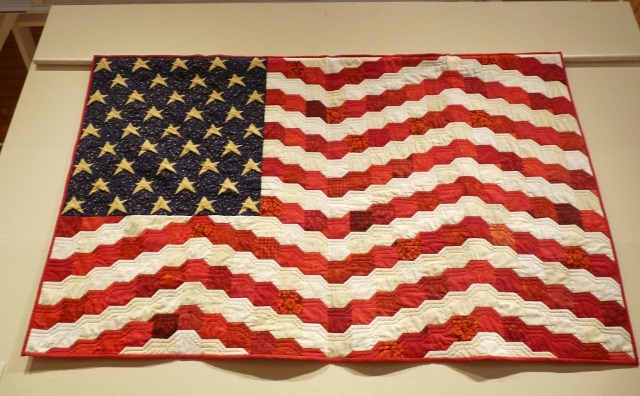 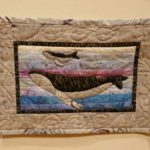 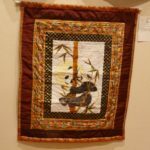 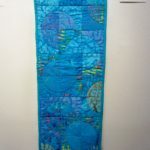 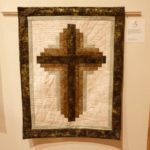 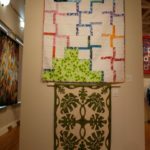 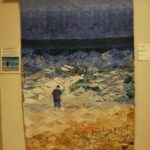 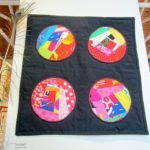 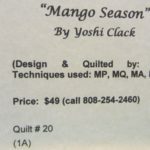 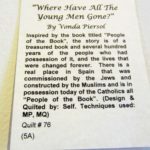 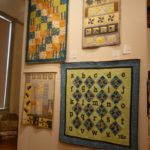 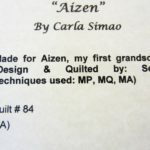 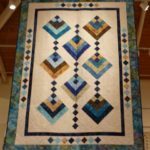 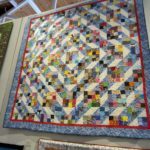 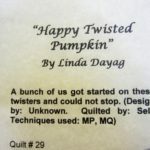 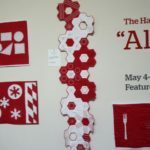 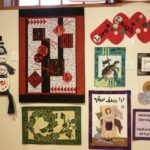 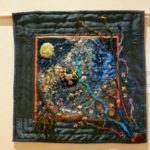 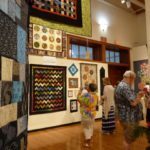 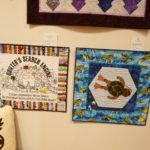 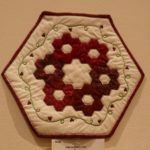 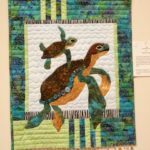 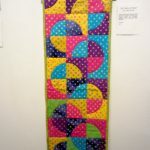 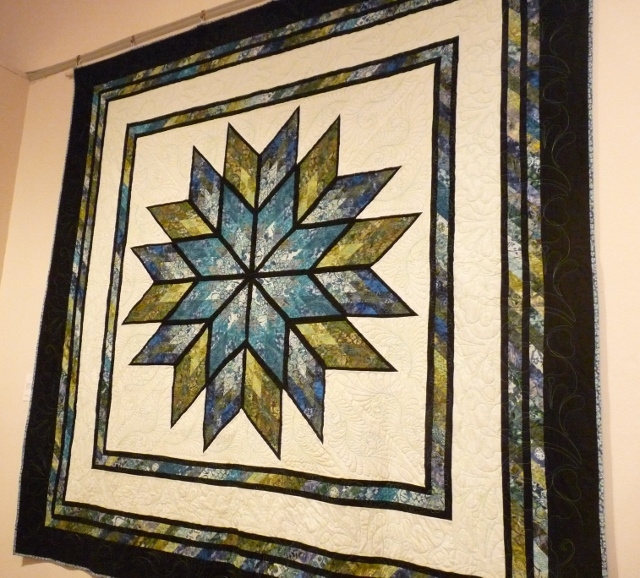 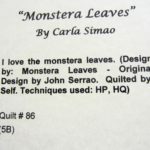 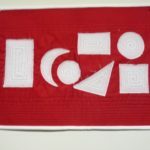 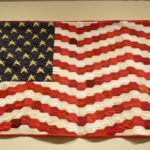 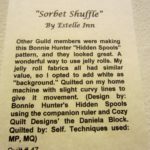 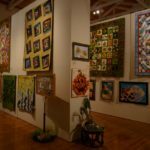 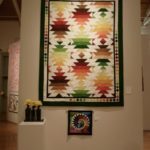 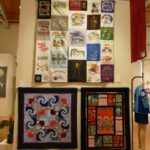 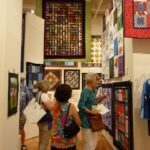 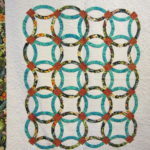 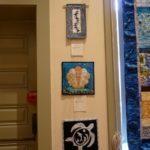 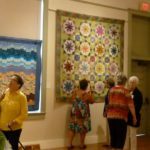 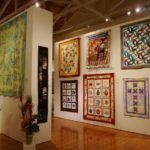 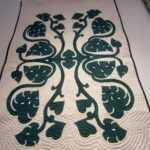 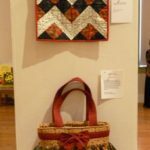 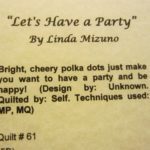 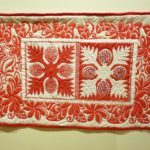 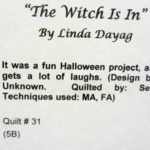 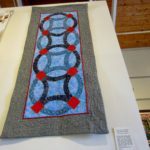 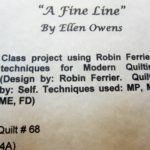 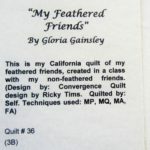 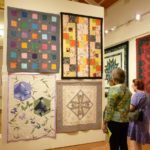 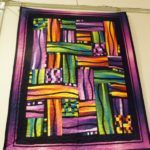 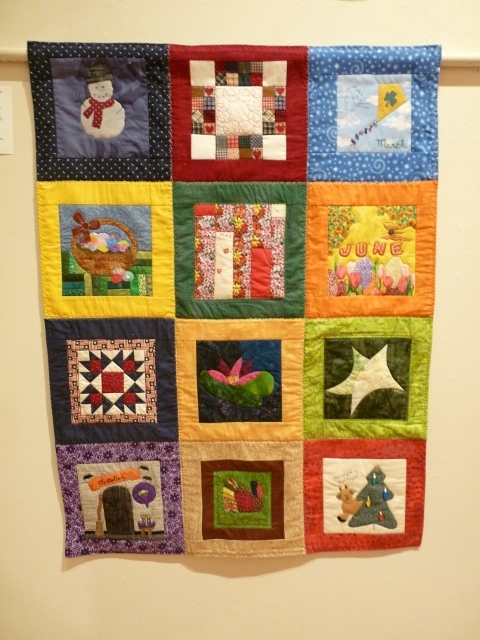 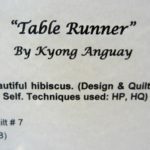 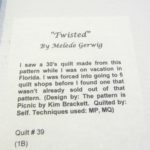 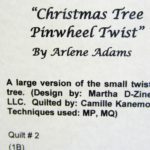 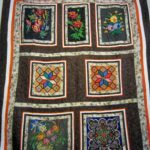 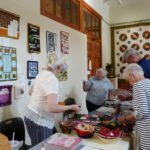 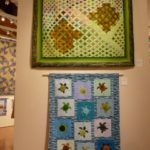 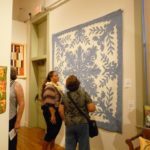 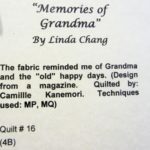 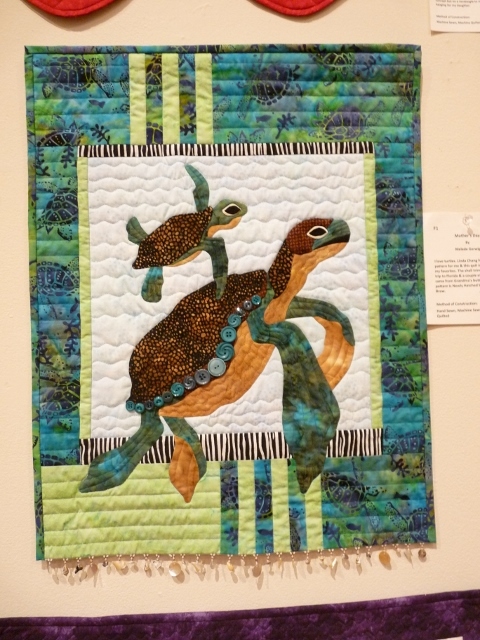 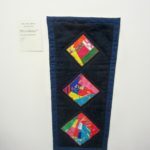 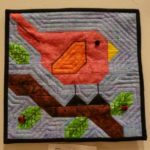 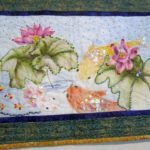 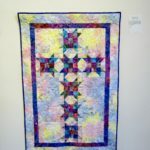 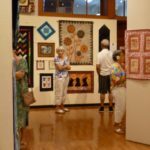 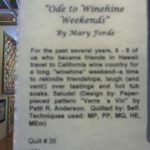 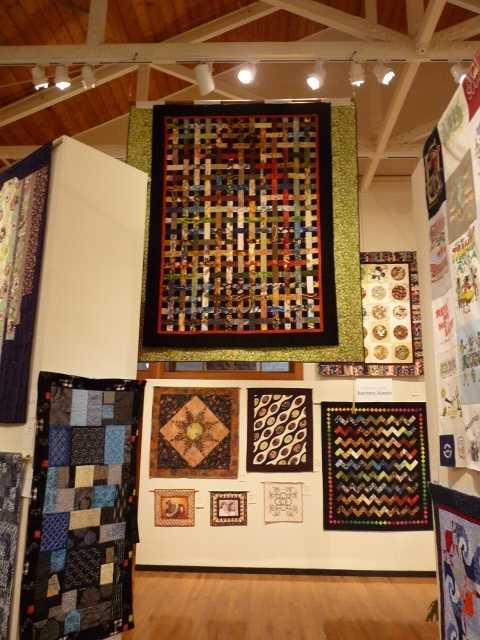 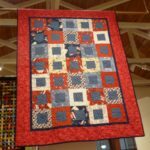 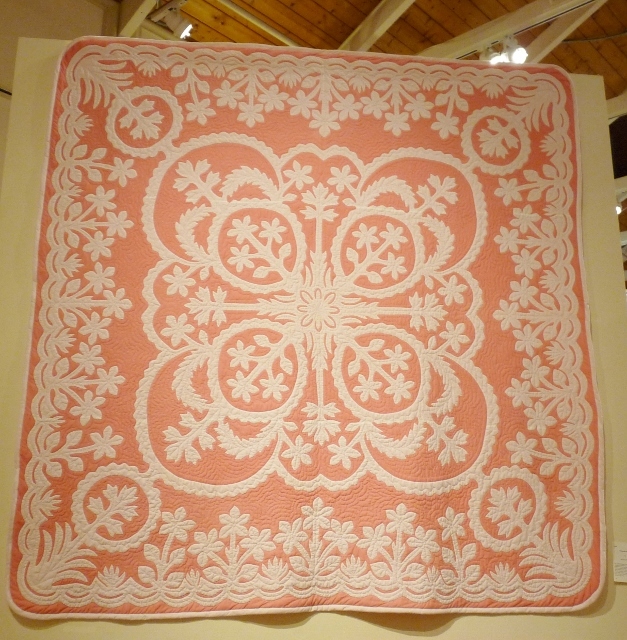 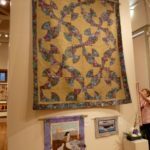 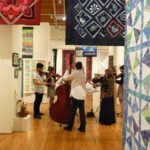 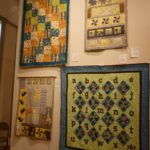 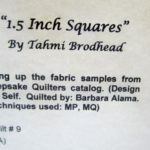 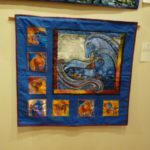 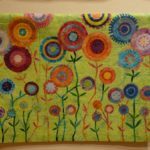 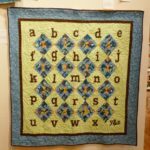 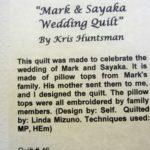 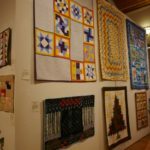 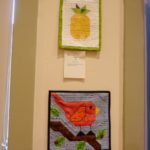 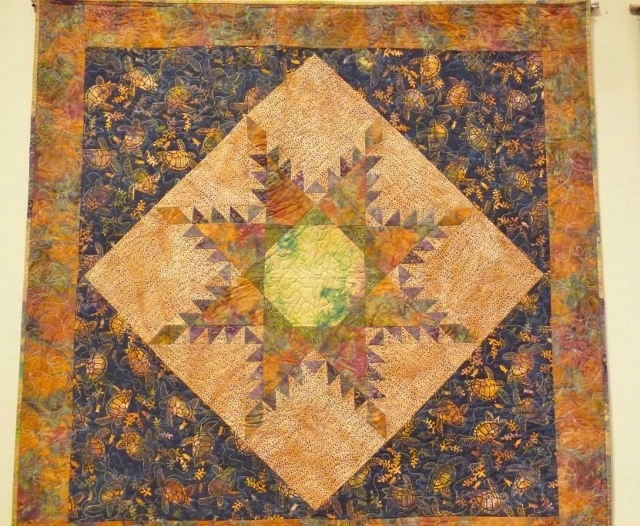 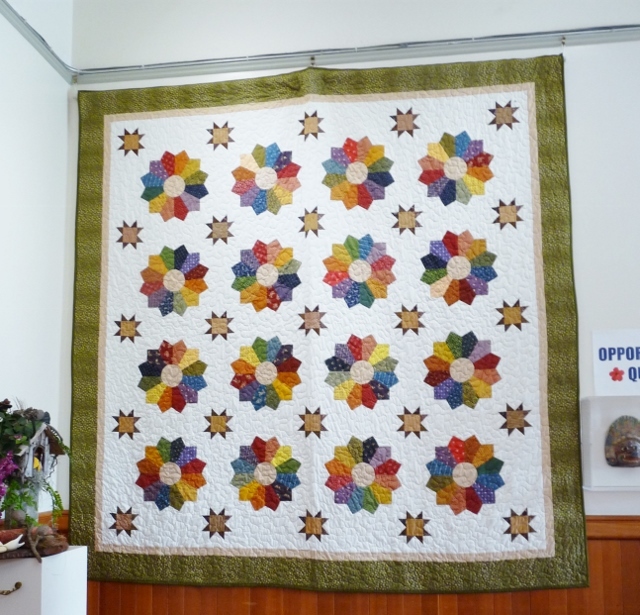 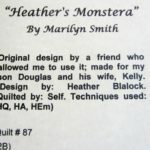 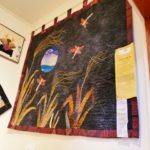 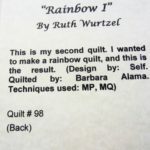 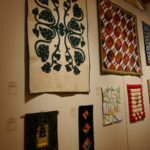 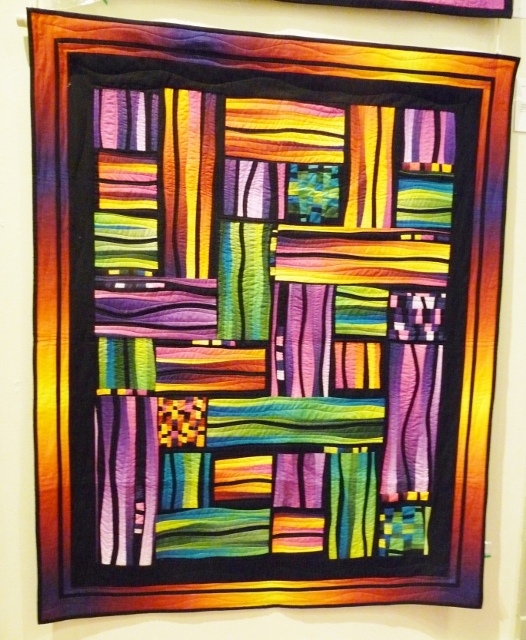 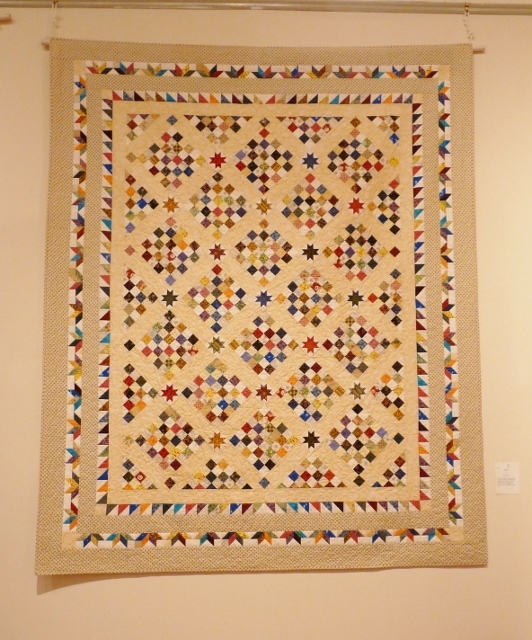 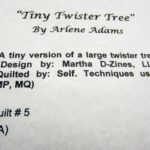 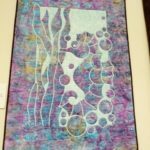 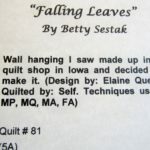 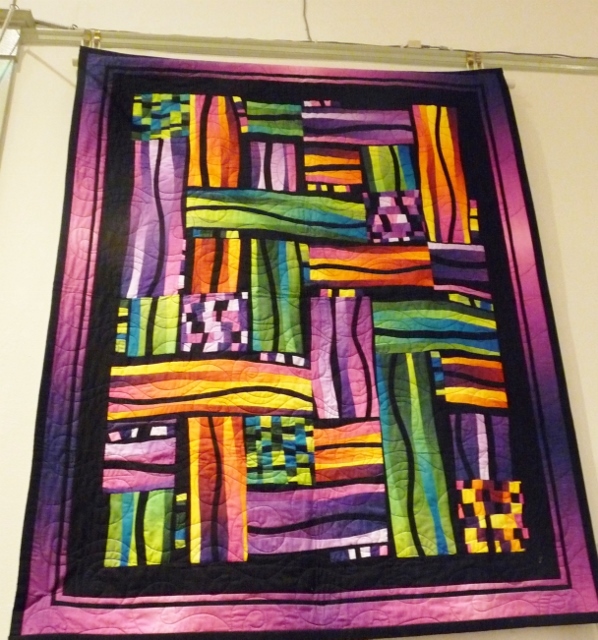 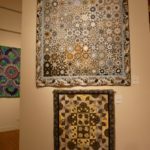 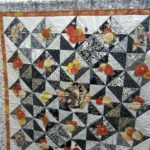 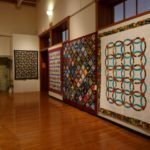 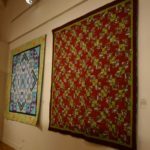 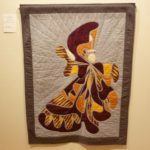 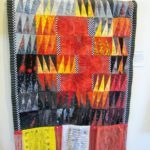 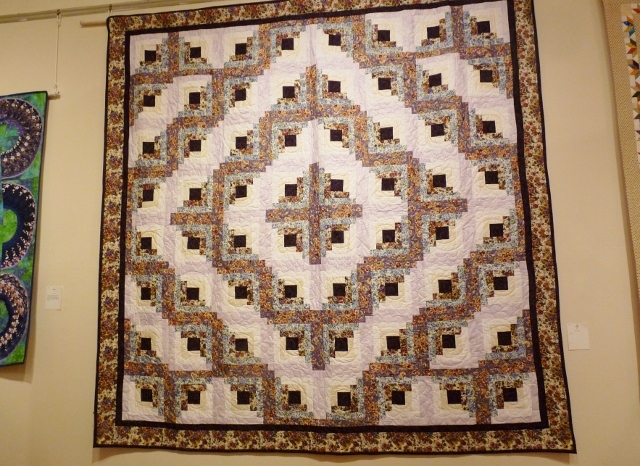 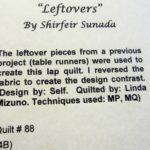 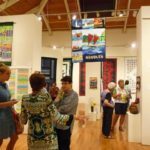 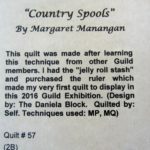 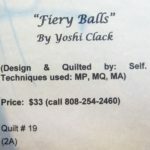 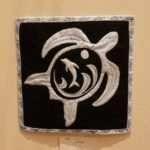 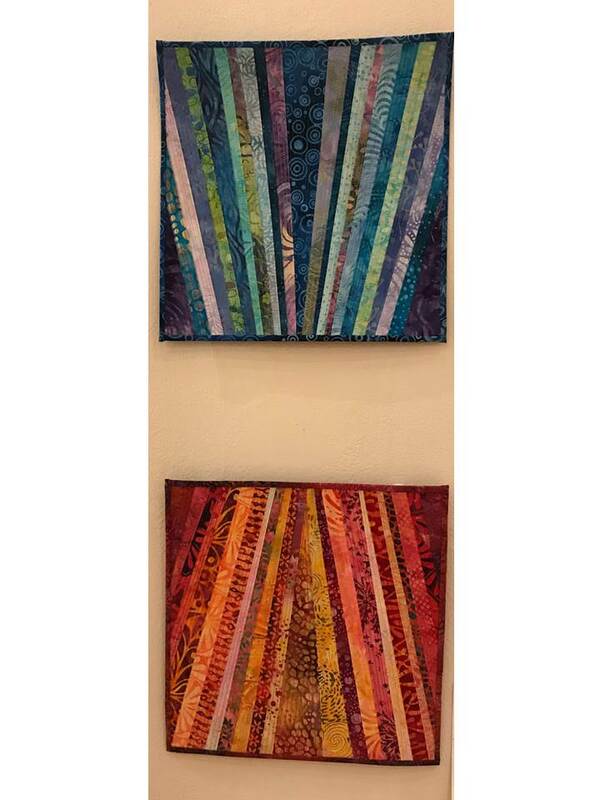 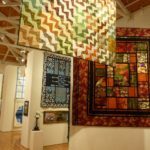 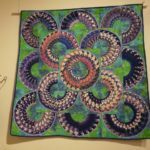 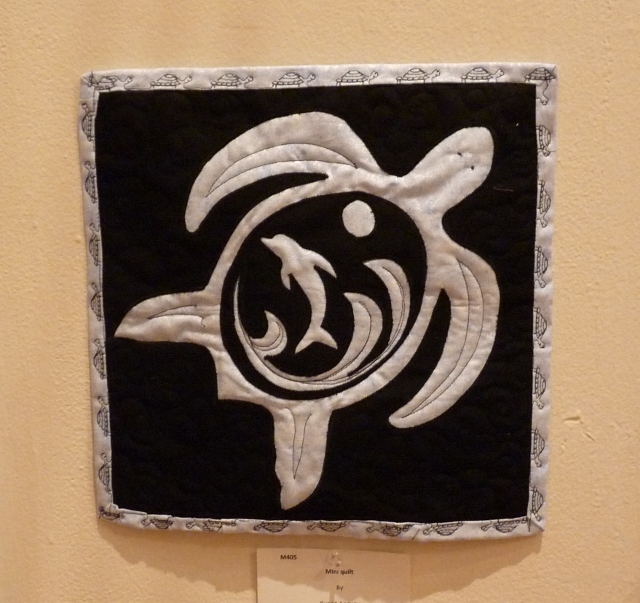 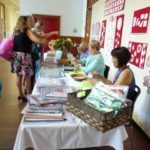 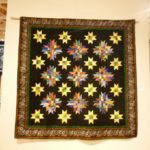 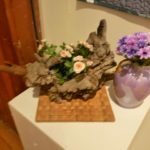 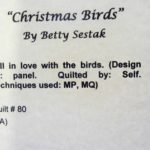 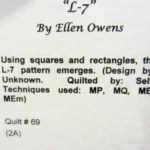 Our quilt show will be from May 4-14 this year, hope to see you there!